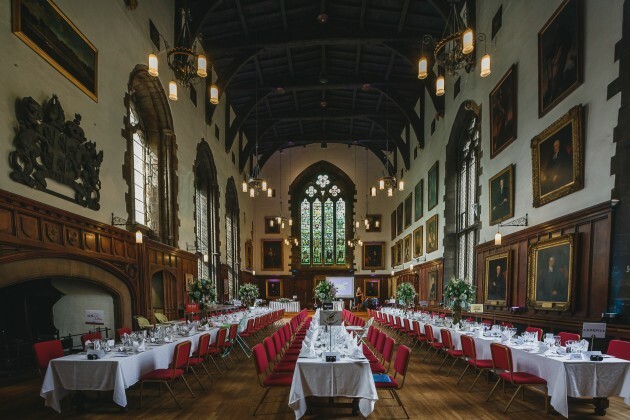 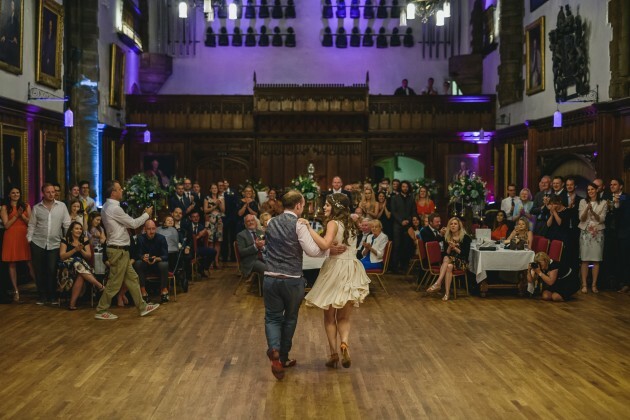 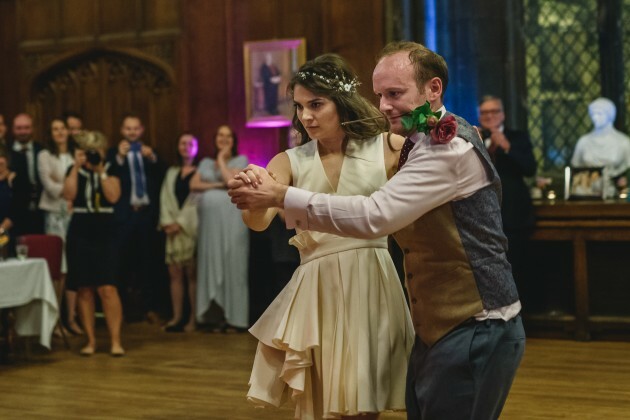 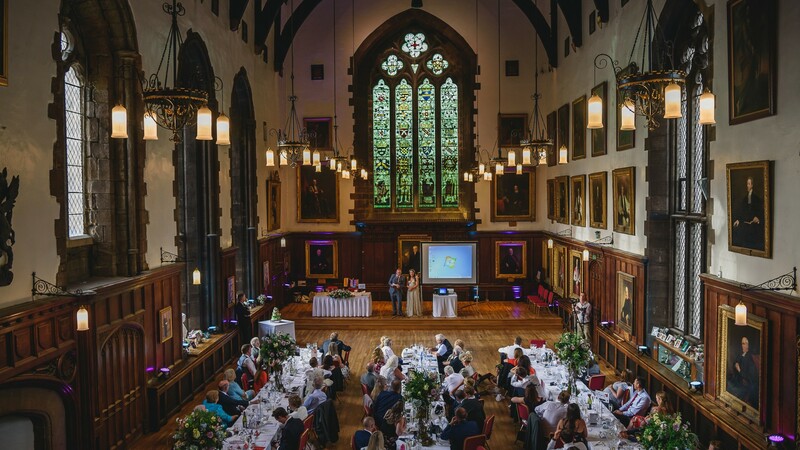 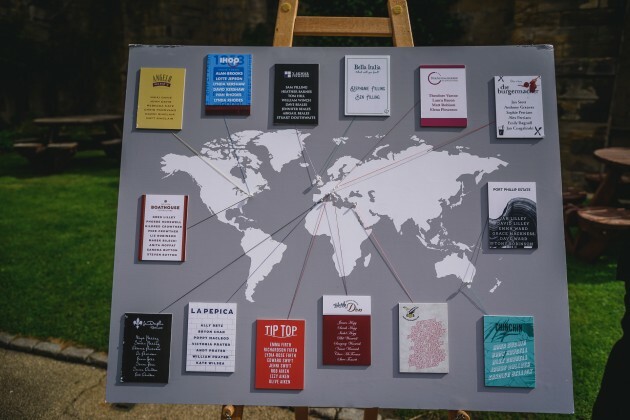 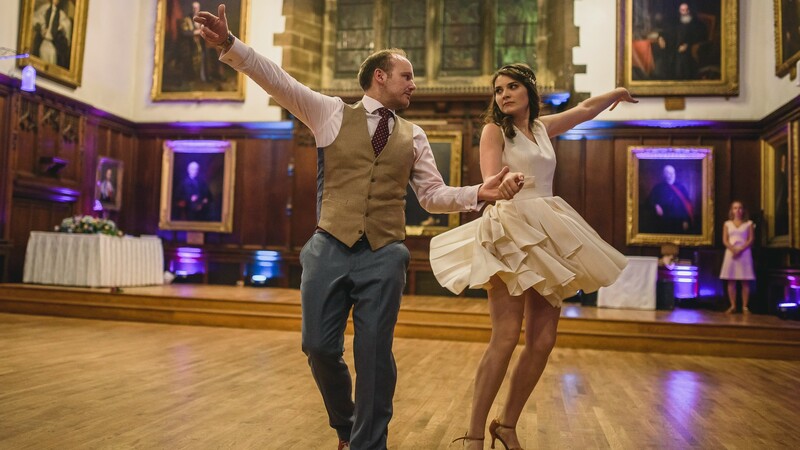 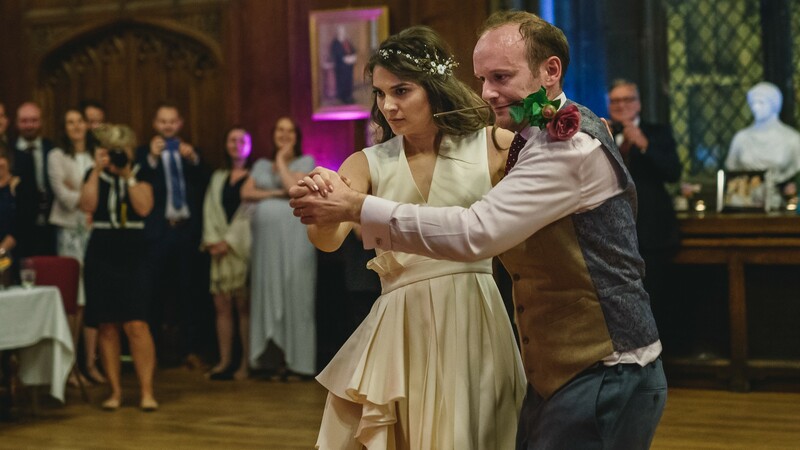 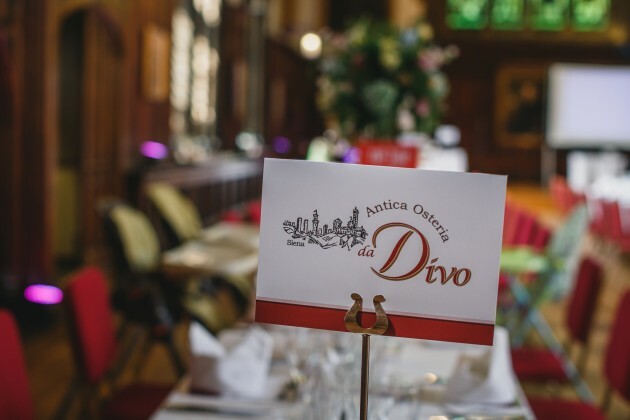 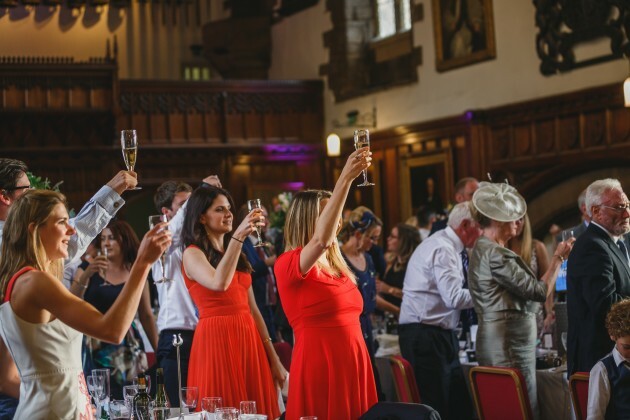 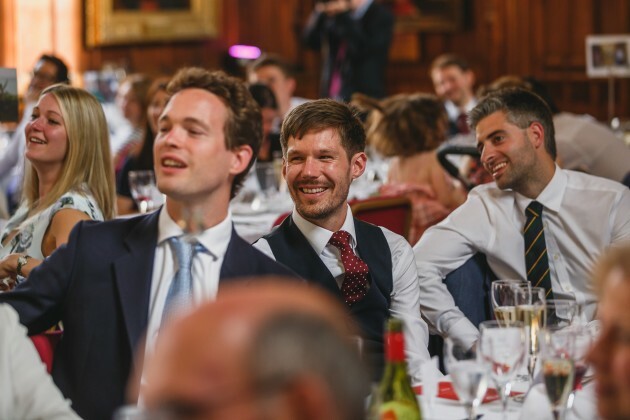 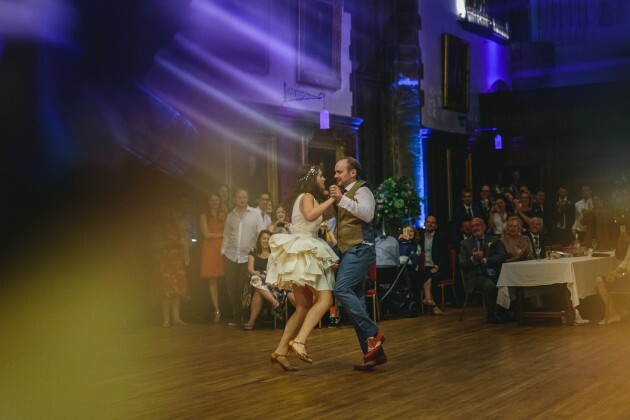 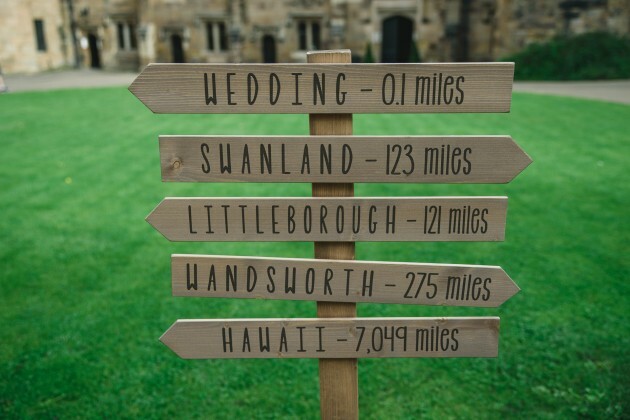 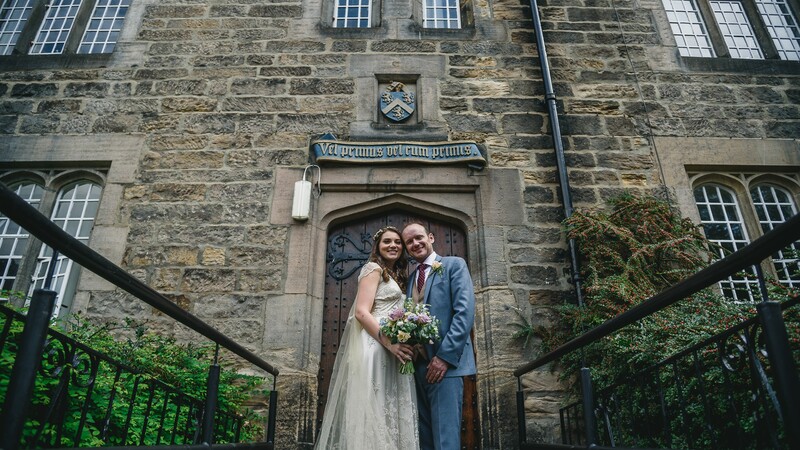 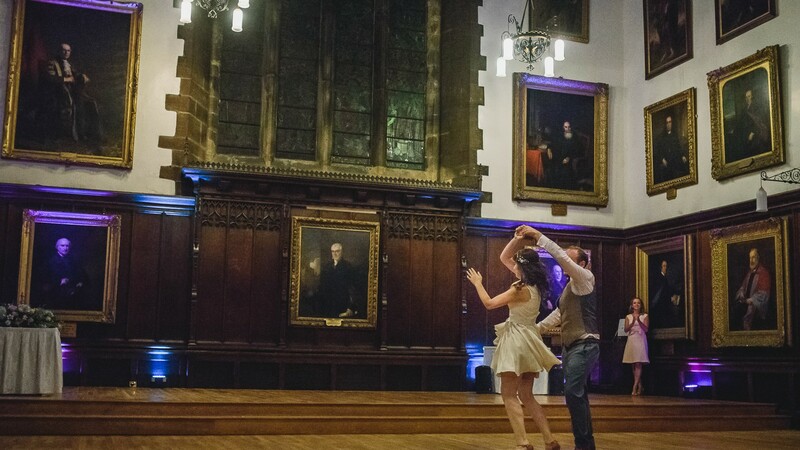 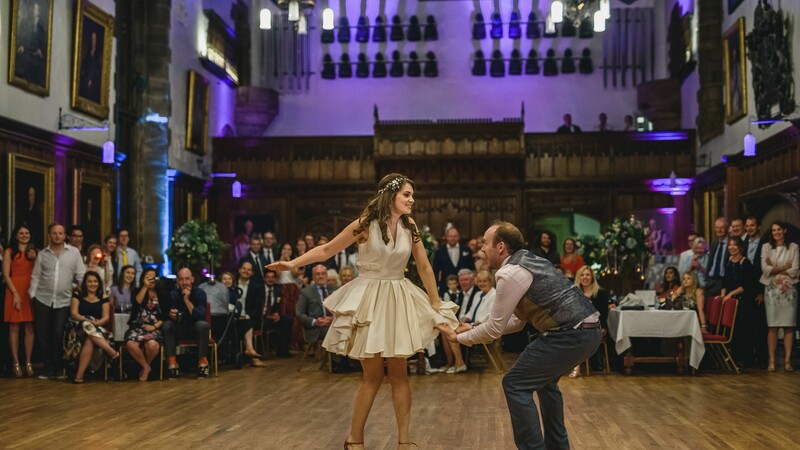 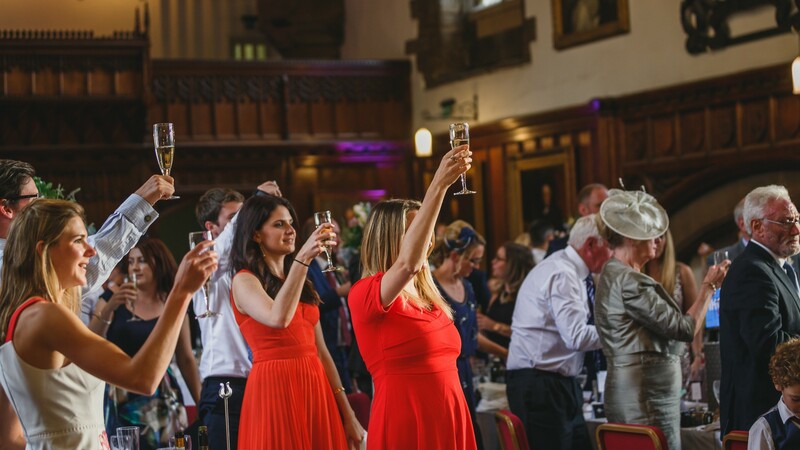 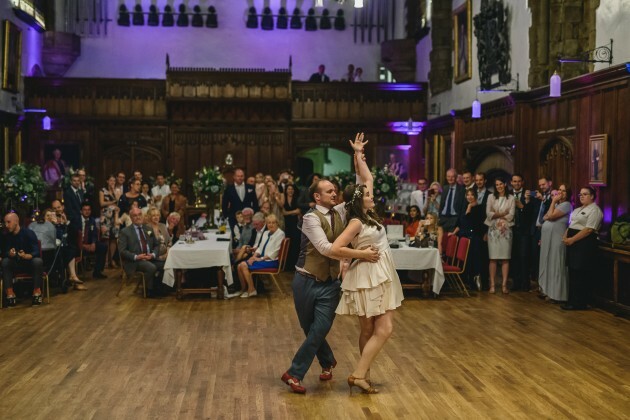 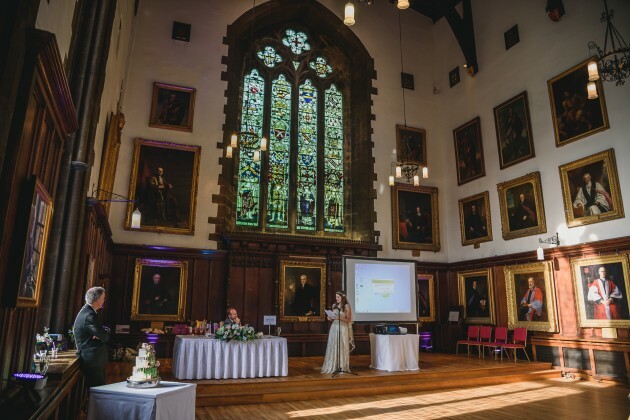 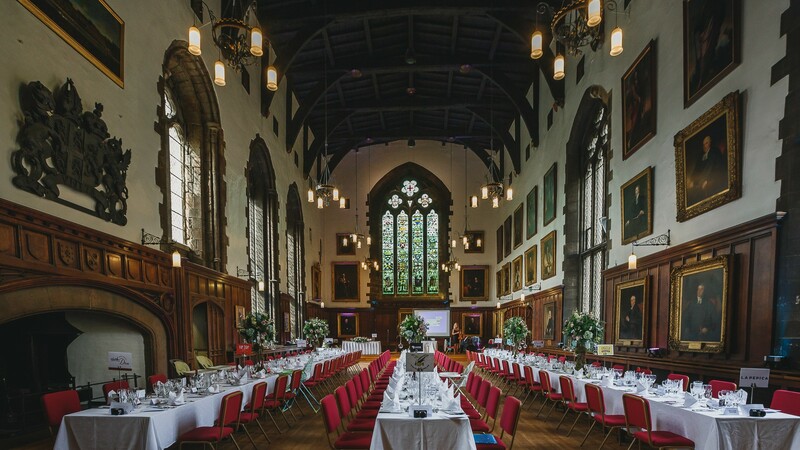 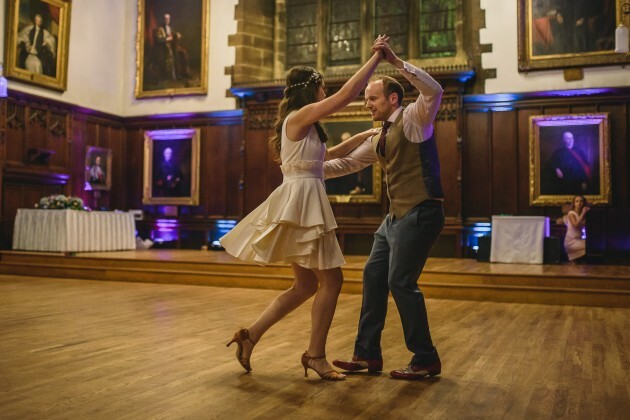 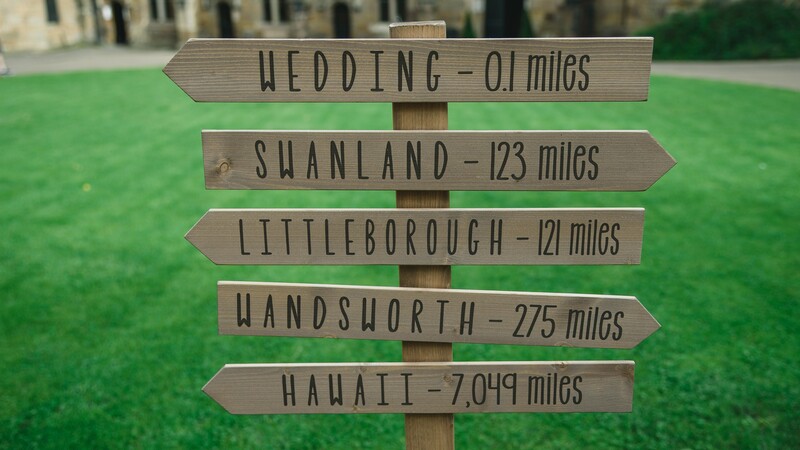 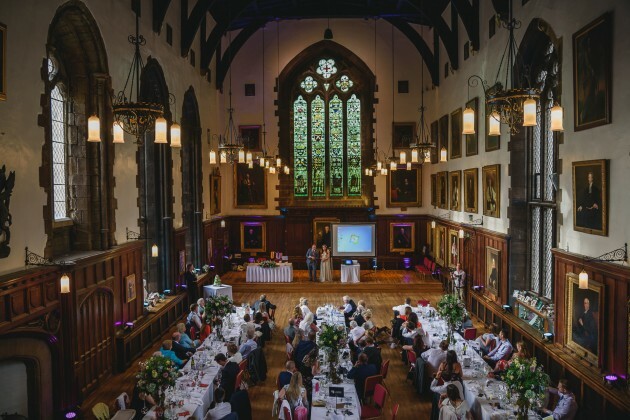 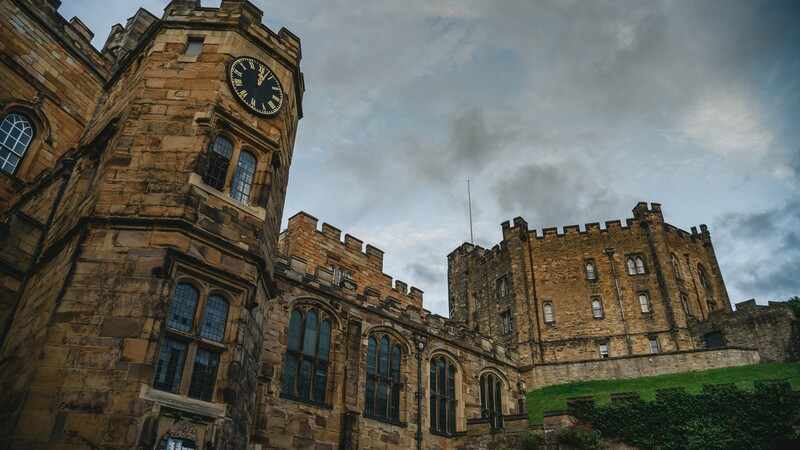 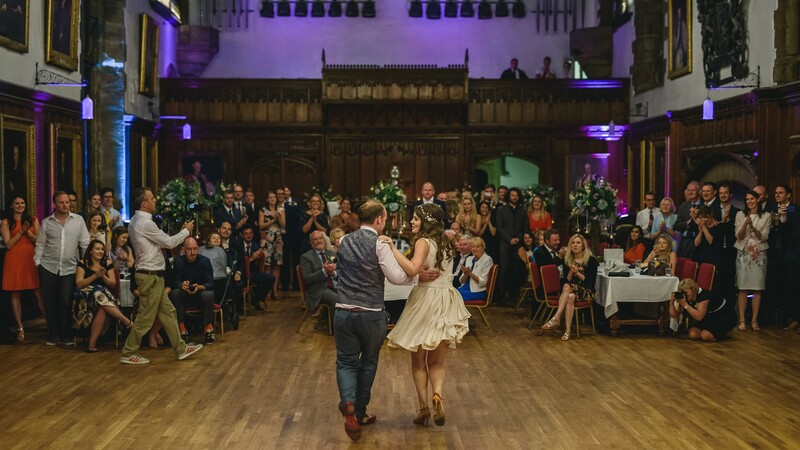 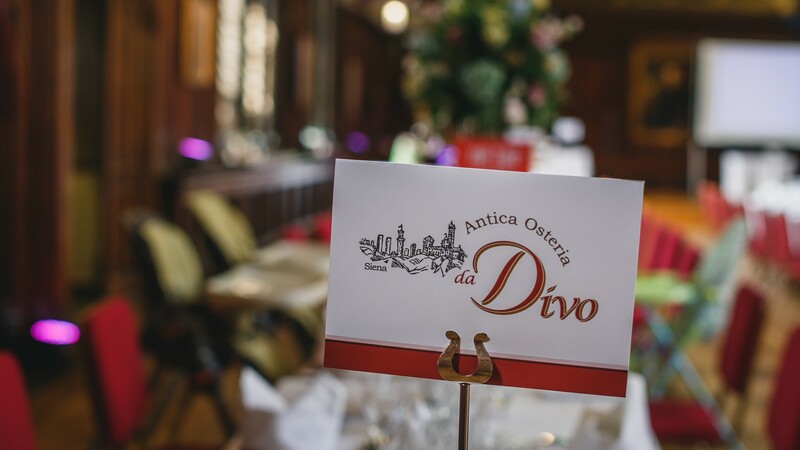 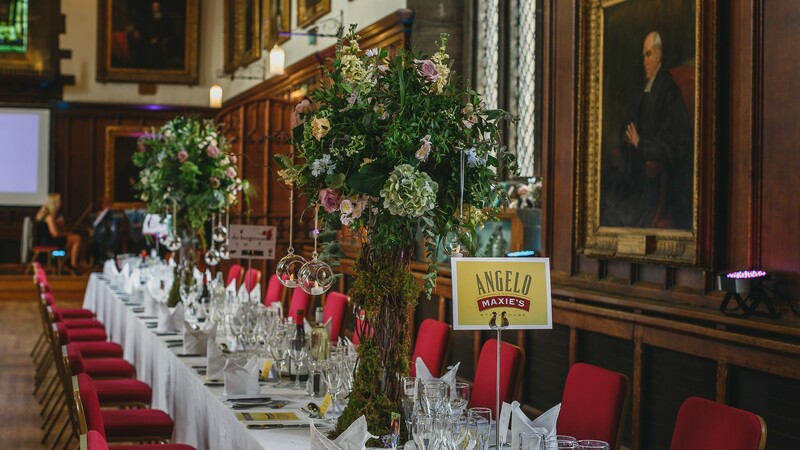 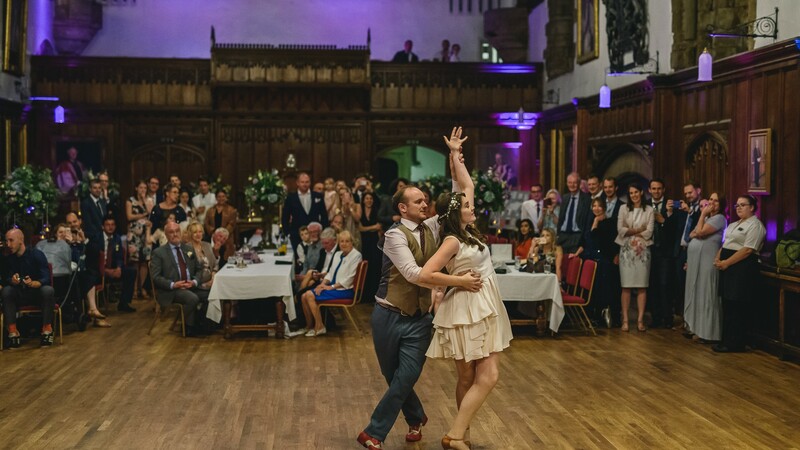 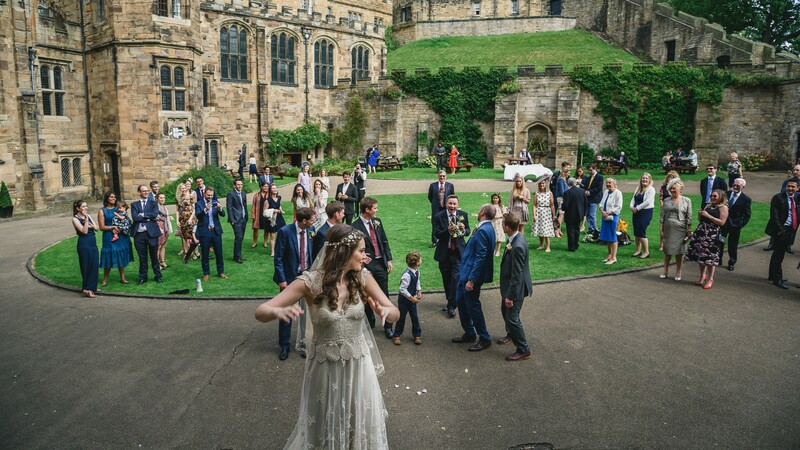 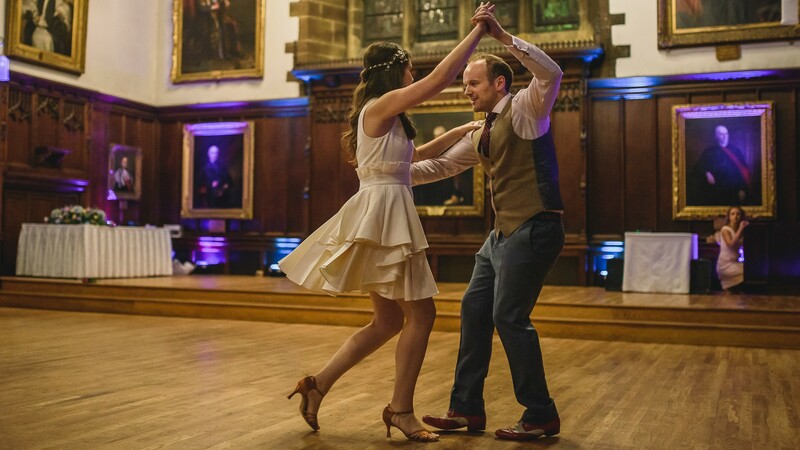 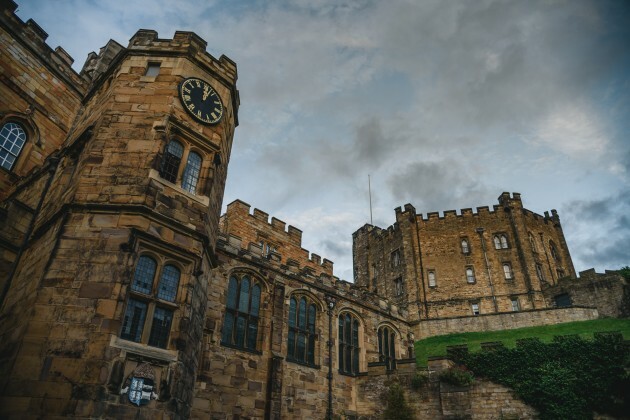 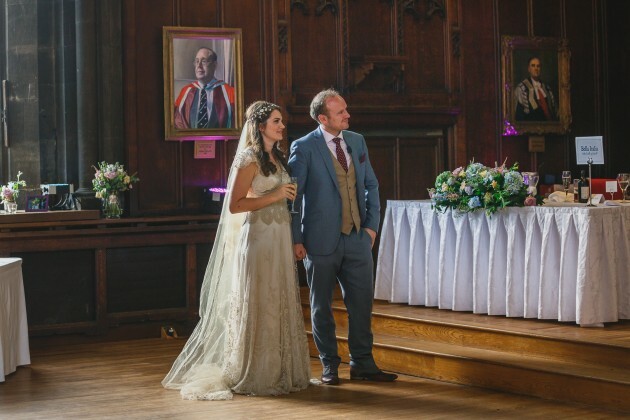 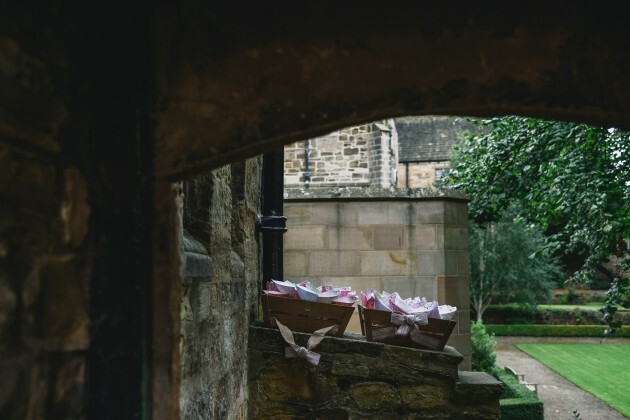 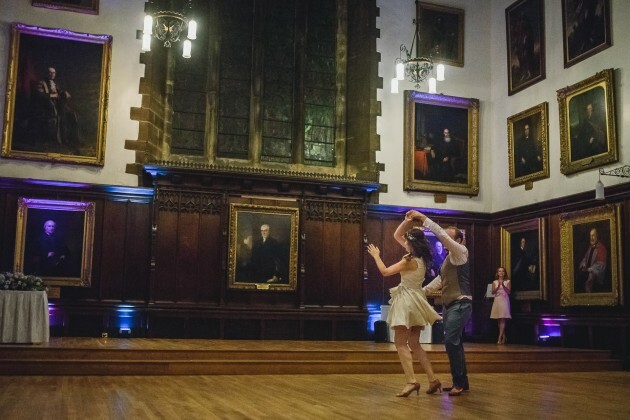 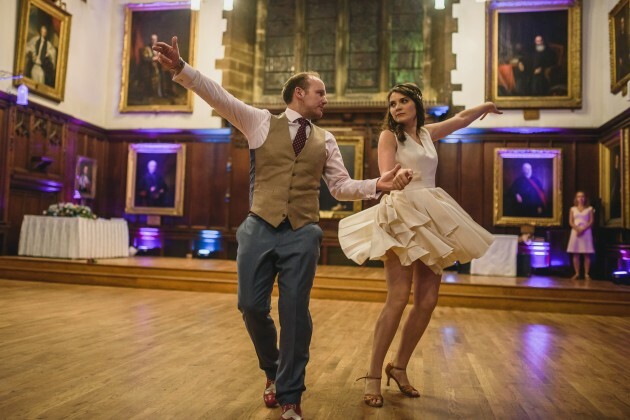 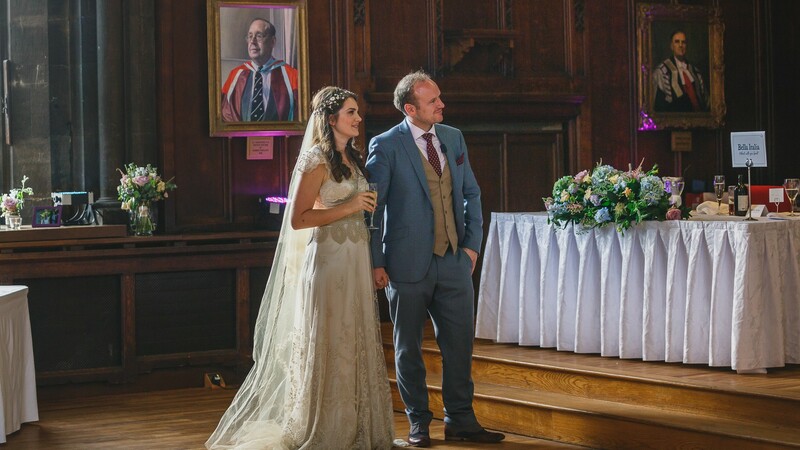 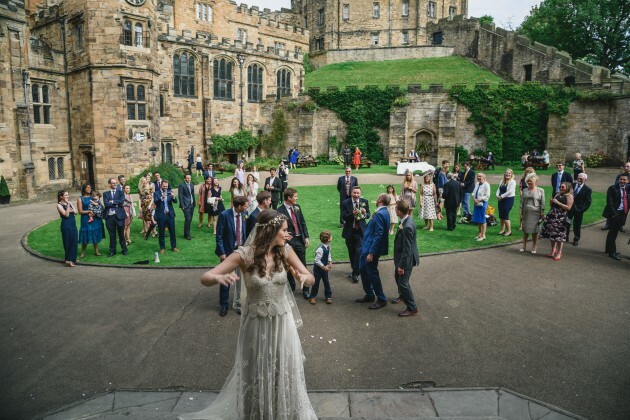 Hatfield College, Durham was where Ben and Stephanie attended University so it seemed logical for them to have their wedding in Durham and the Castle is such a lovely venue so it was the obvious choice for them. 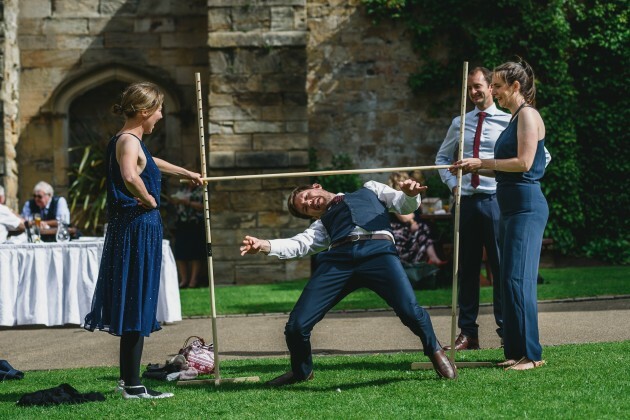 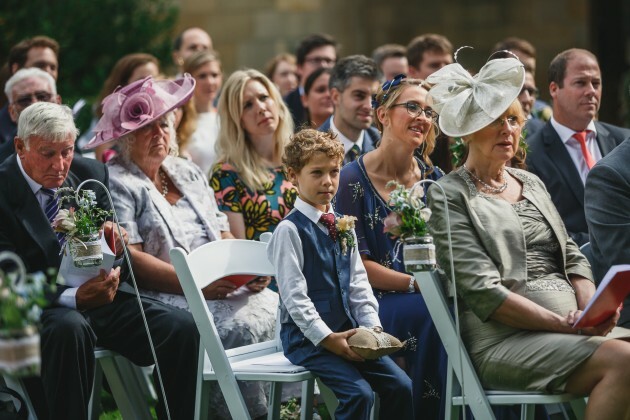 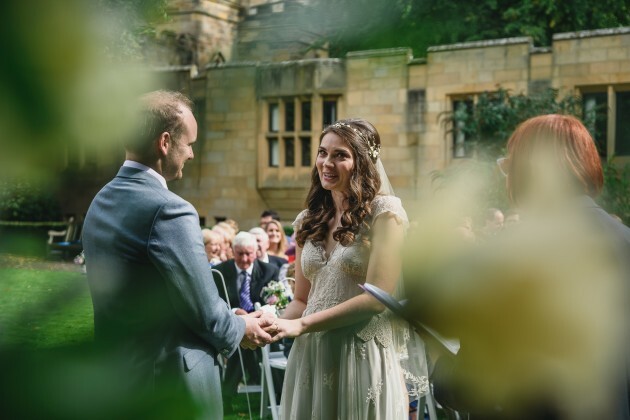 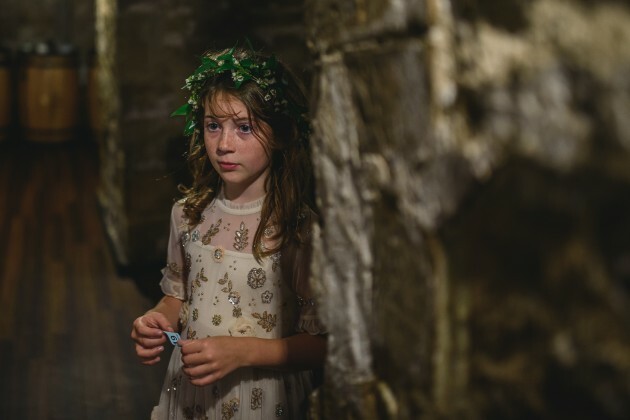 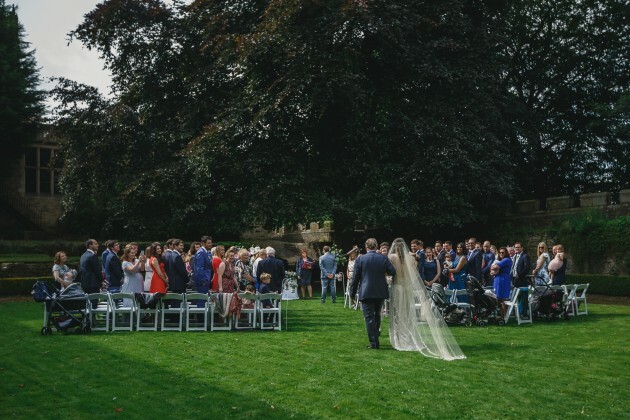 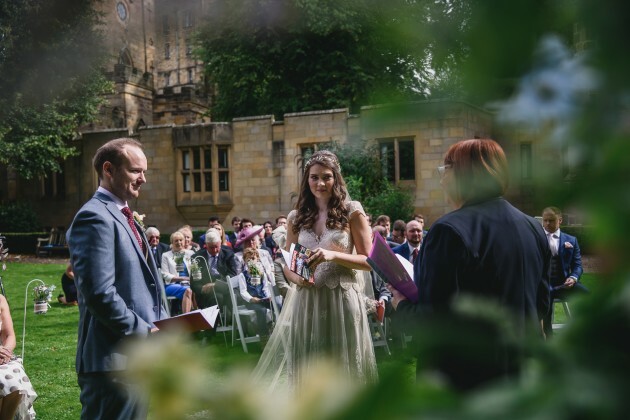 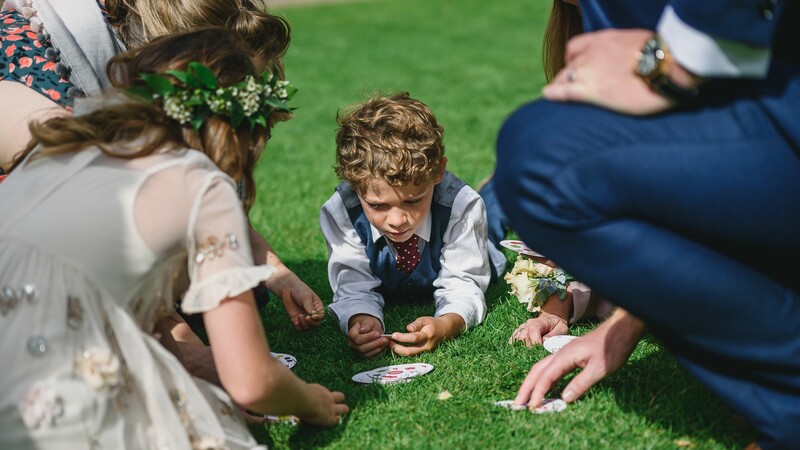 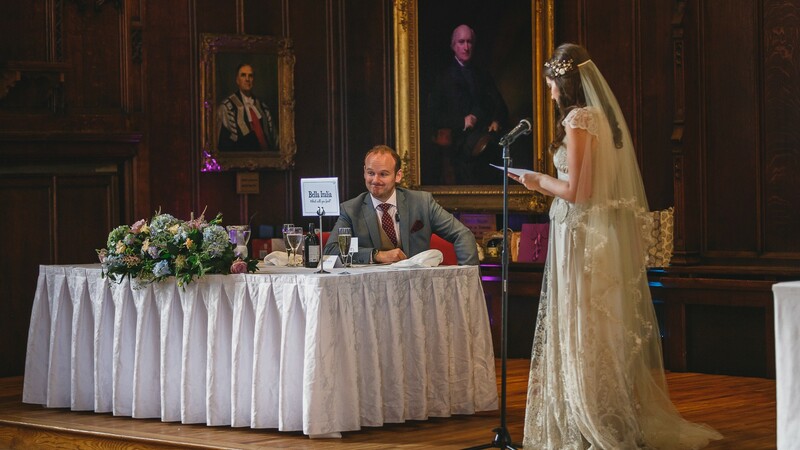 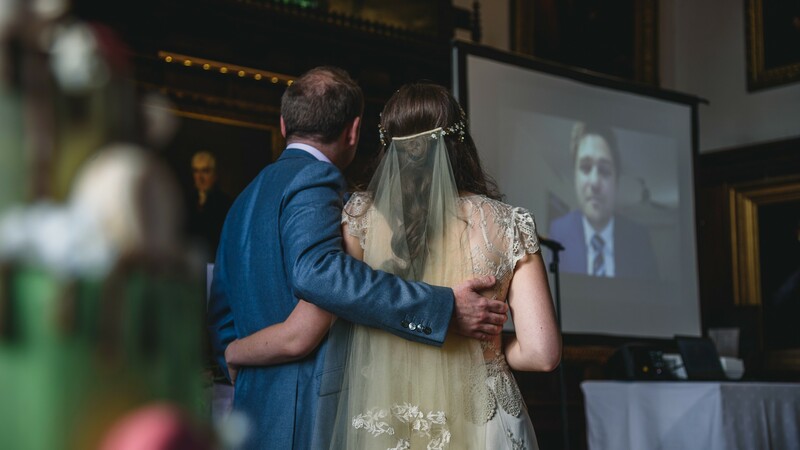 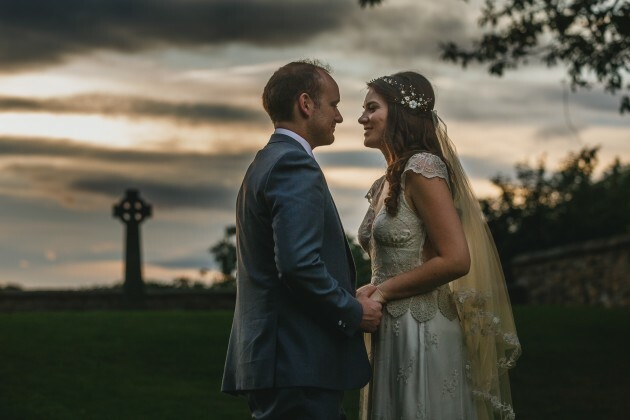 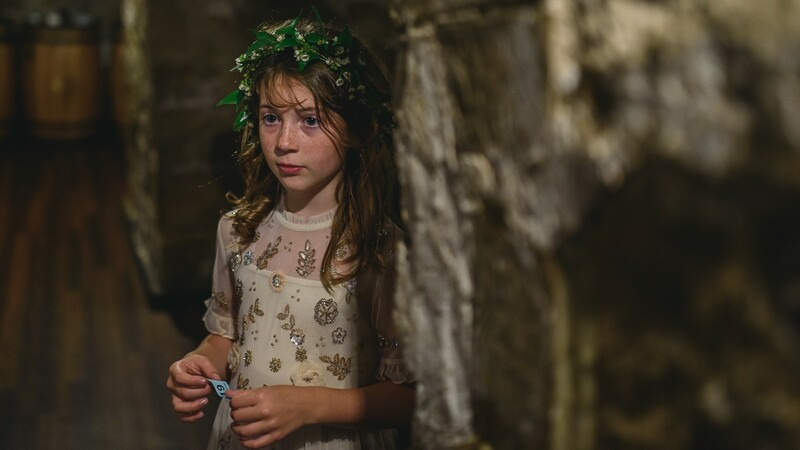 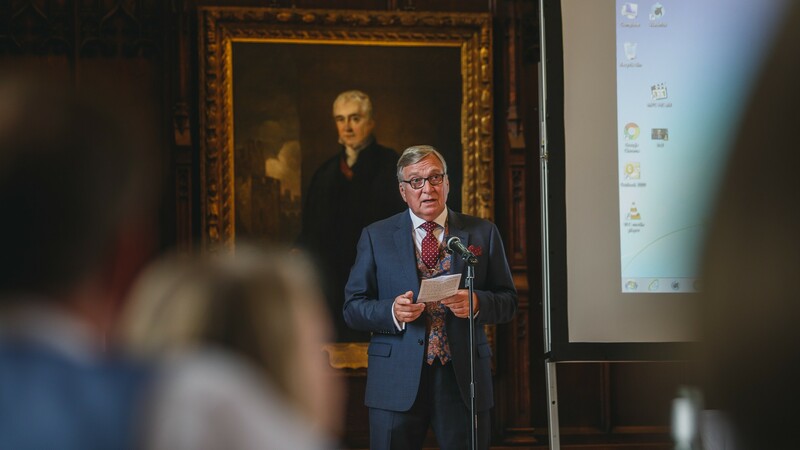 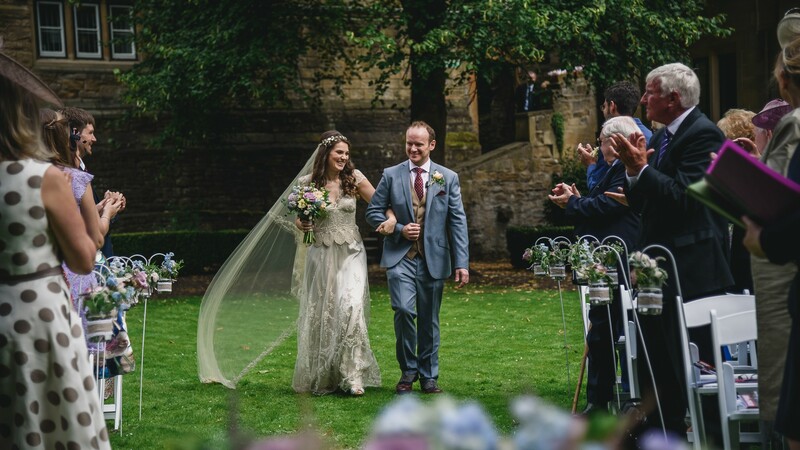 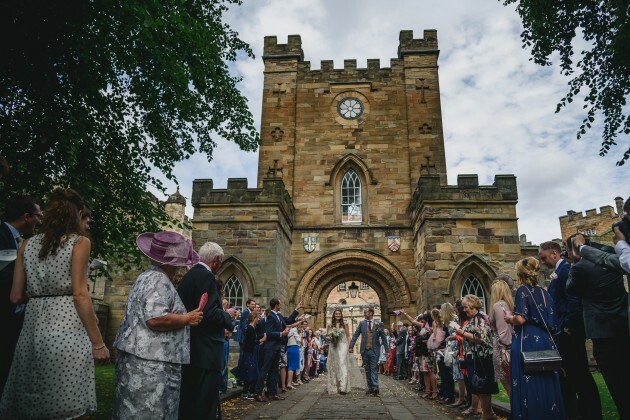 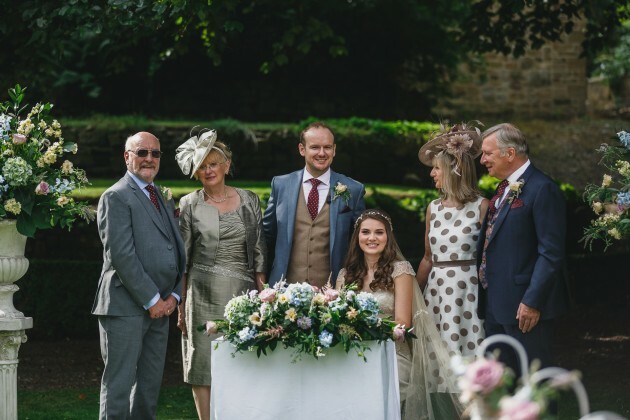 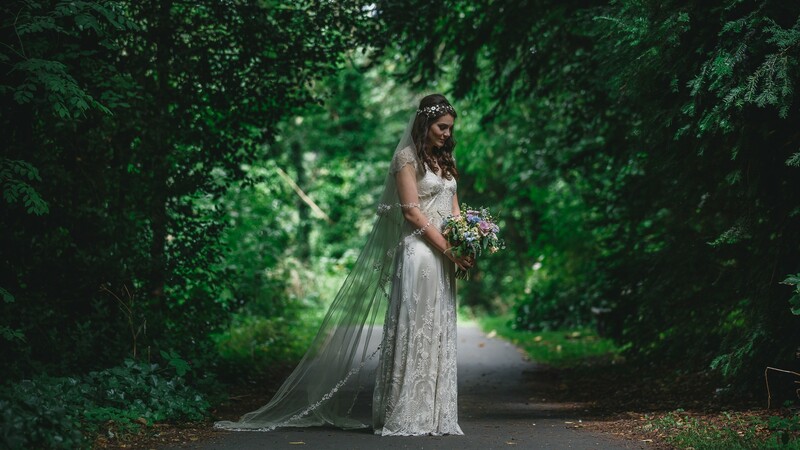 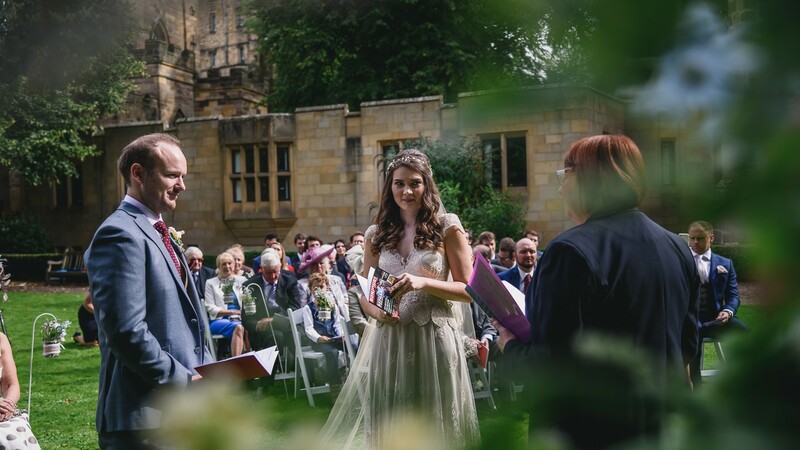 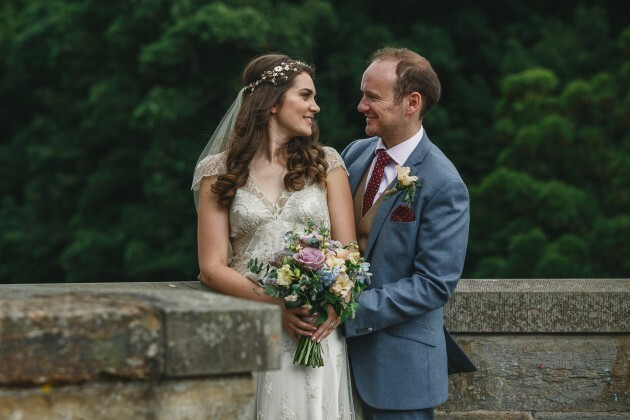 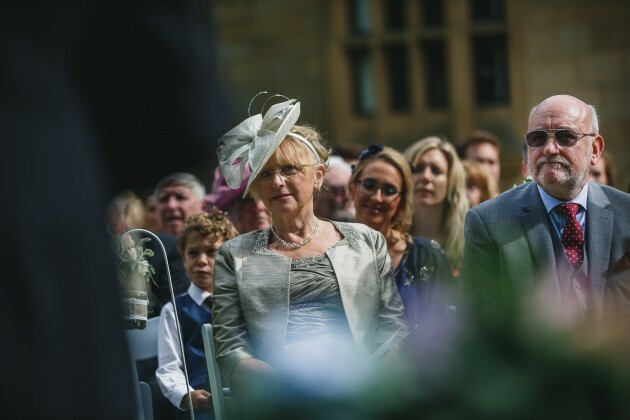 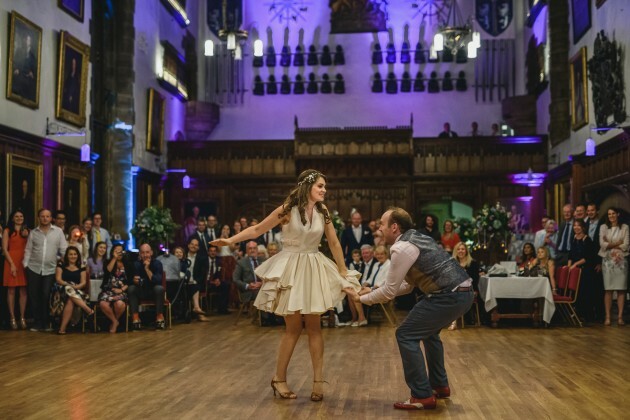 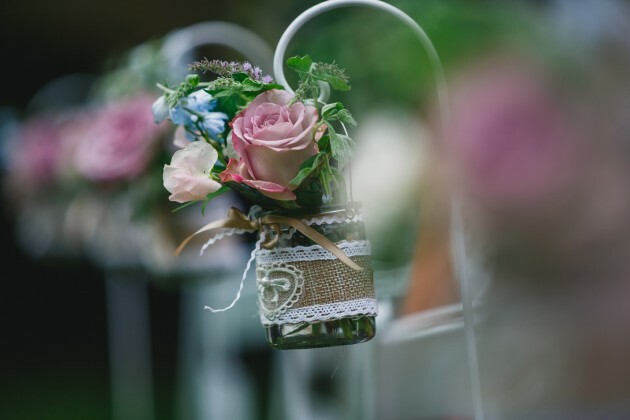 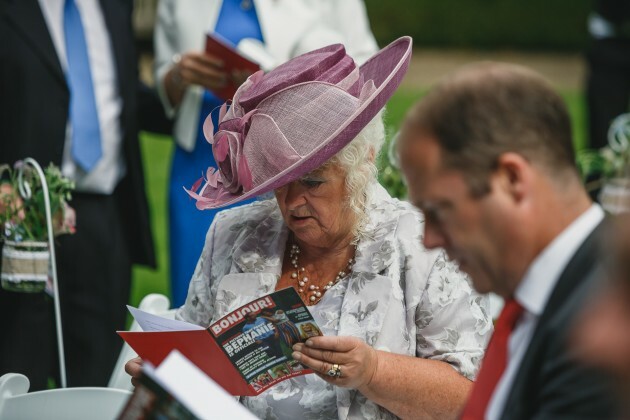 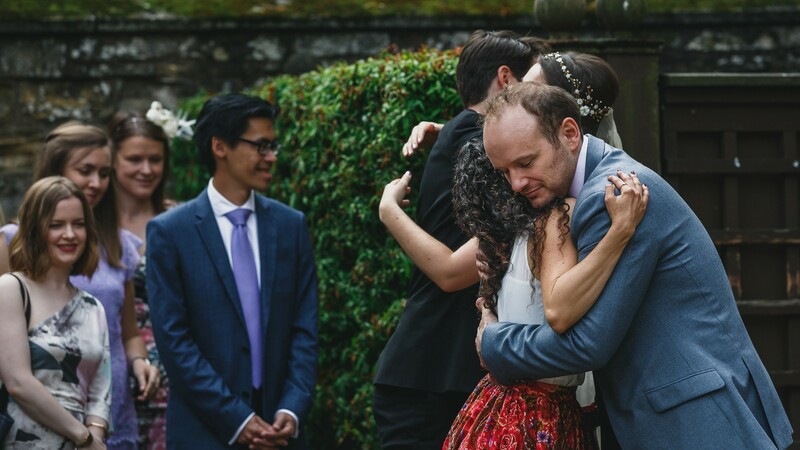 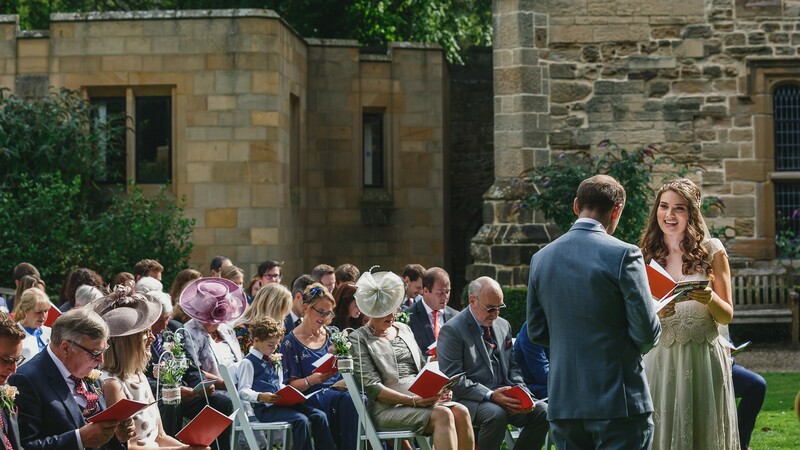 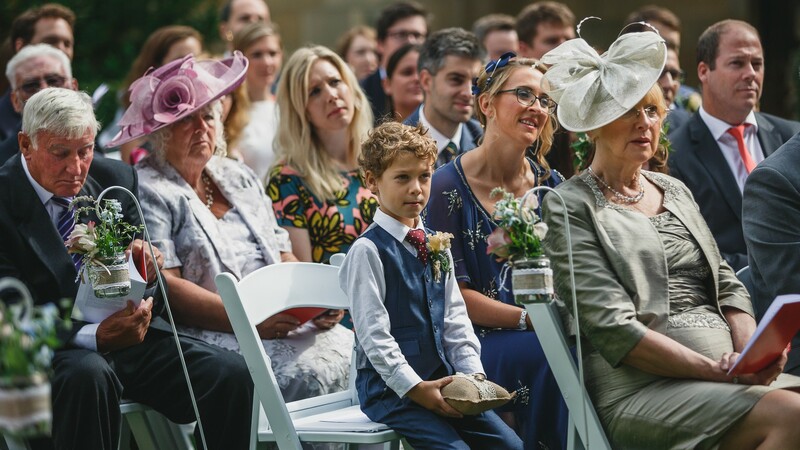 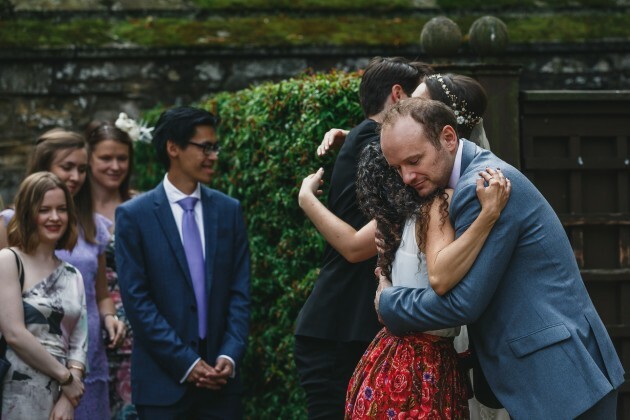 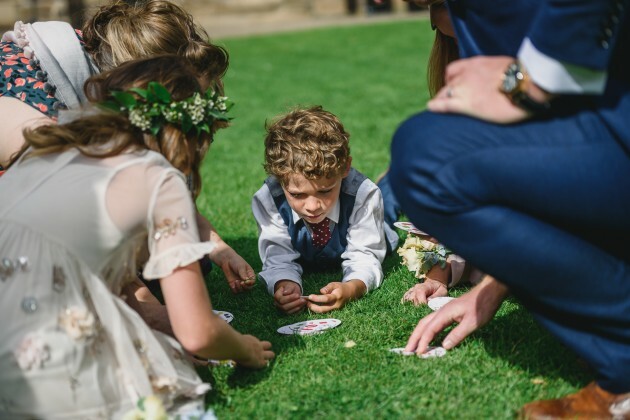 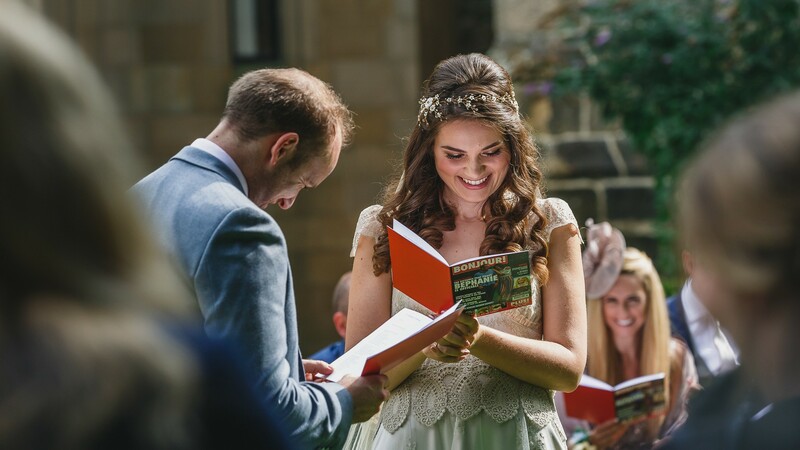 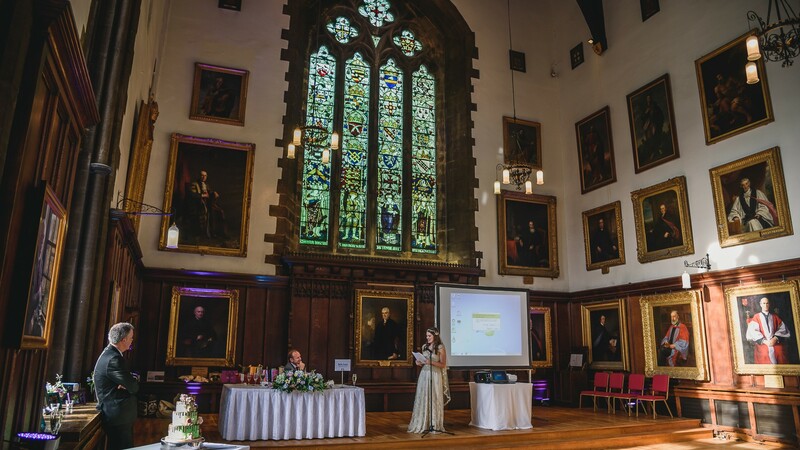 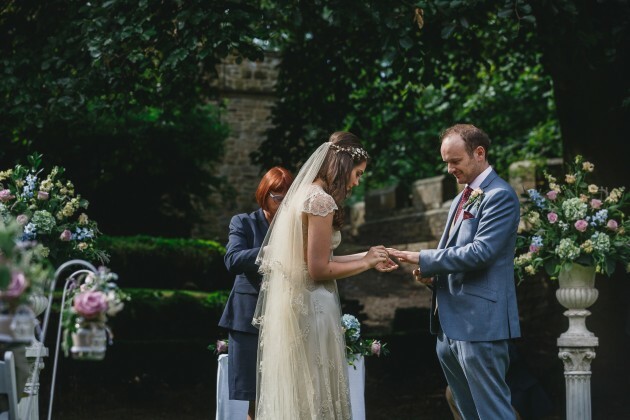 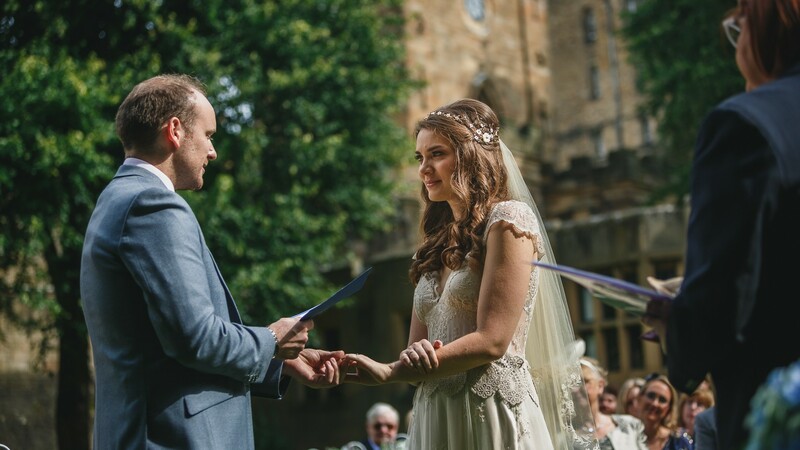 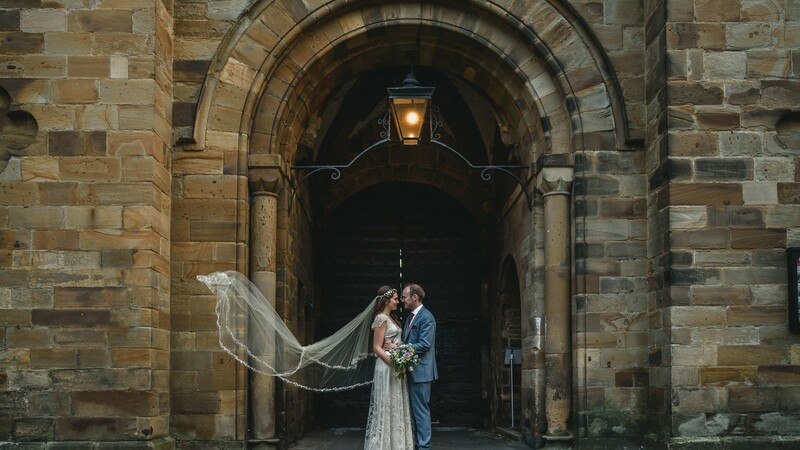 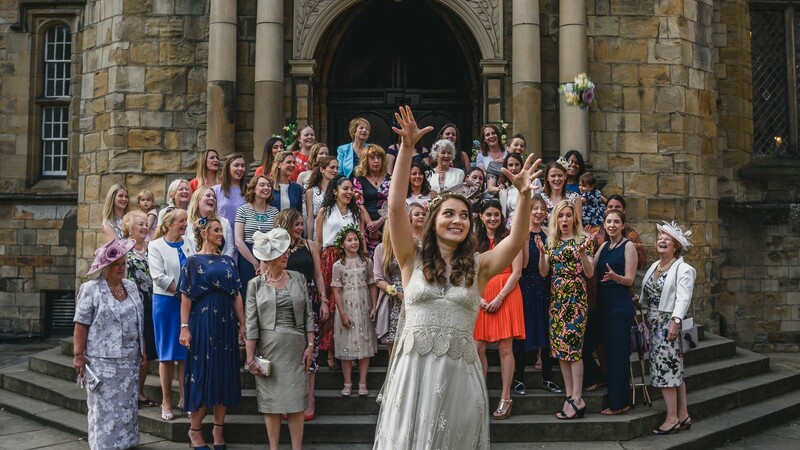 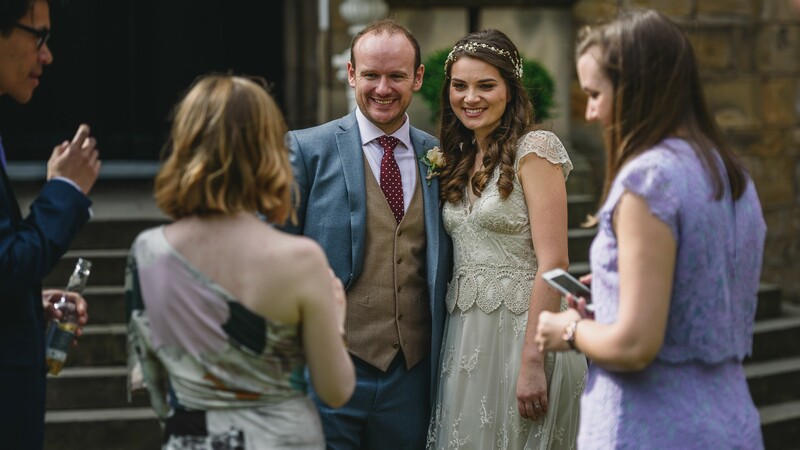 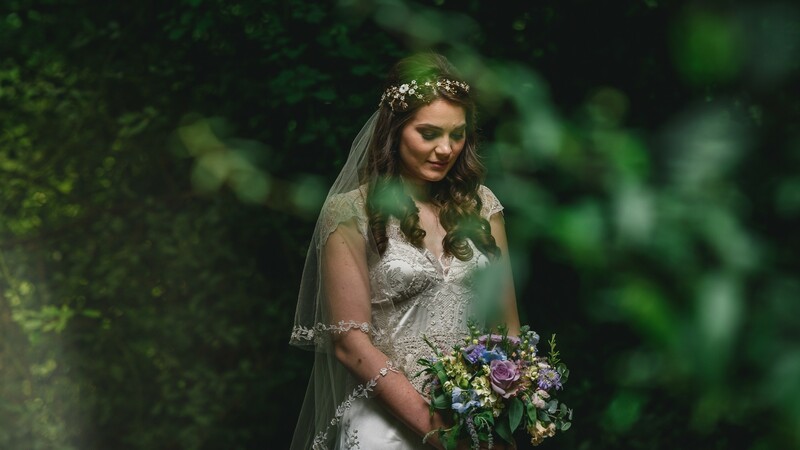 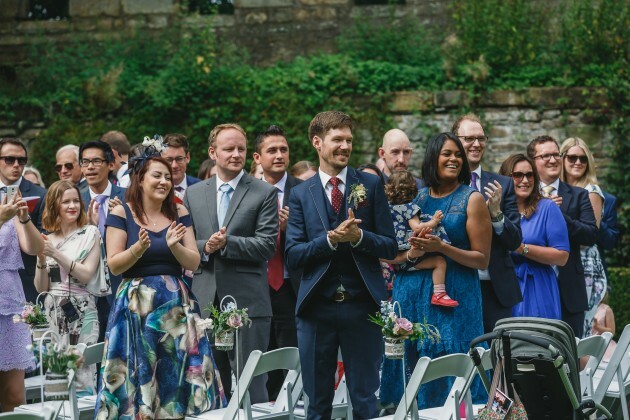 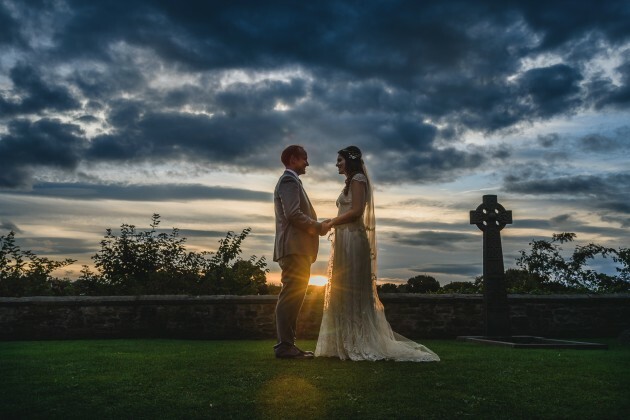 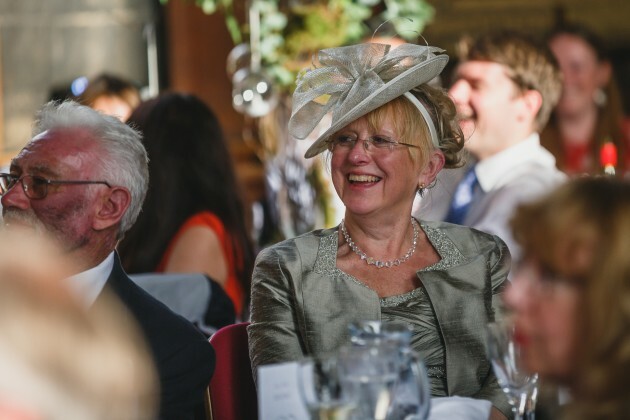 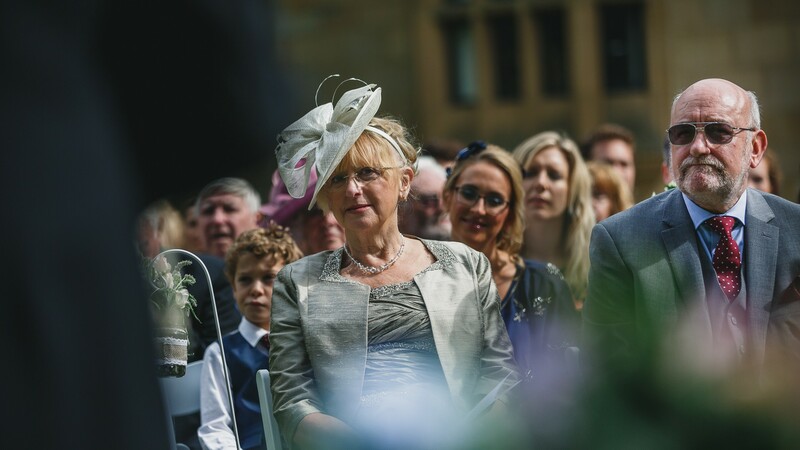 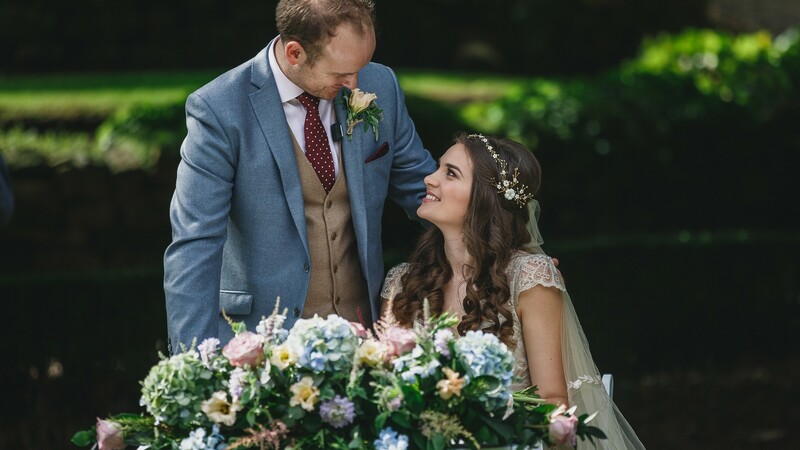 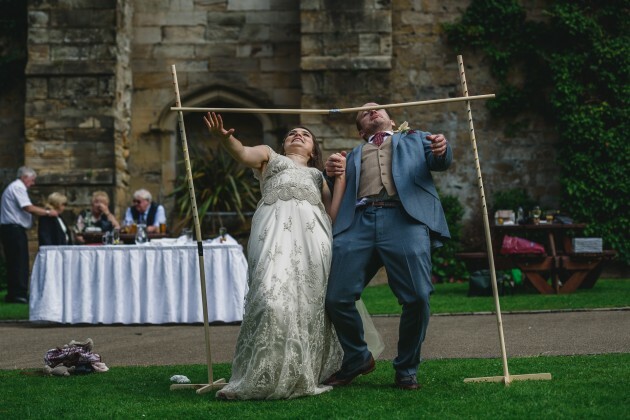 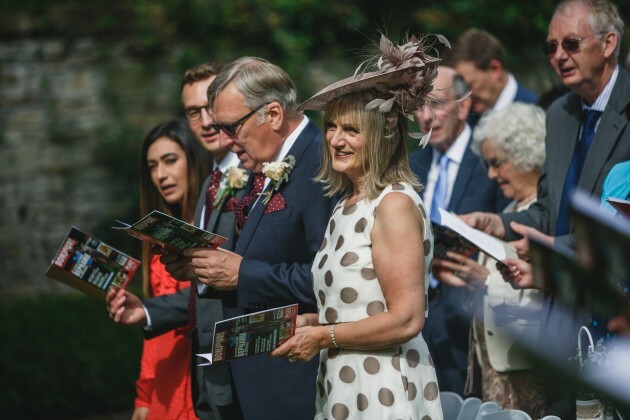 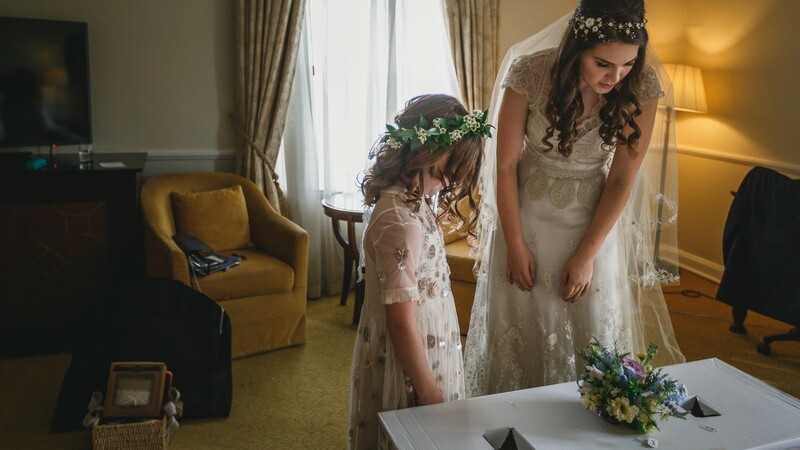 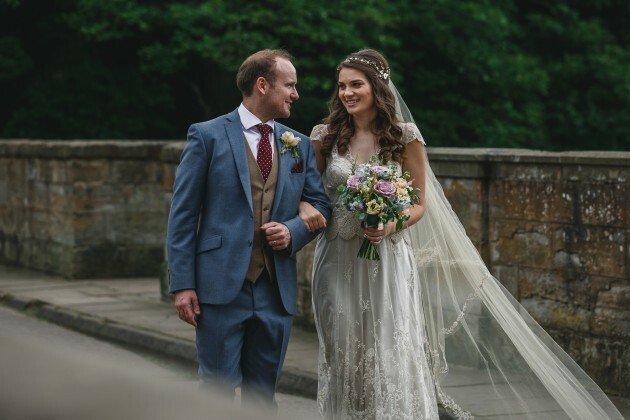 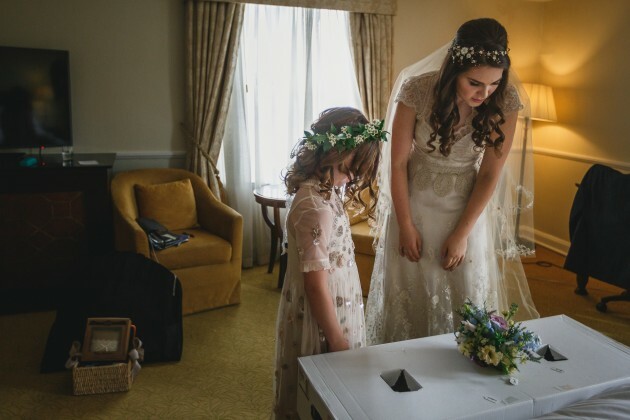 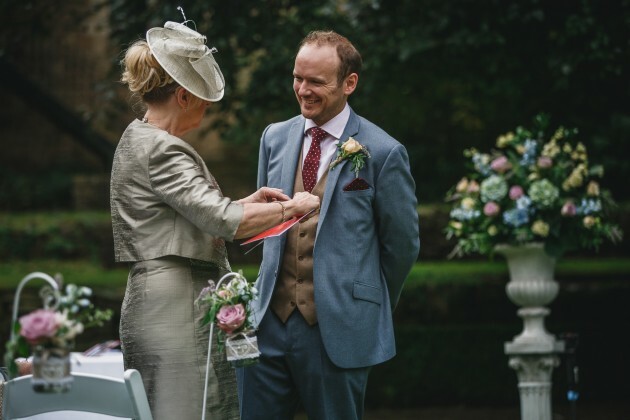 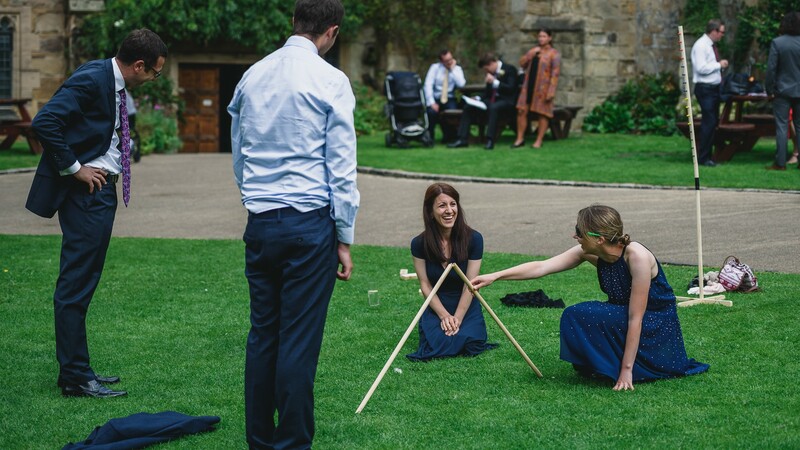 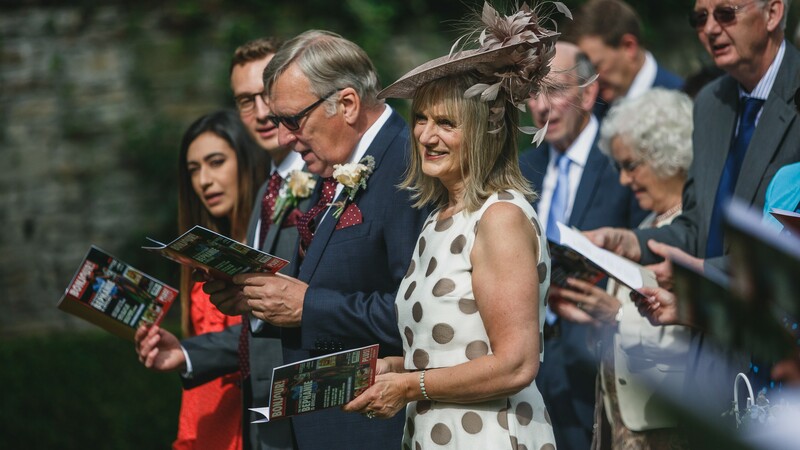 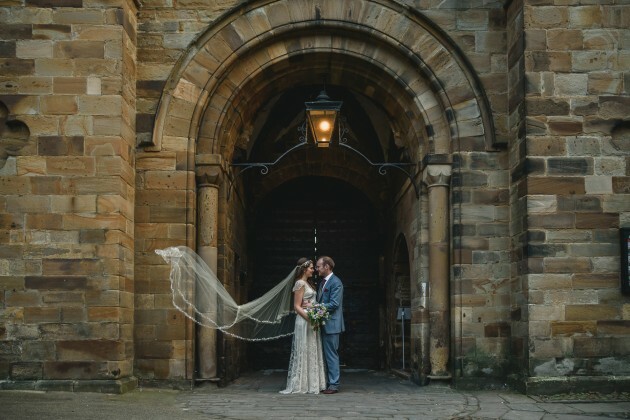 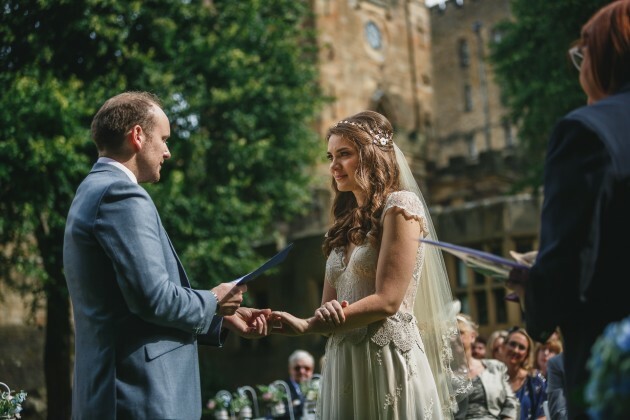 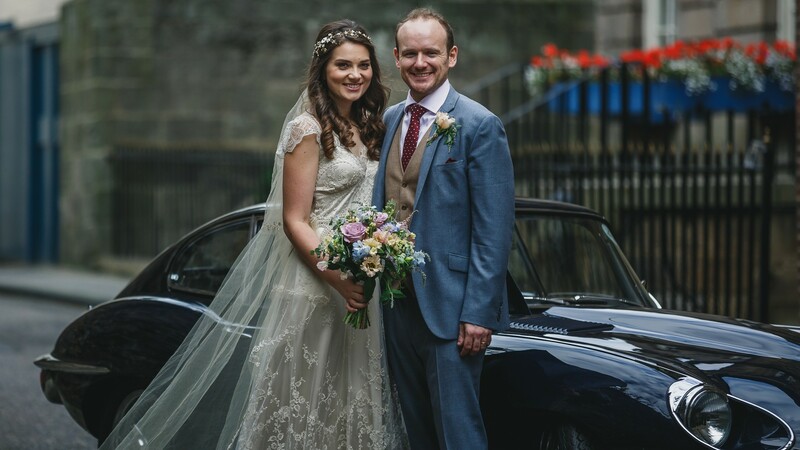 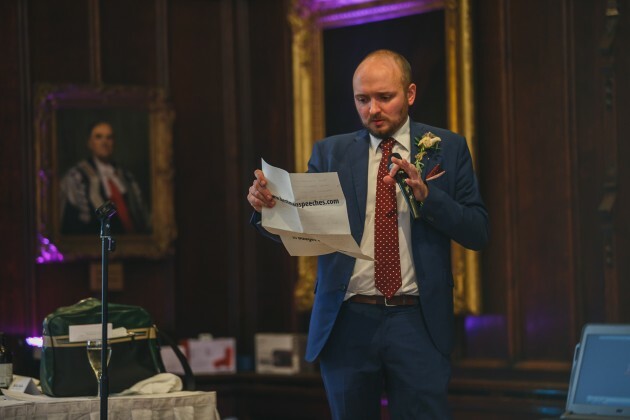 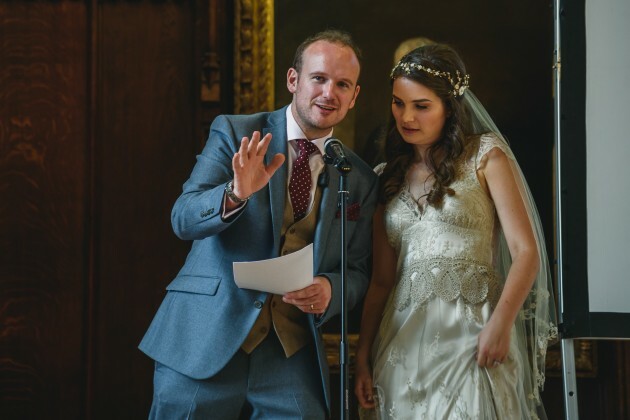 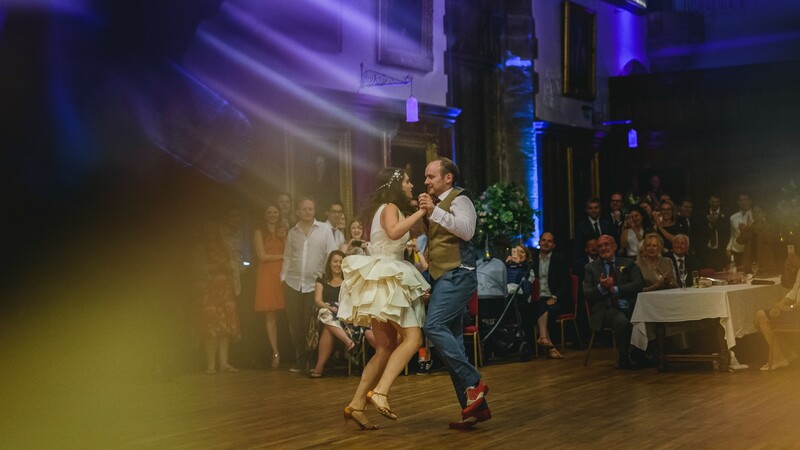 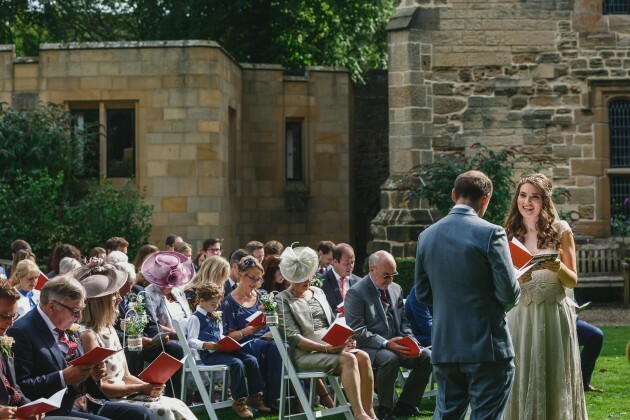 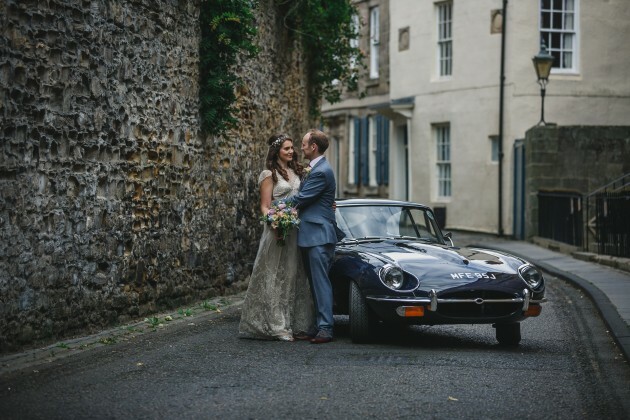 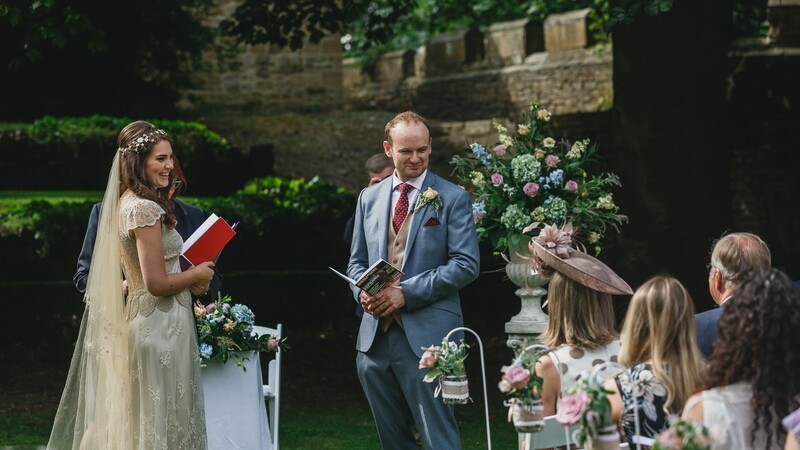 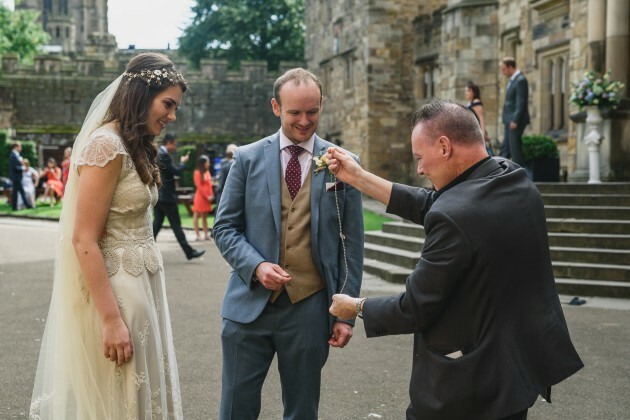 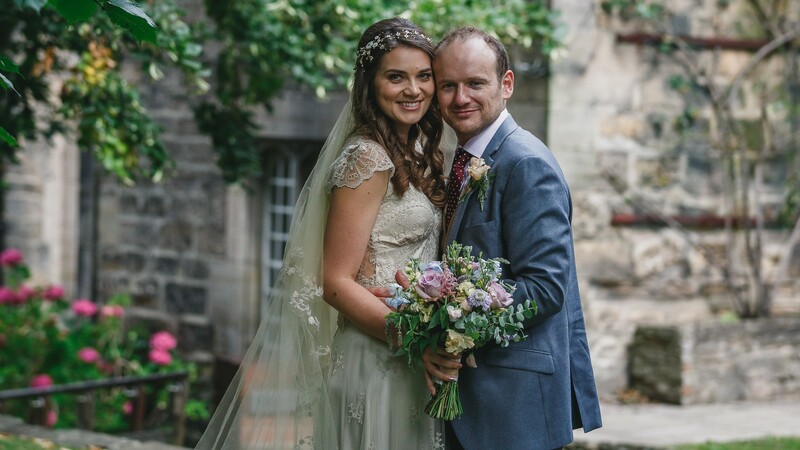 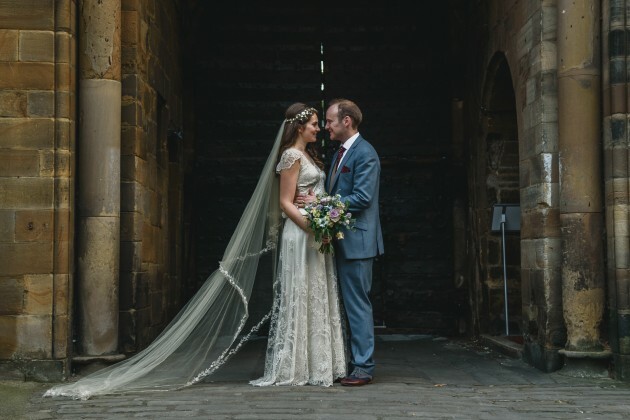 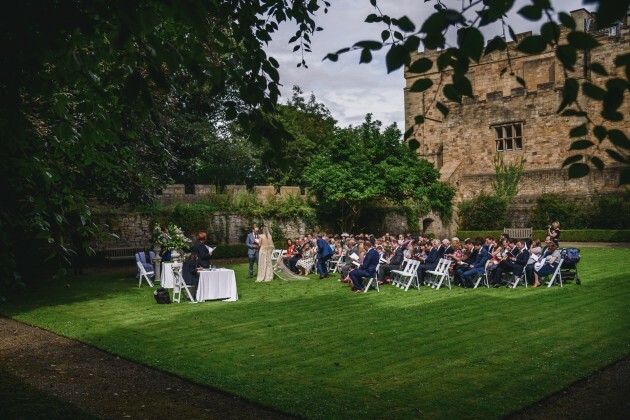 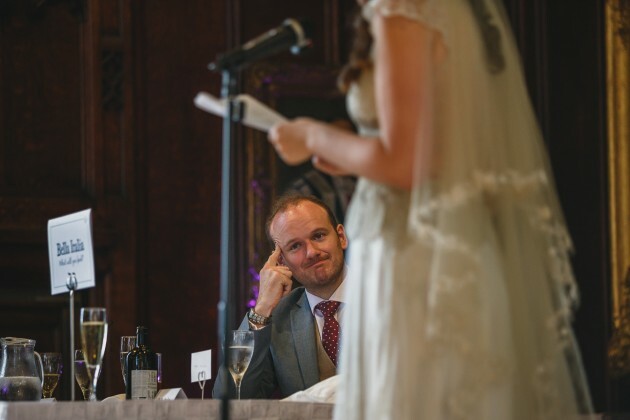 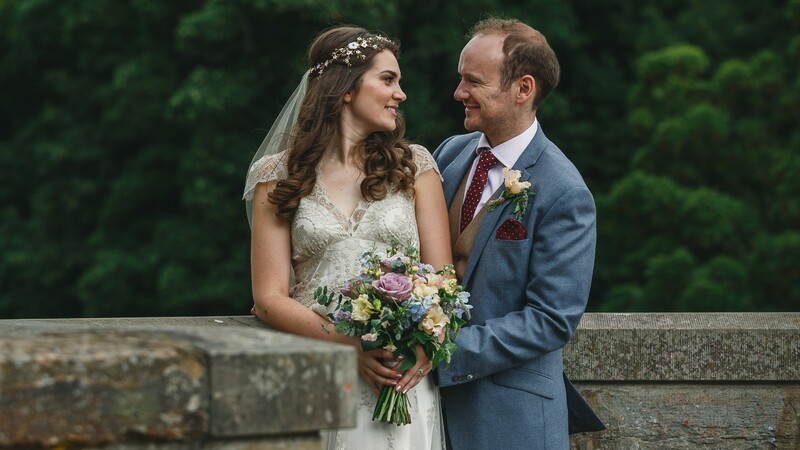 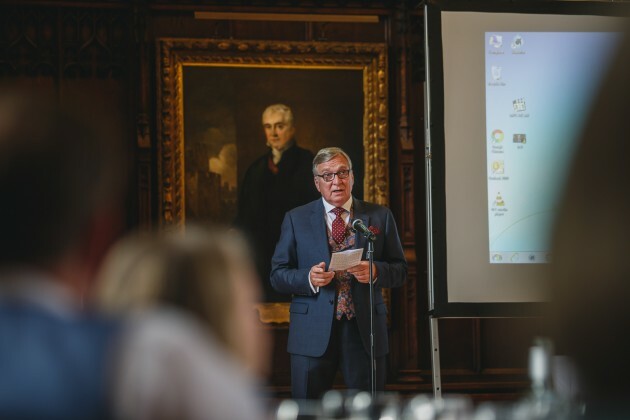 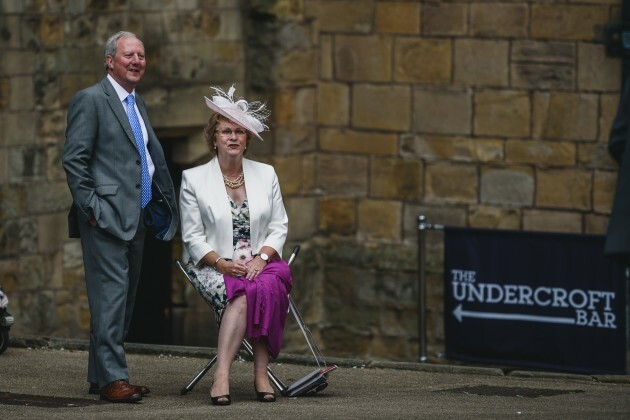 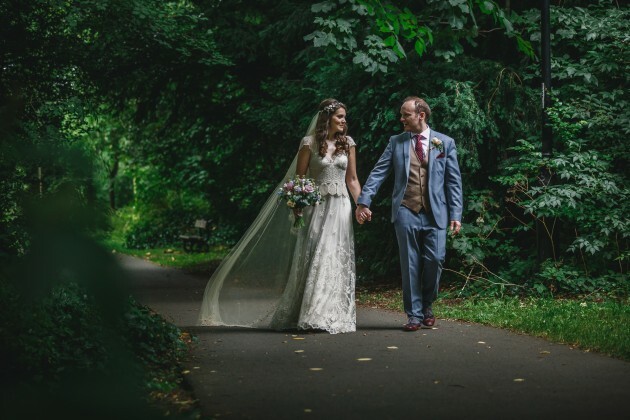 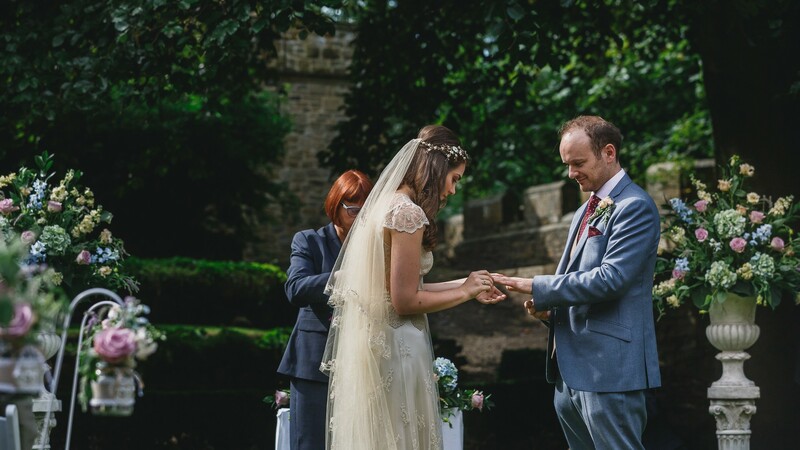 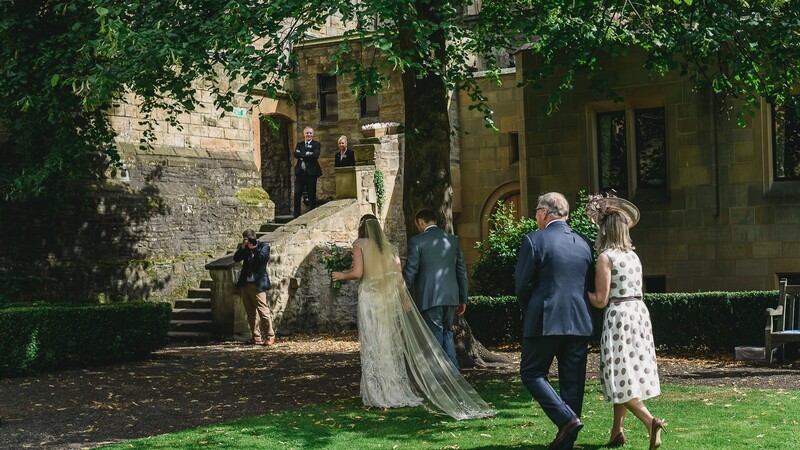 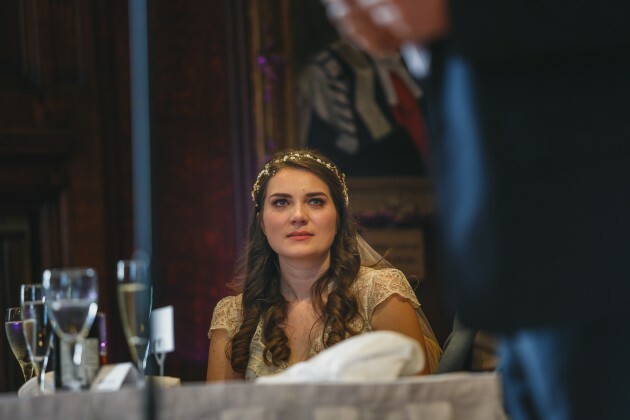 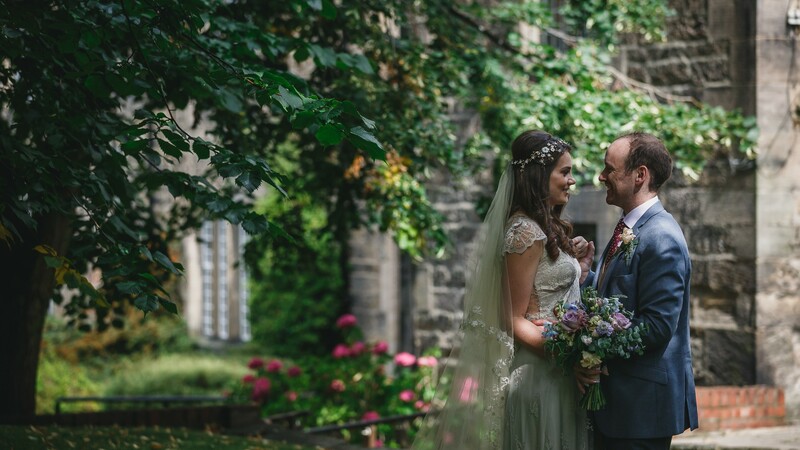 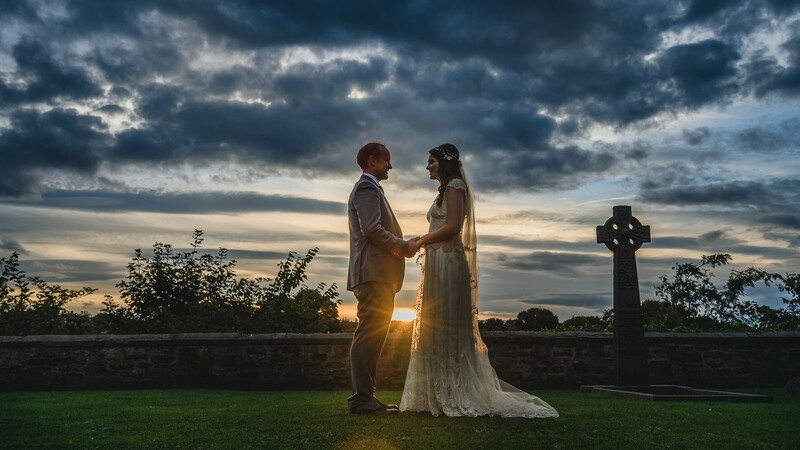 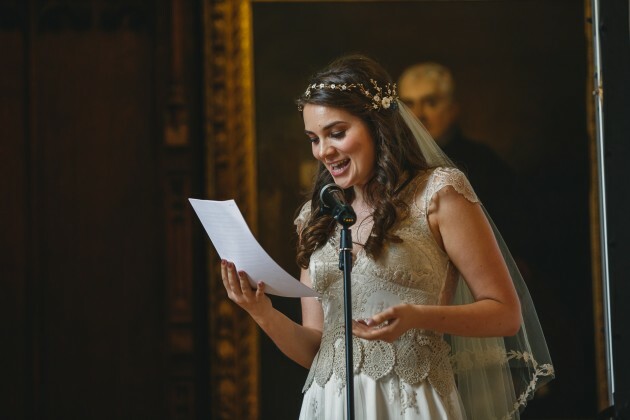 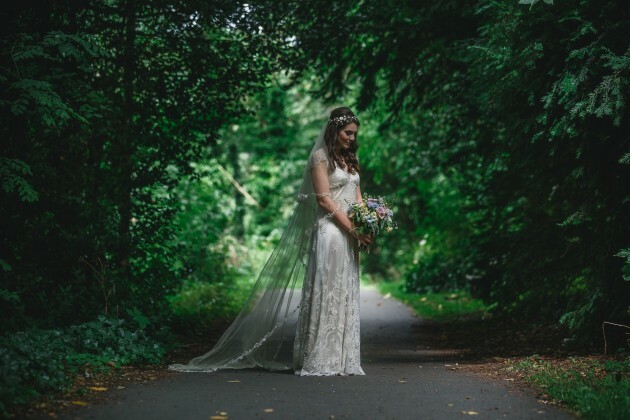 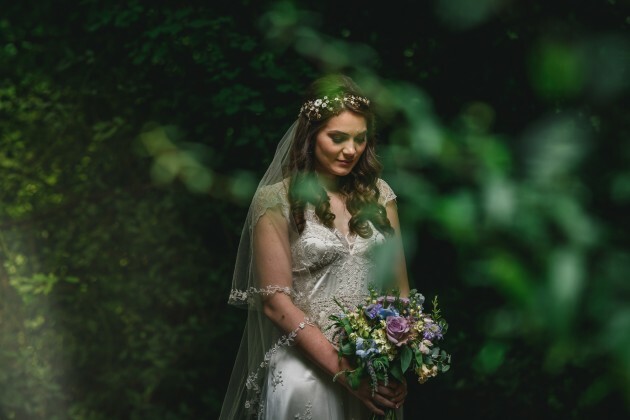 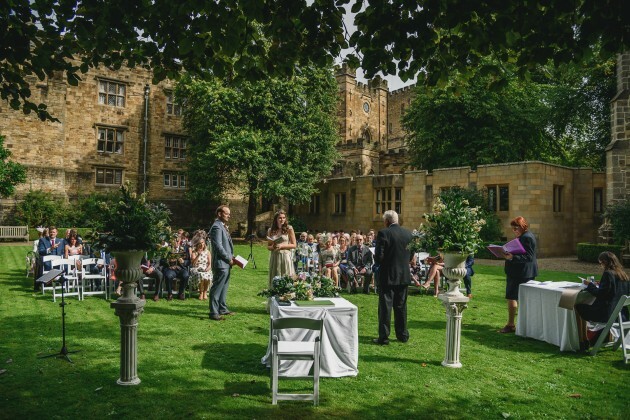 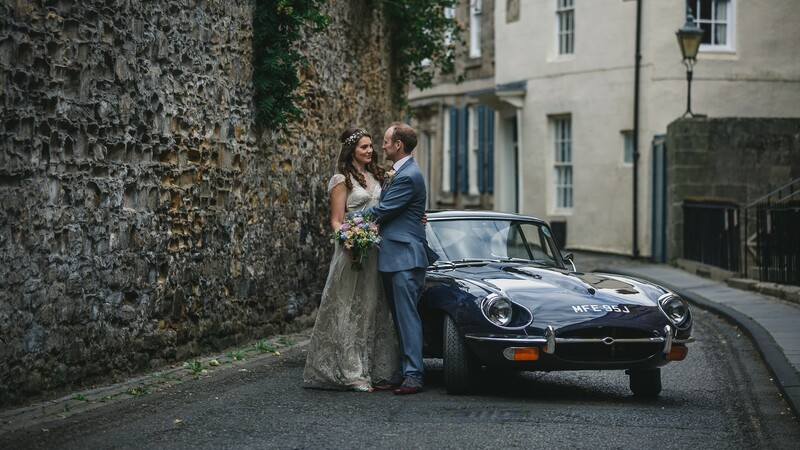 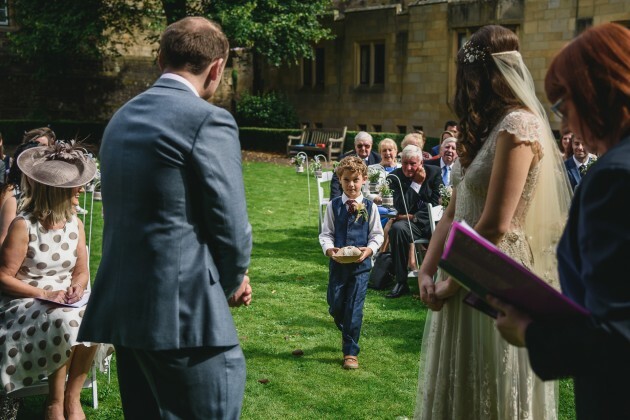 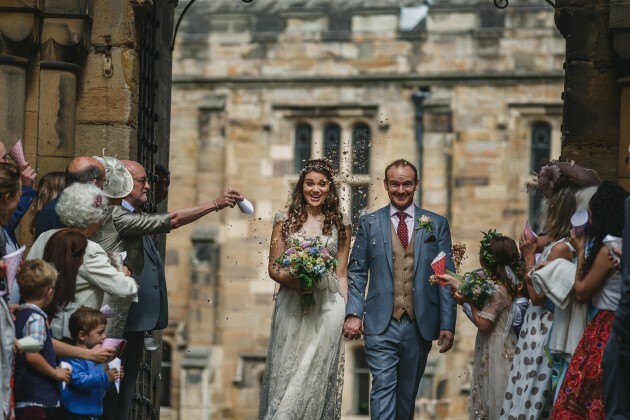 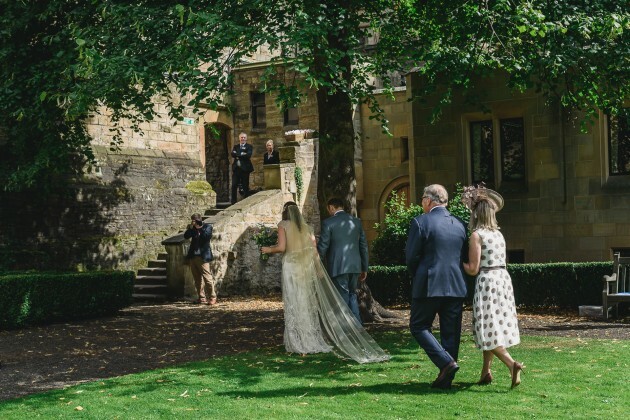 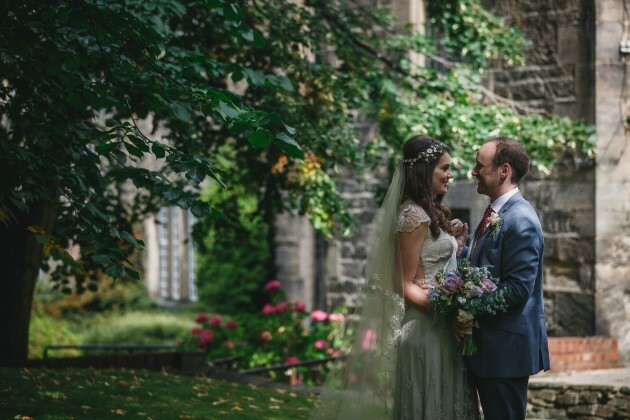 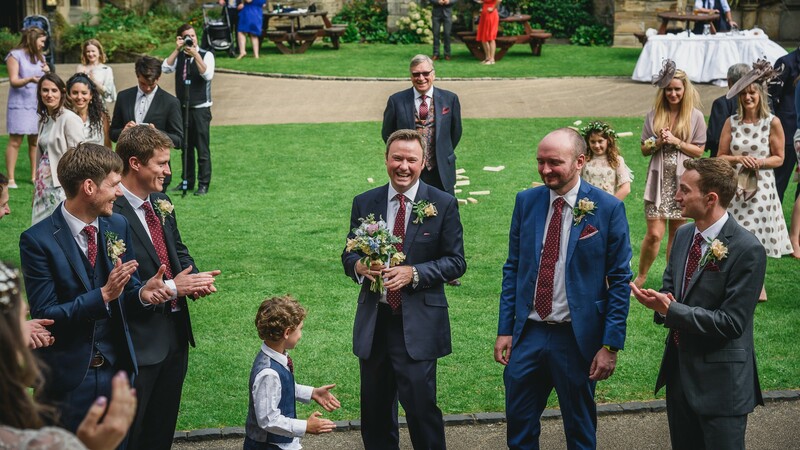 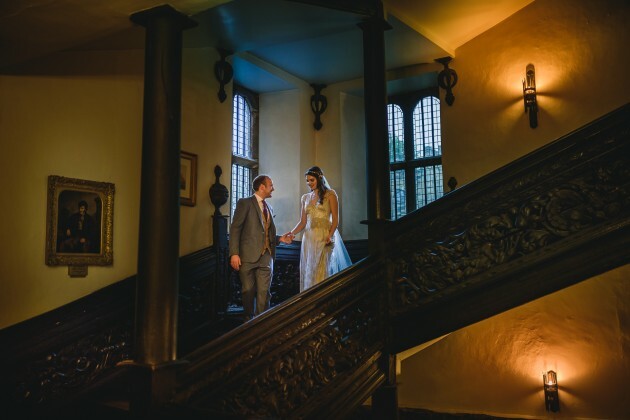 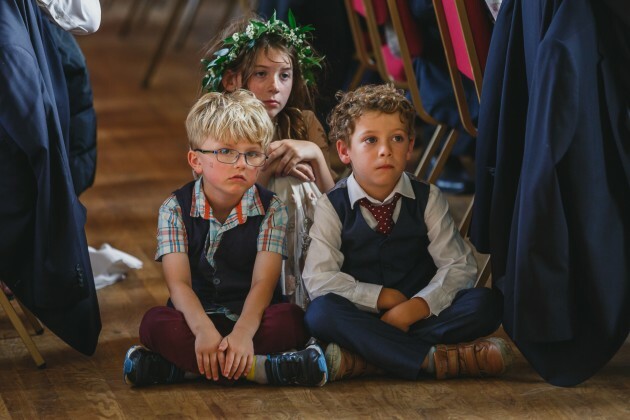 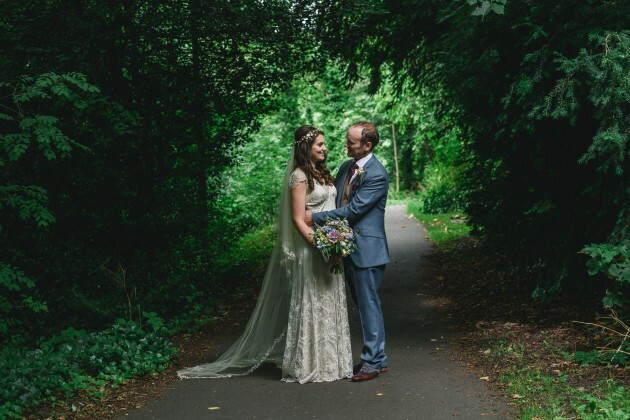 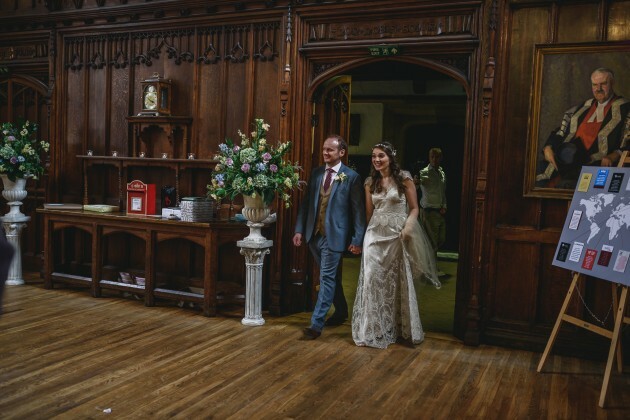 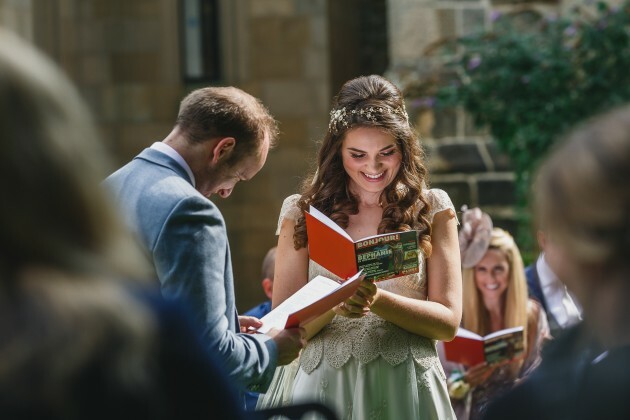 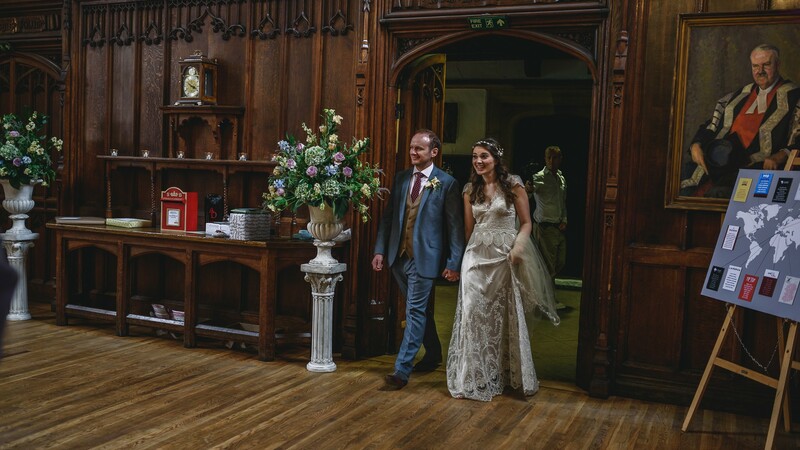 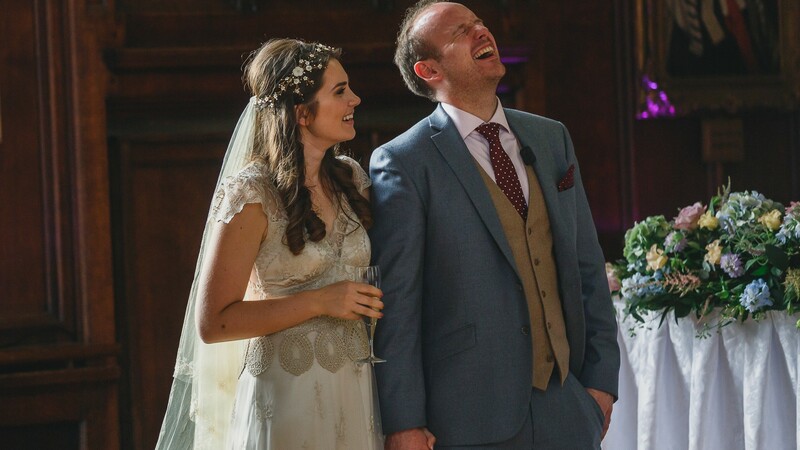 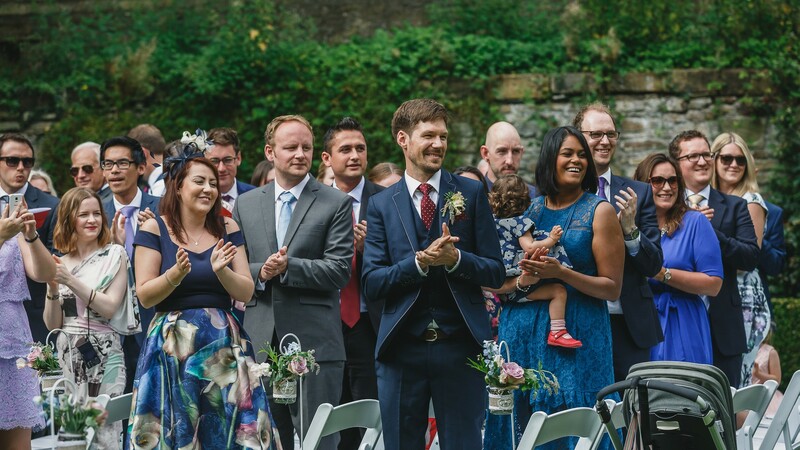 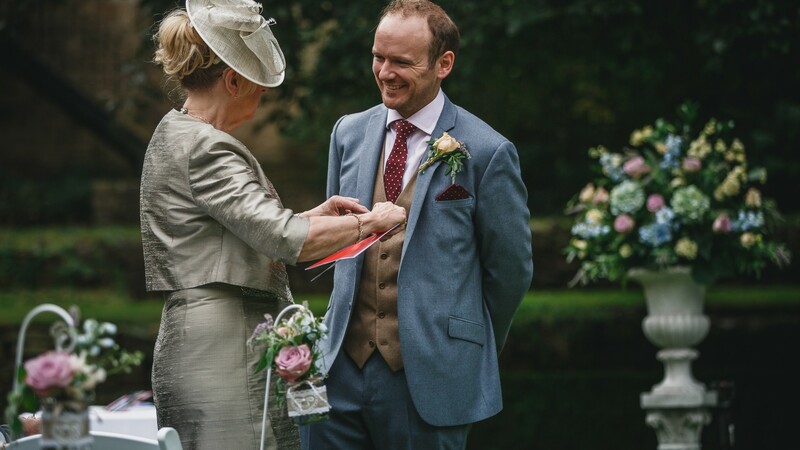 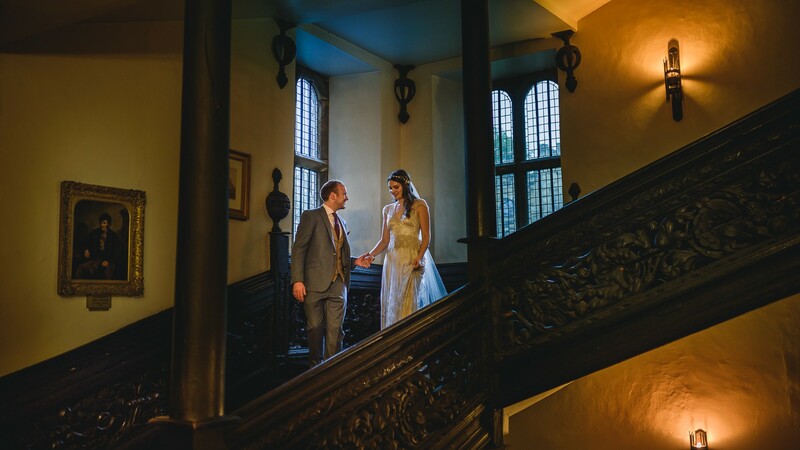 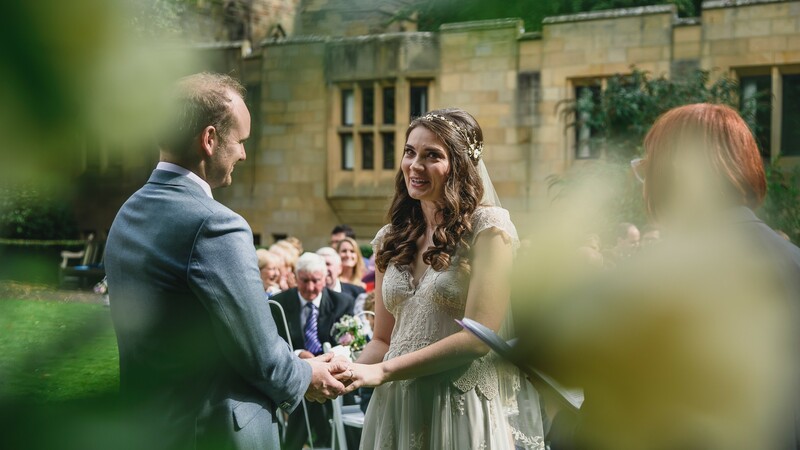 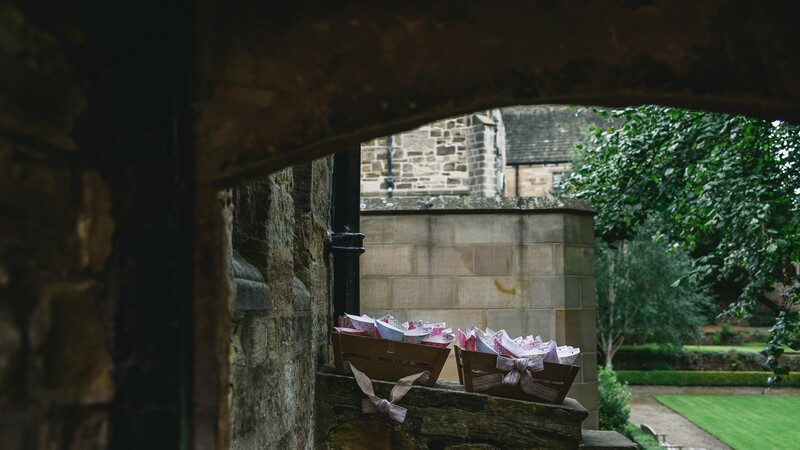 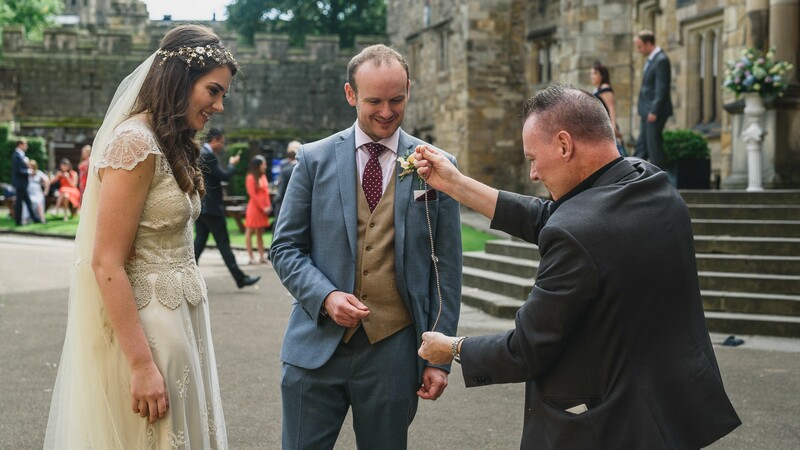 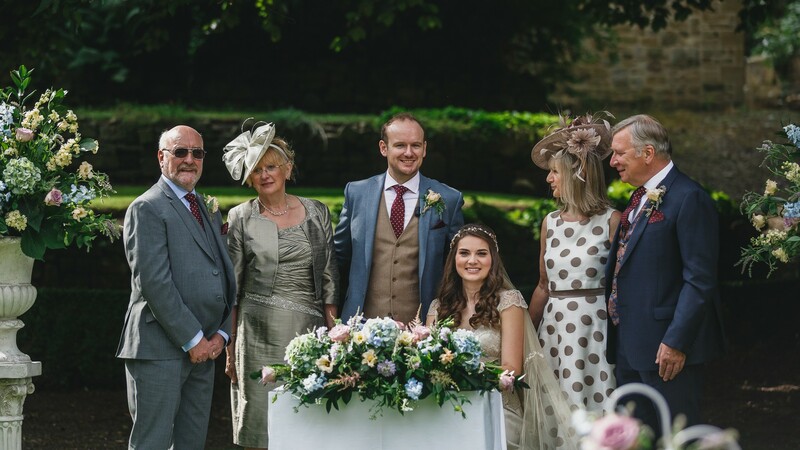 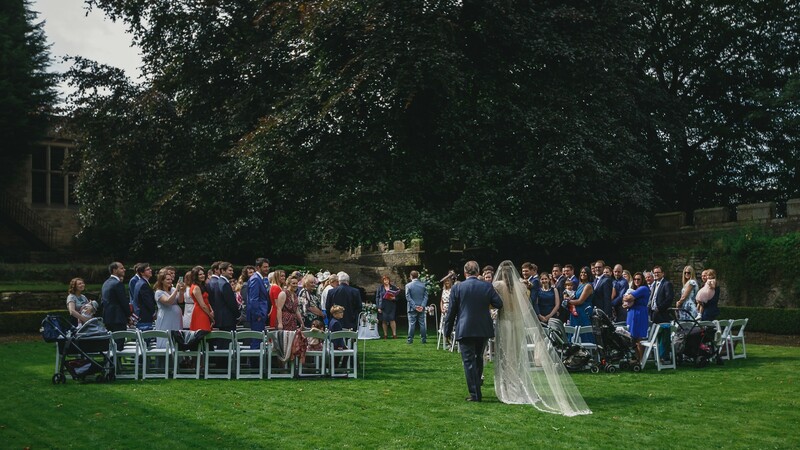 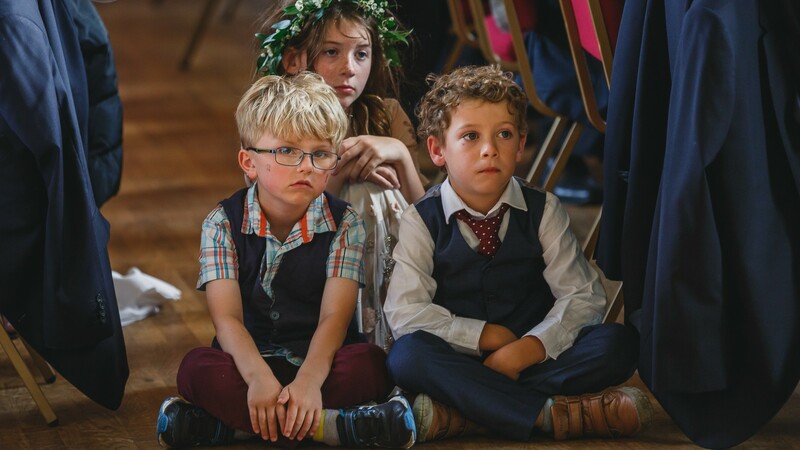 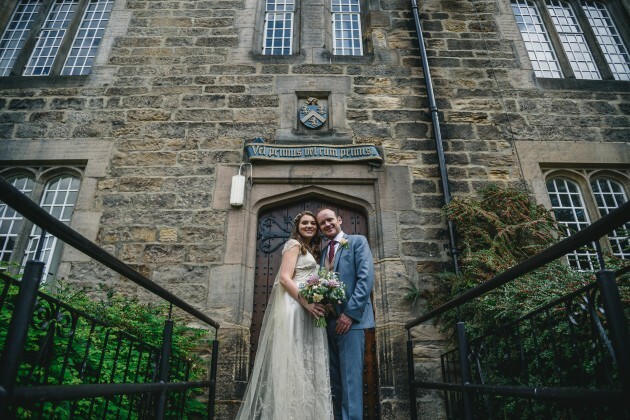 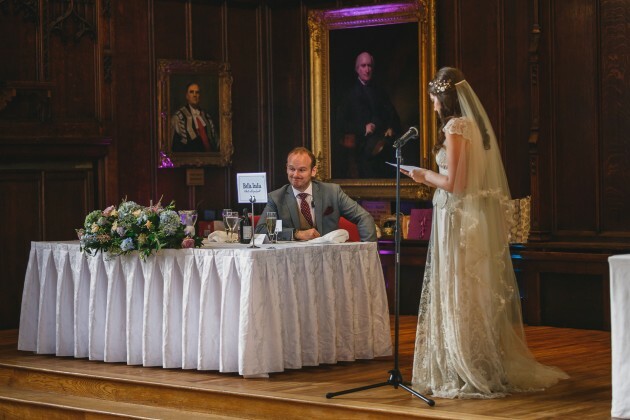 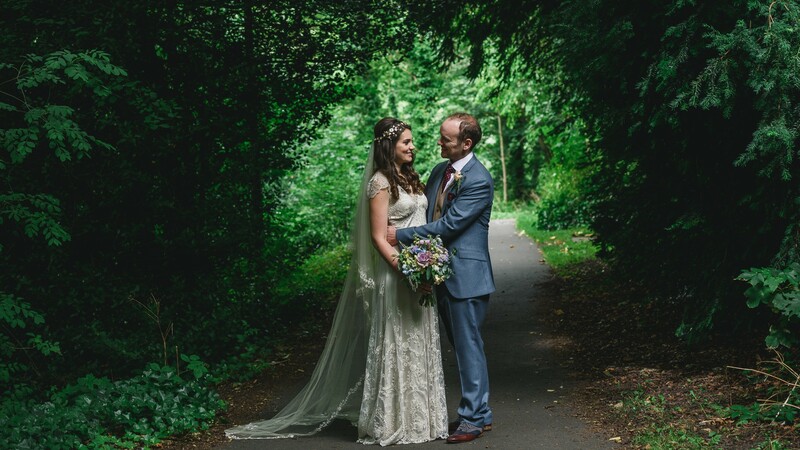 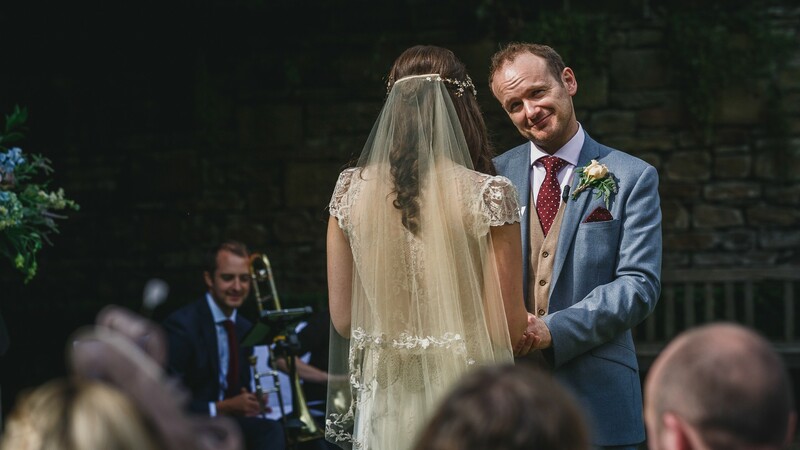 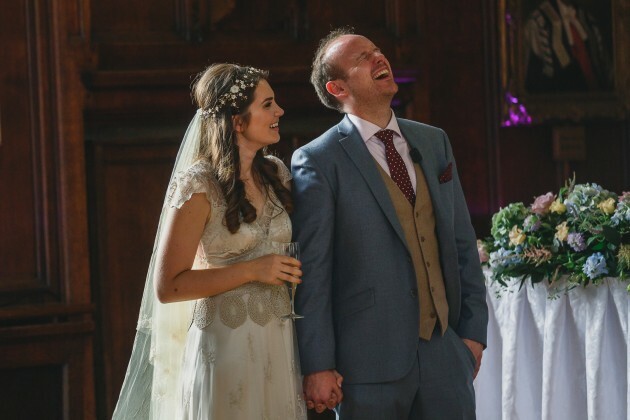 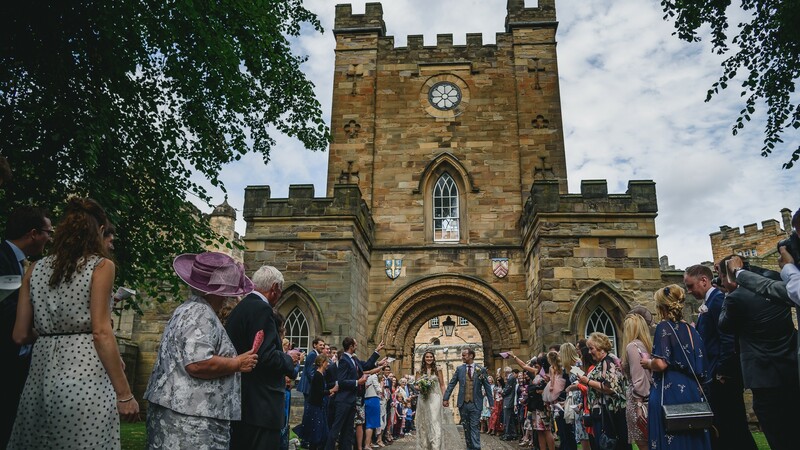 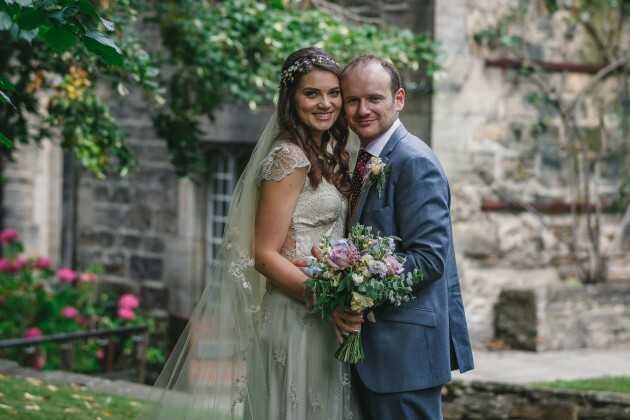 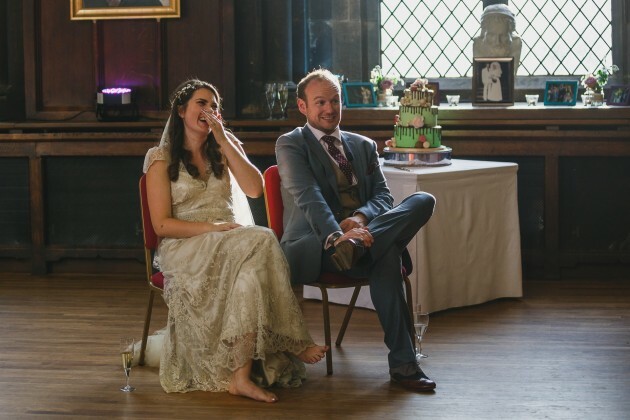 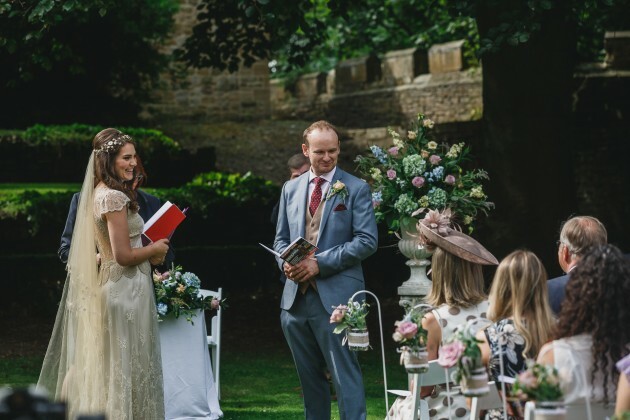 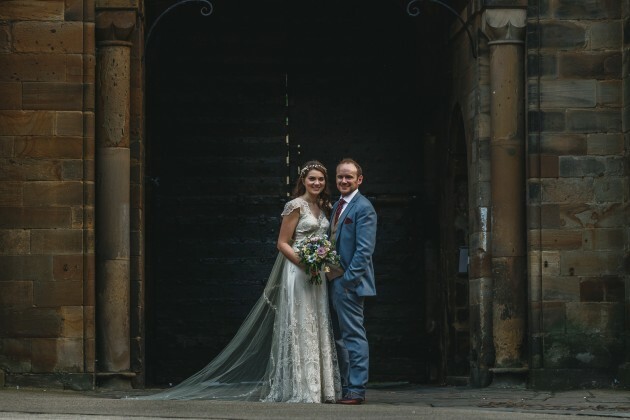 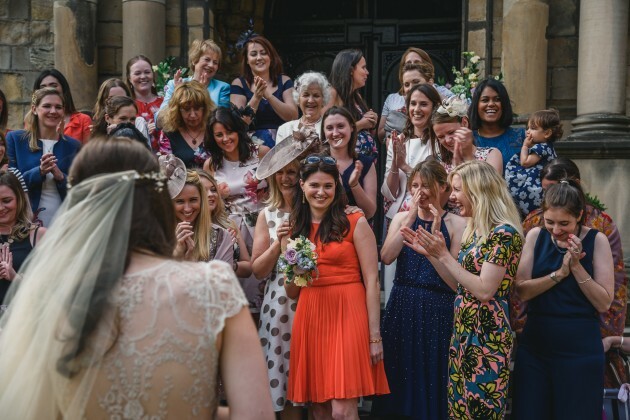 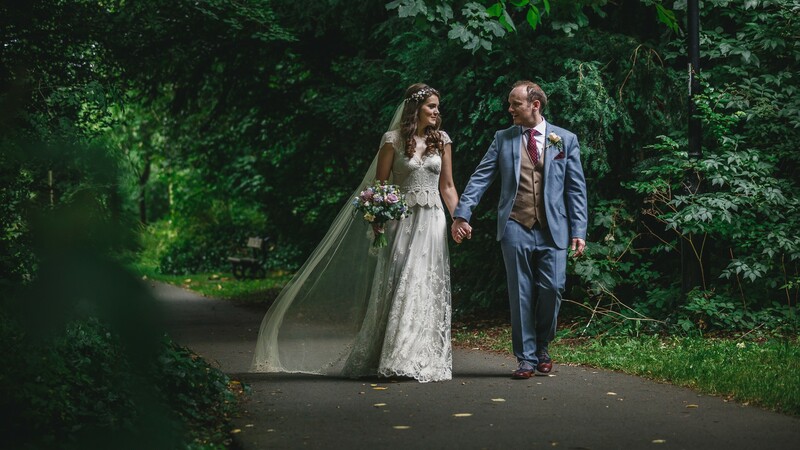 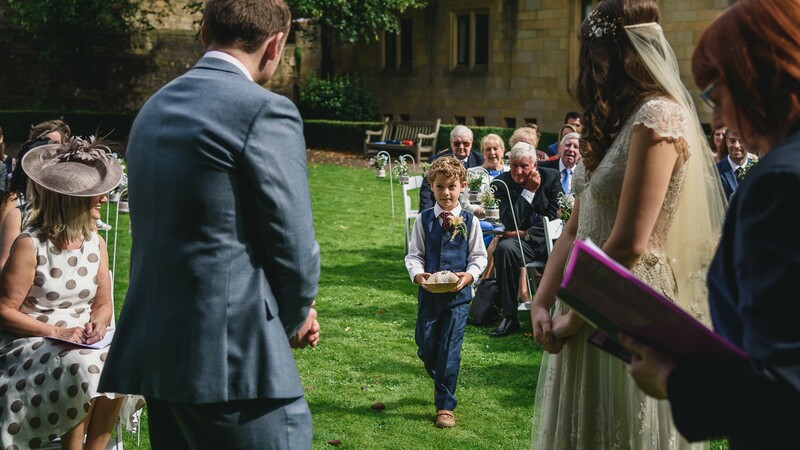 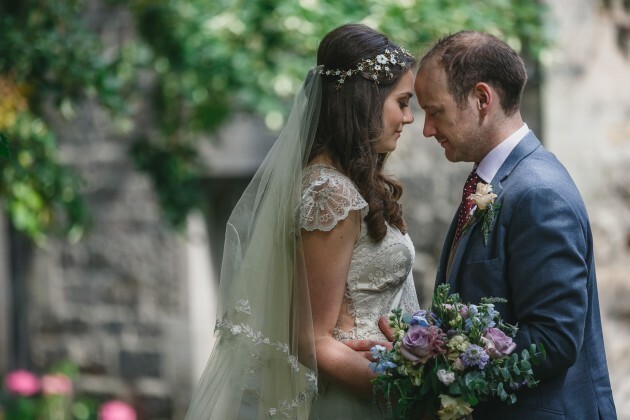 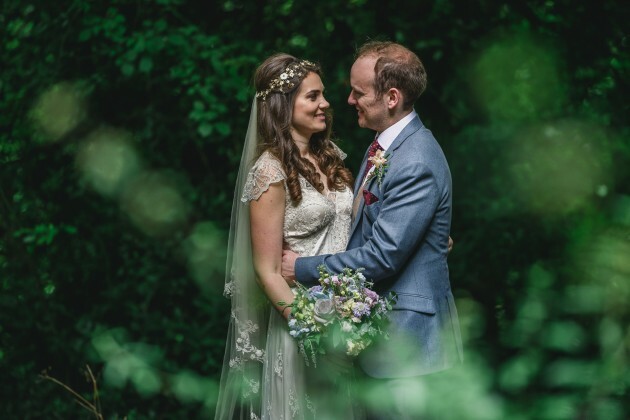 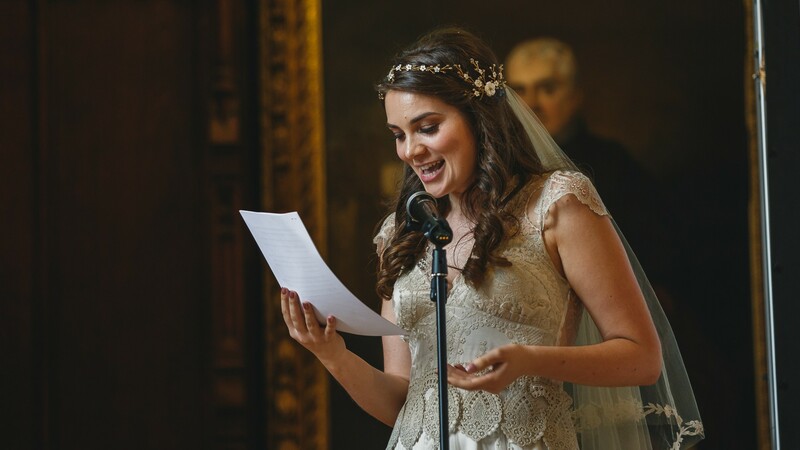 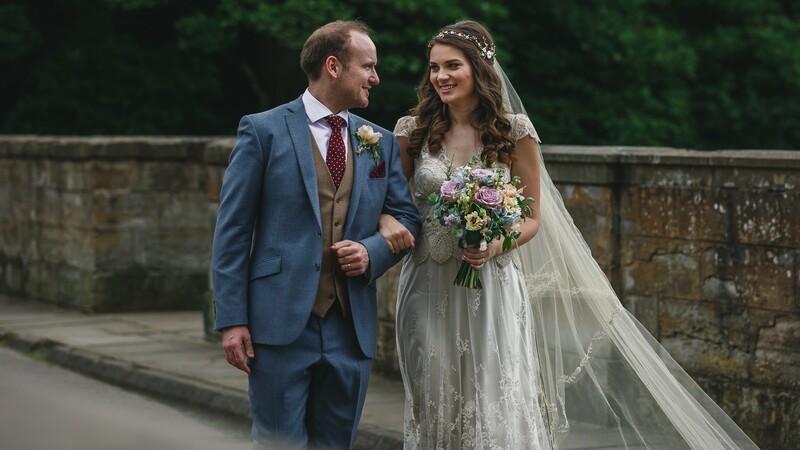 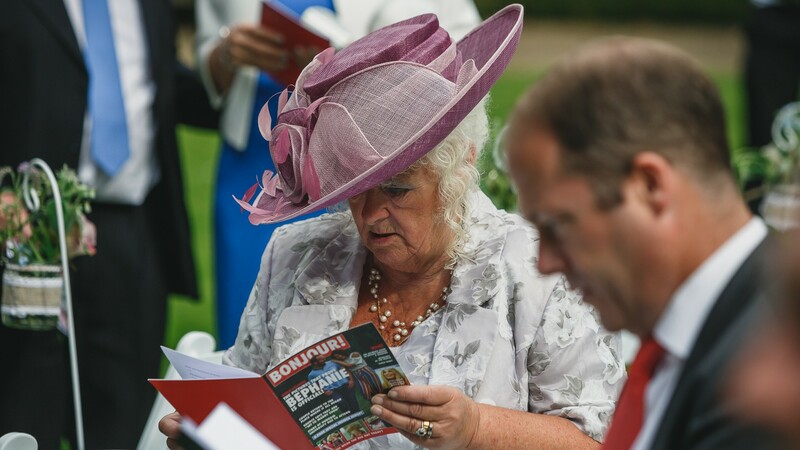 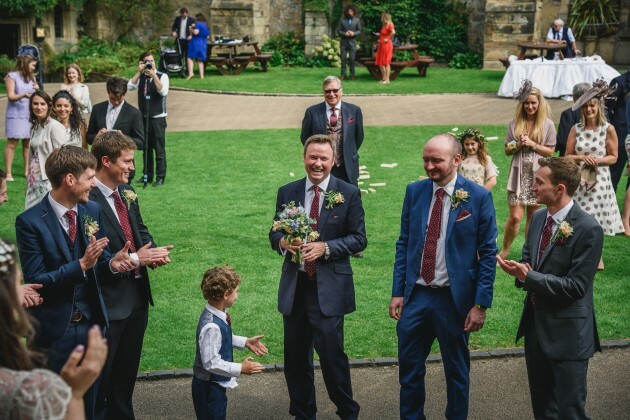 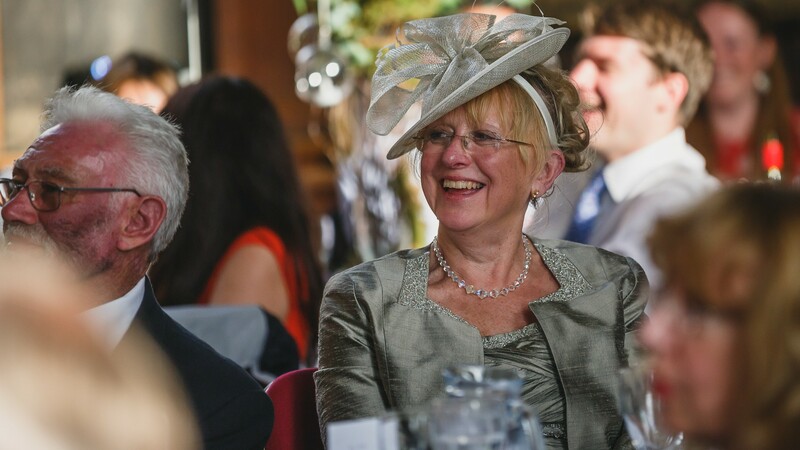 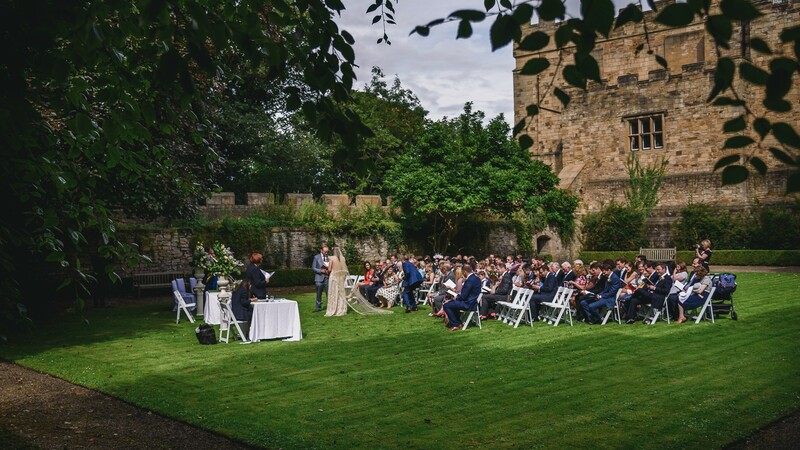 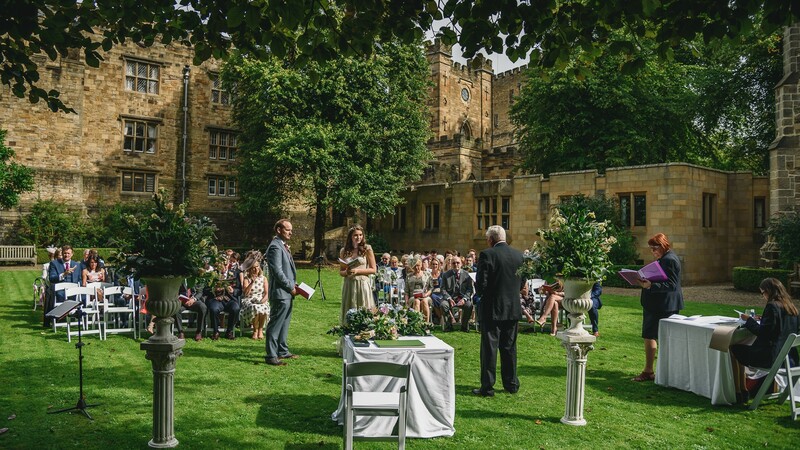 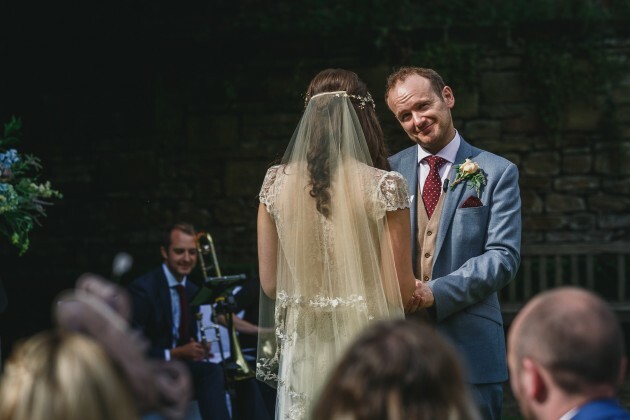 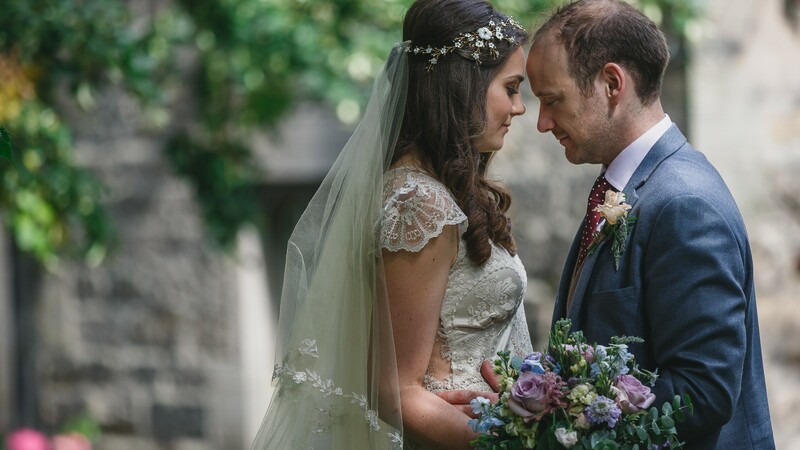 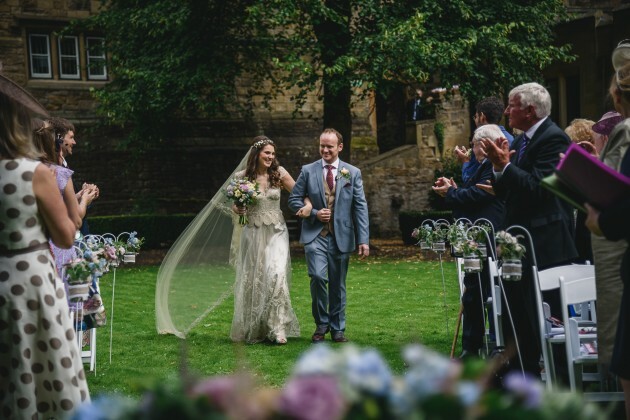 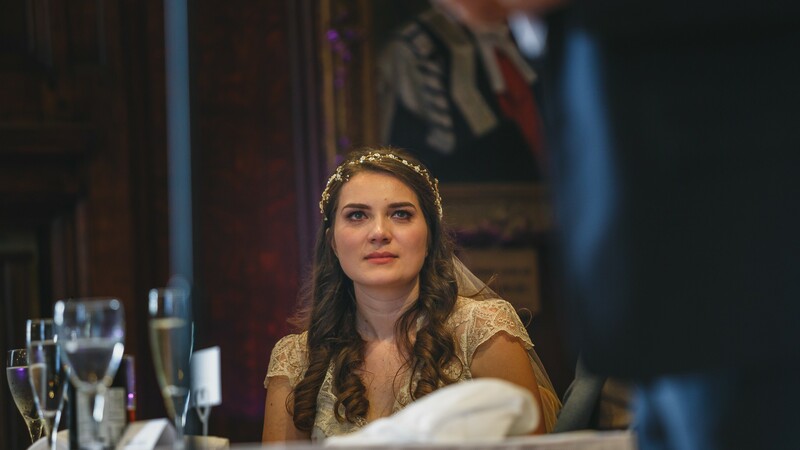 They were also very happy to have the opportunity, Northern weather permitting to have one of the first outdoor ceremony within the Castle's Gardens and what a beautiful setting it was. 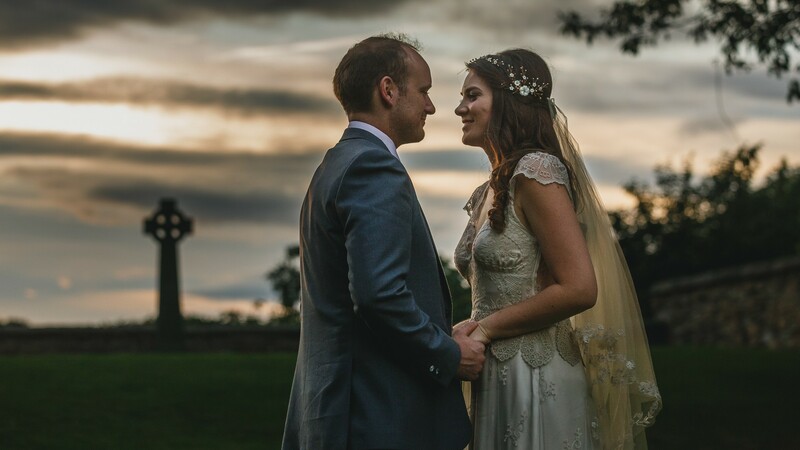 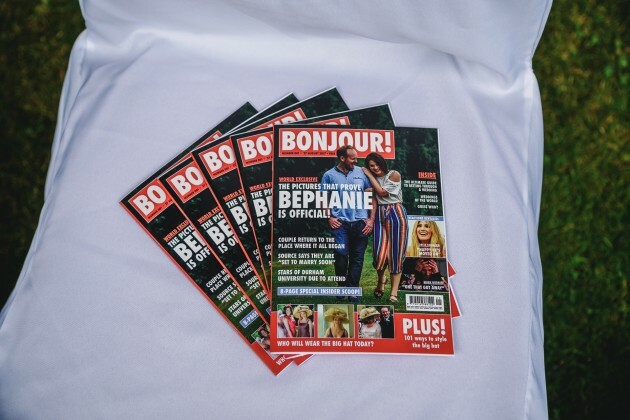 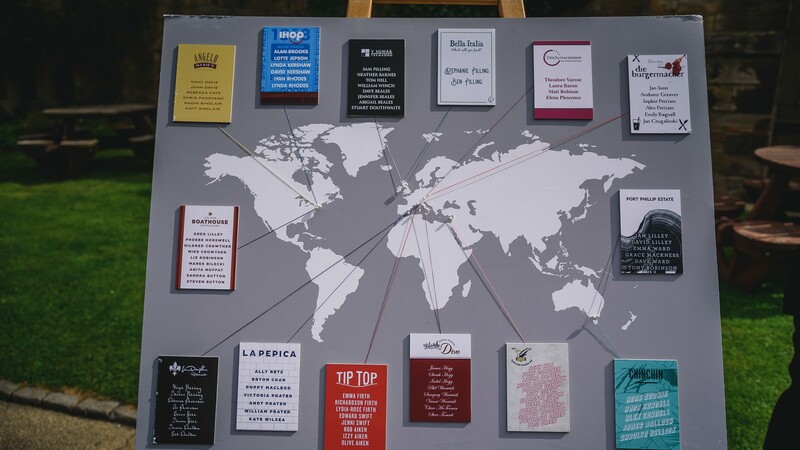 Stephanie and Ben's planning was meticulous and very much a joint project. 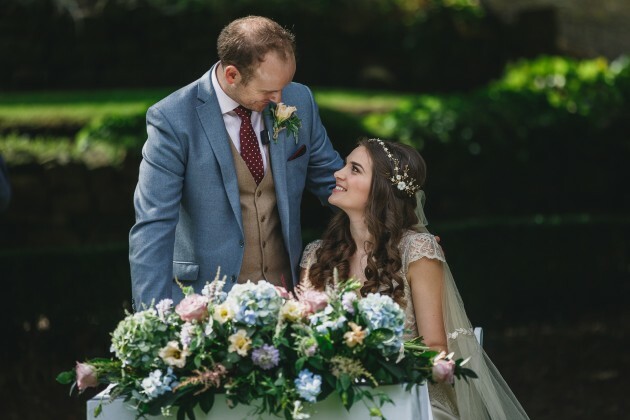 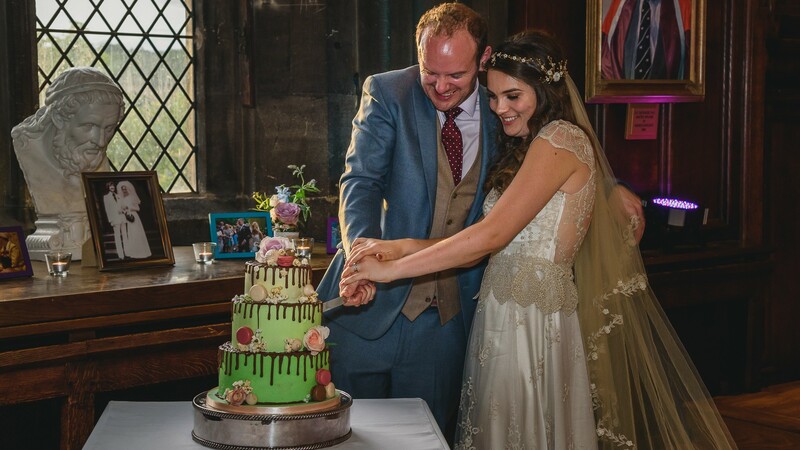 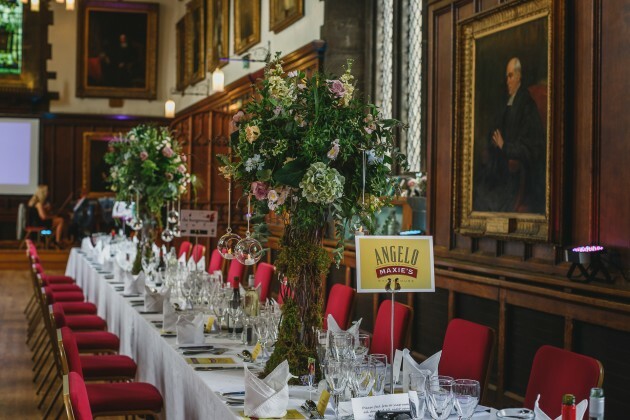 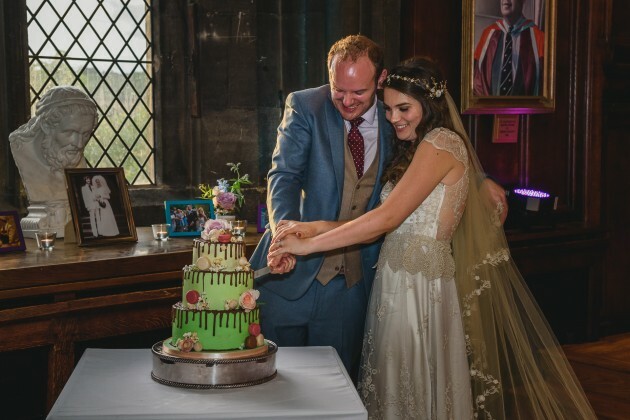 They chose Fleurcouture as their florist, the wedding cake was sourced from Marielle Cake Boutique, the table names were taken from restaurants around the world that Ben and Stephanie had visited, they designed all this stationery themselves and it really looked fabulous. 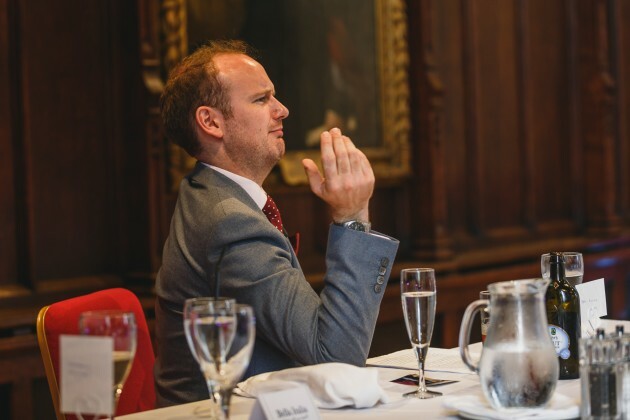 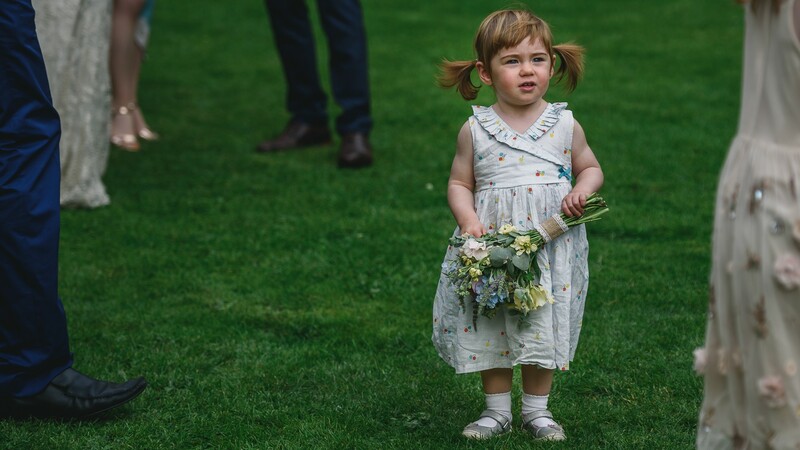 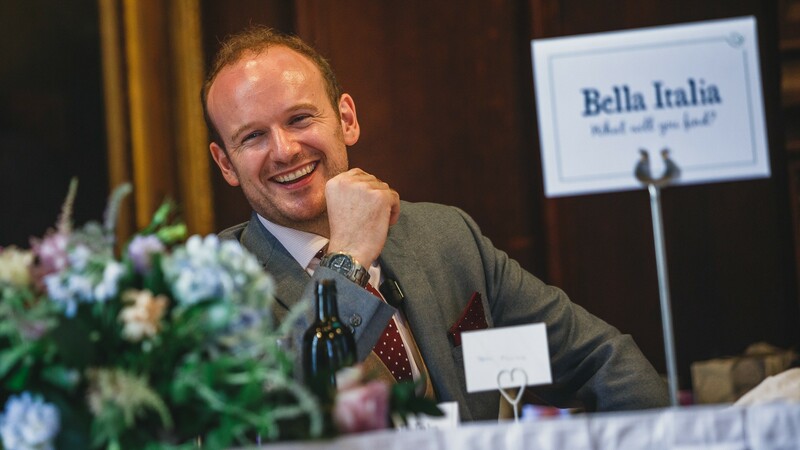 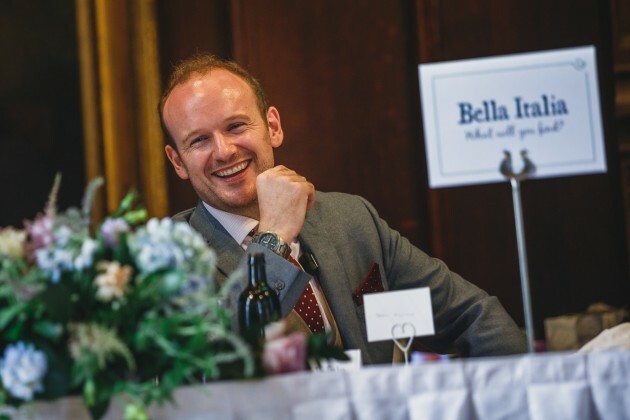 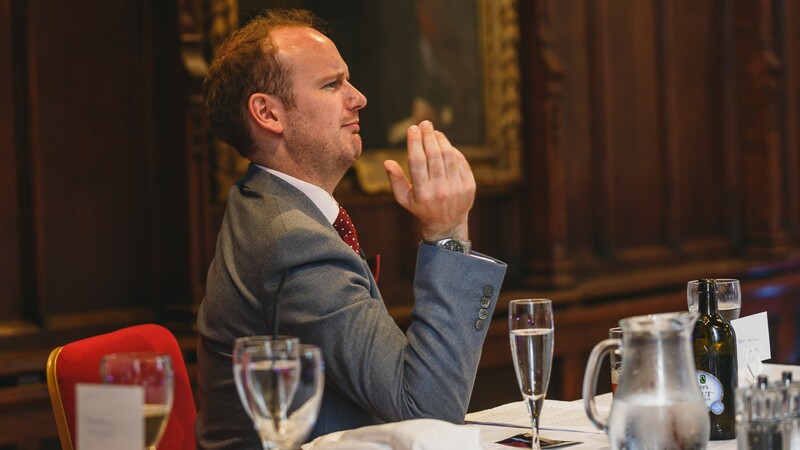 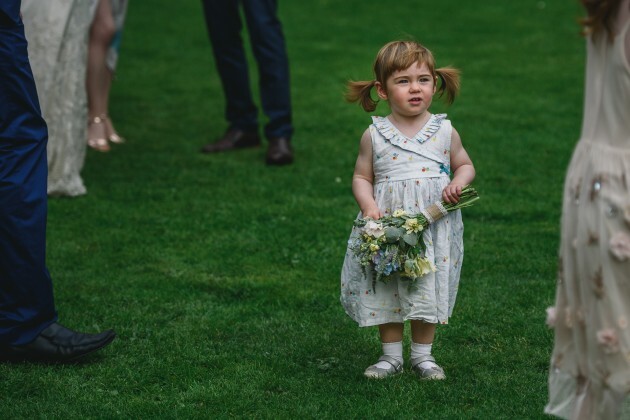 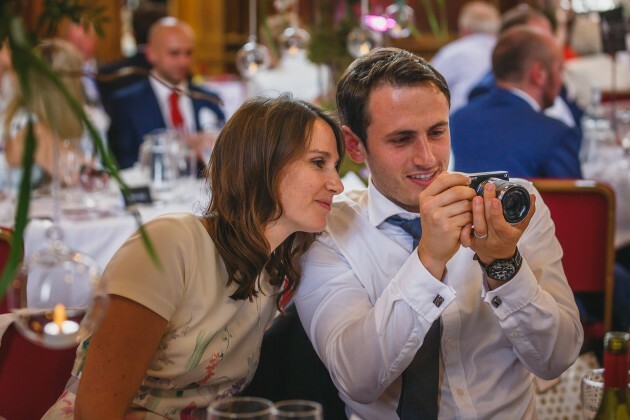 As Ben works in the world of photography, he was the one to hunt out our photographer but it wasn't as easy as we first thought, It’s so easy to set up as a photographer these days – pick up a camera, point and how hard can it be? 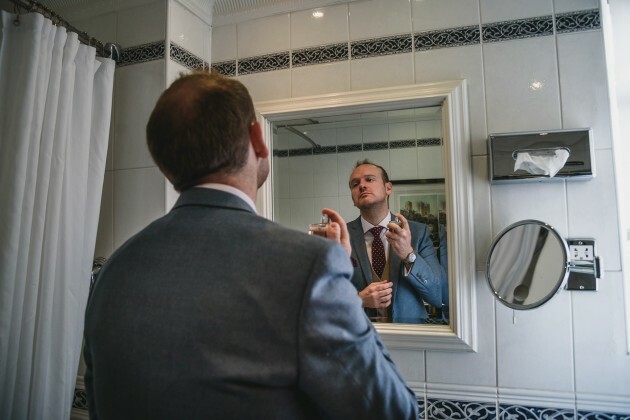 – but it truly is a trained art and thankfully, Ben had all of the technical know-how to separate the imposters from the real deal. 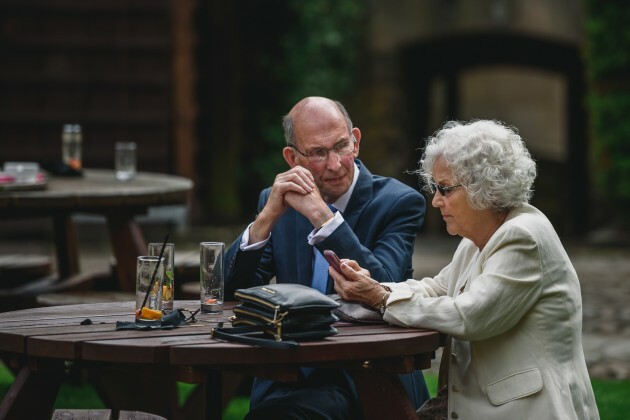 Not that you would need this too – usually if the price looks too good to be true compared to their competitors, there’ll be a reason why! 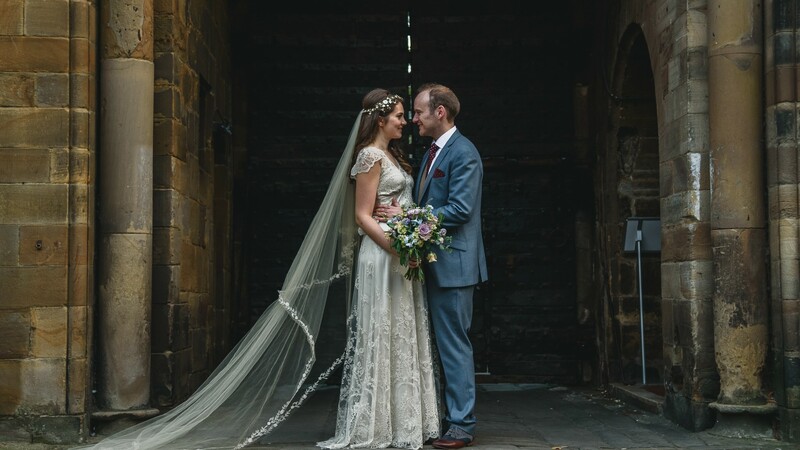 We went to meet Stan and Jane at their studio in Darlington and they couldn’t have made us feel more welcome – they had so much time for us, we definitely went over the hour allocated! 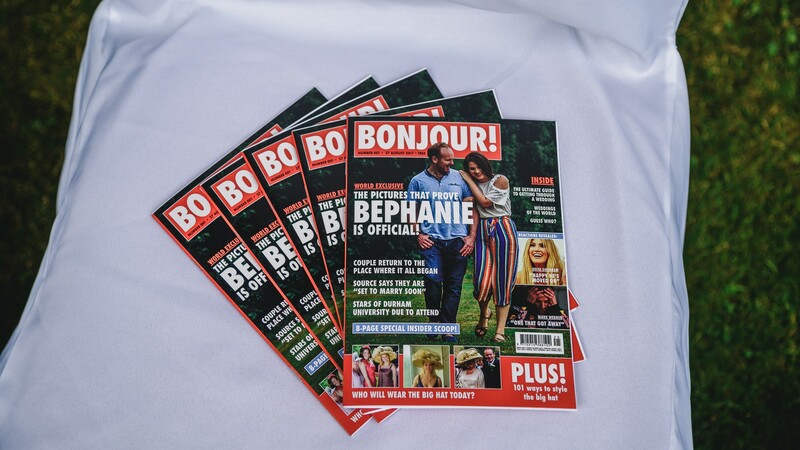 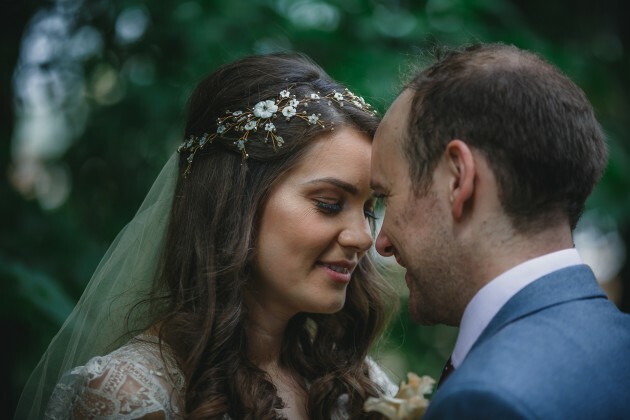 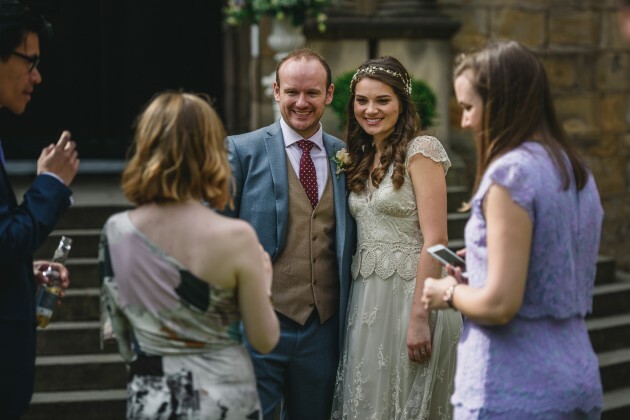 They are so down to earth and genuinely interested in each of their couples (they remembered so many small details about their other weddings when we were flicking through their portfolios) that they make you feel immediately at ease. 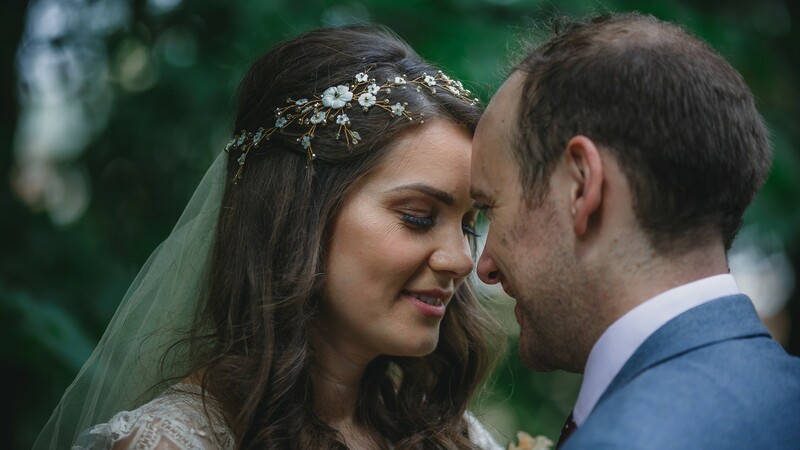 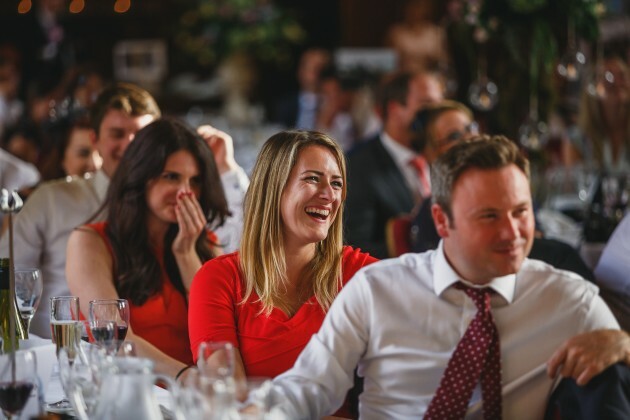 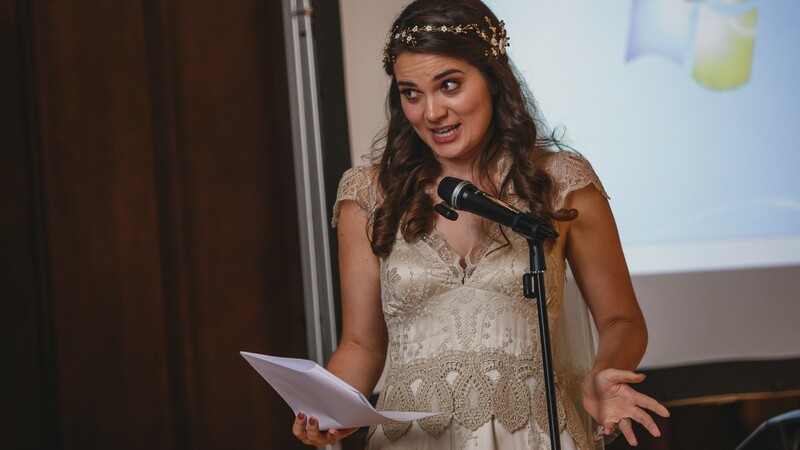 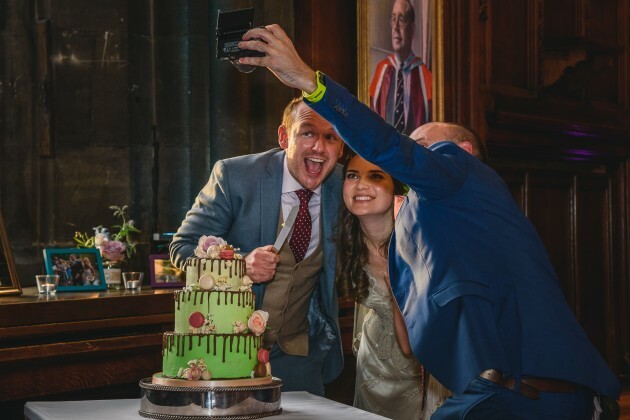 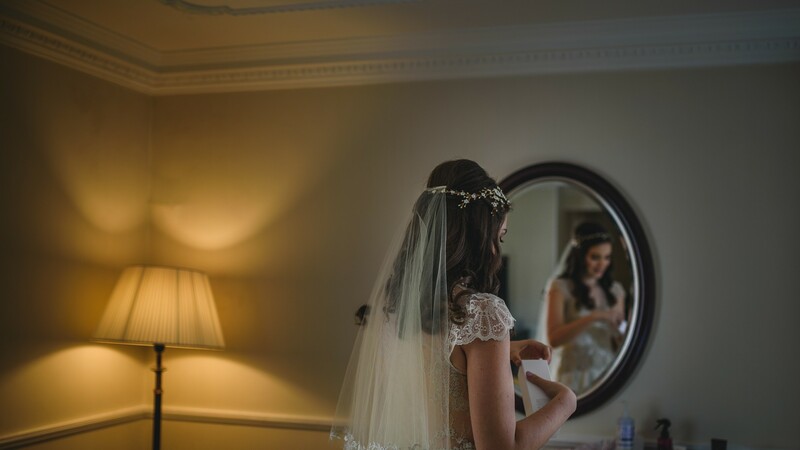 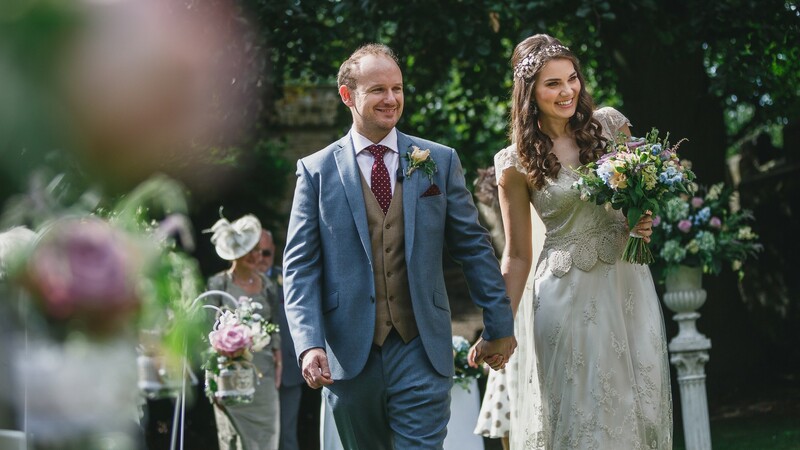 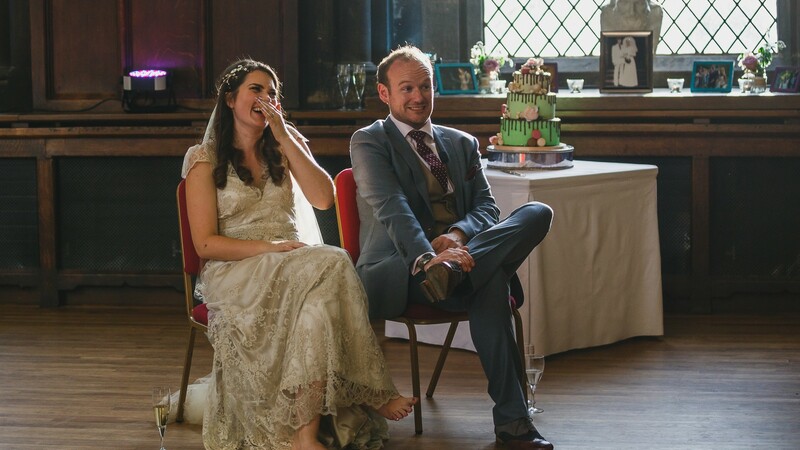 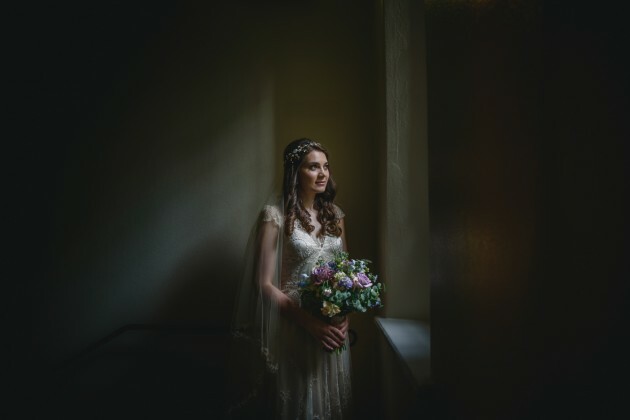 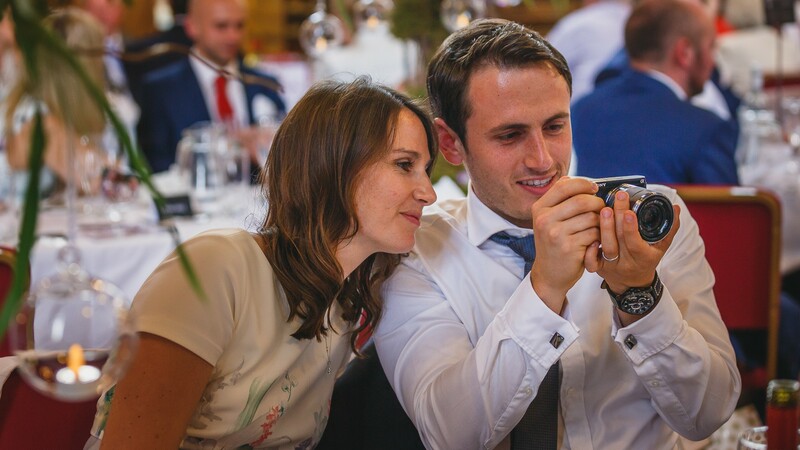 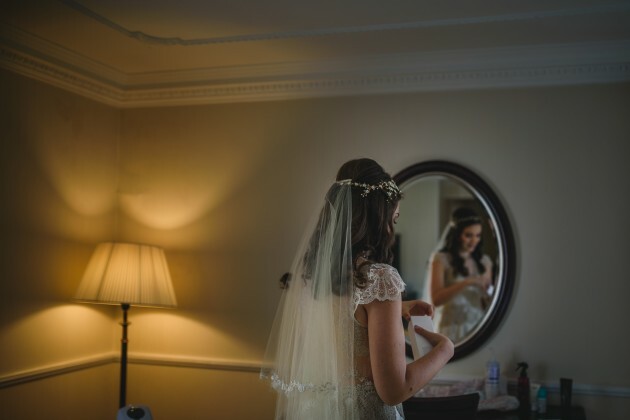 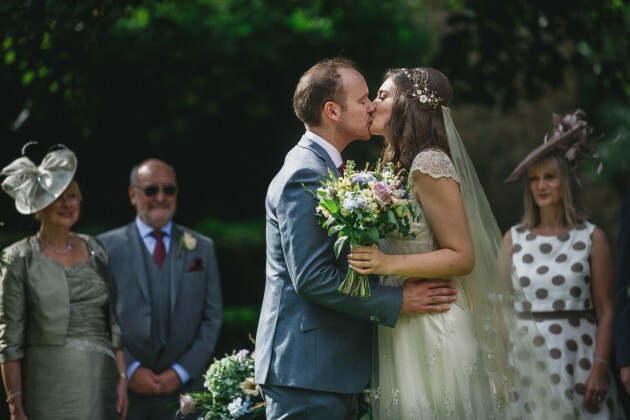 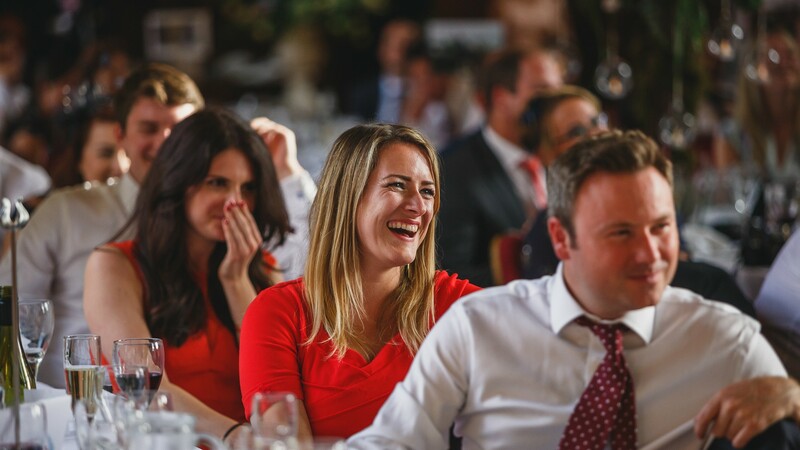 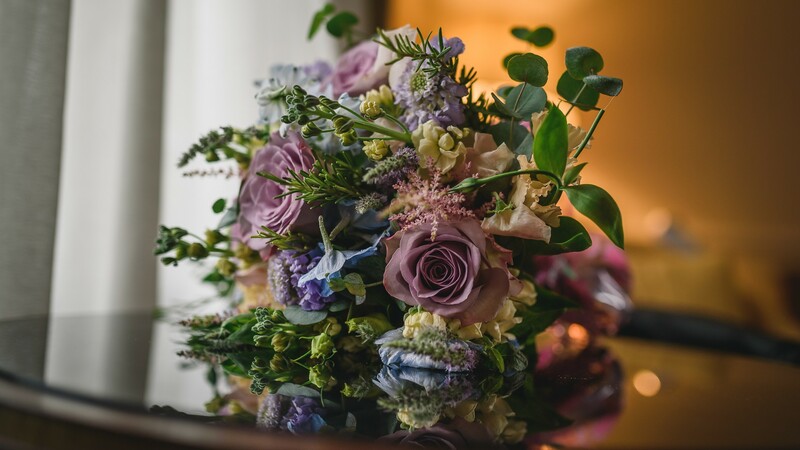 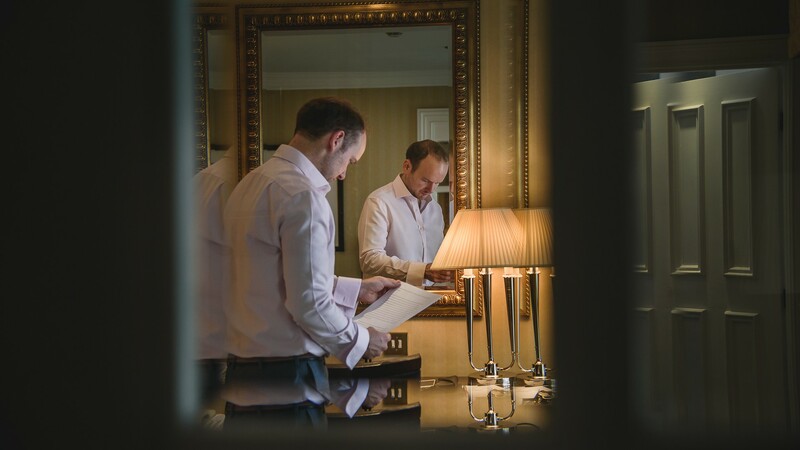 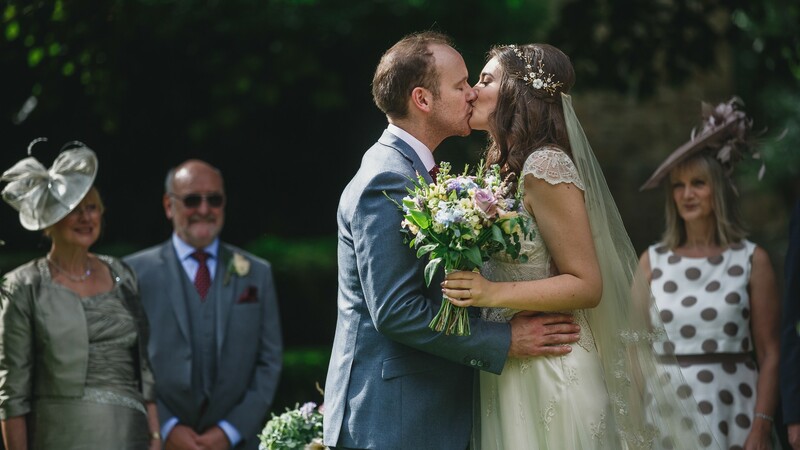 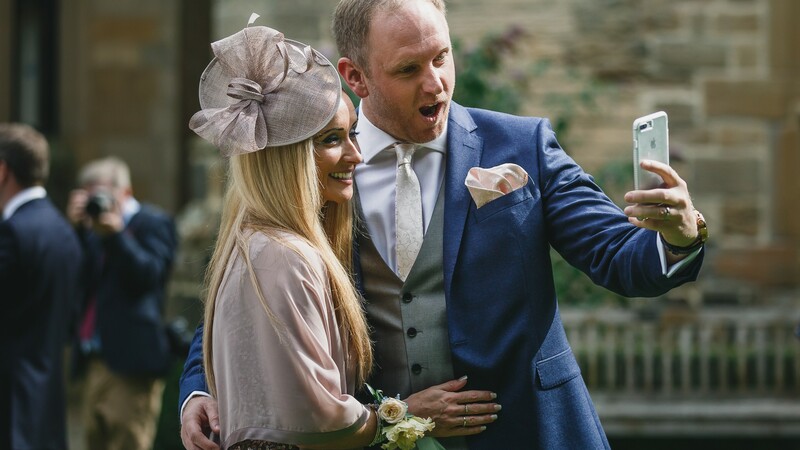 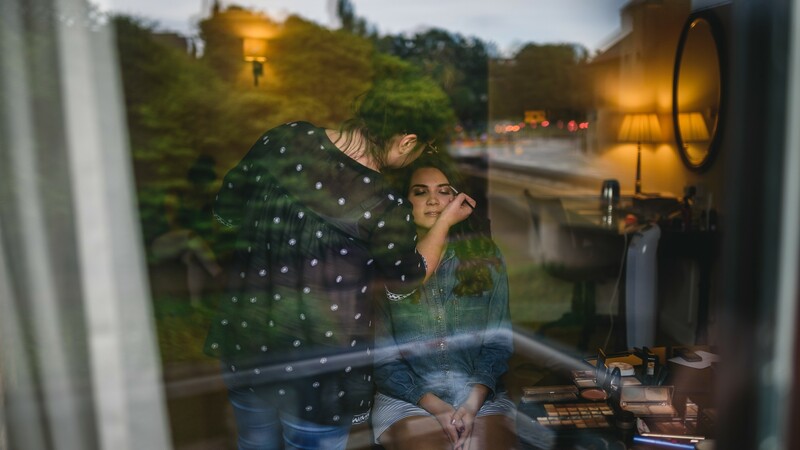 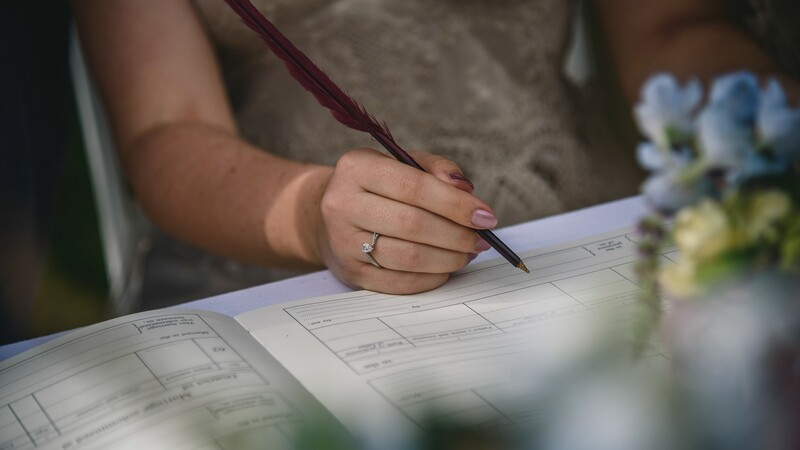 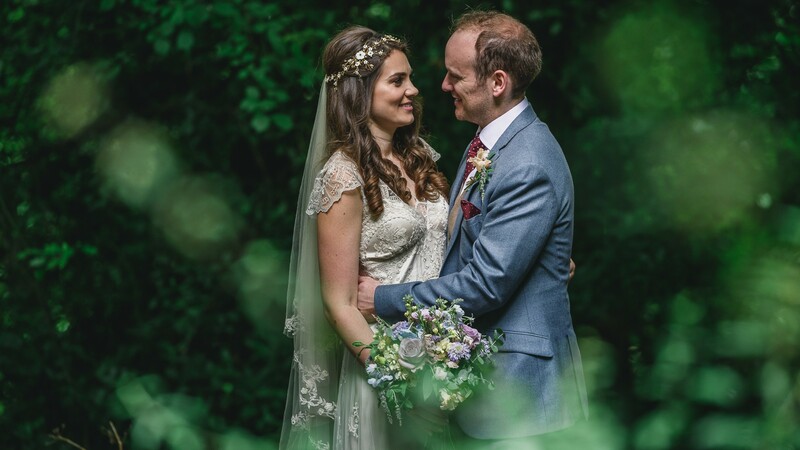 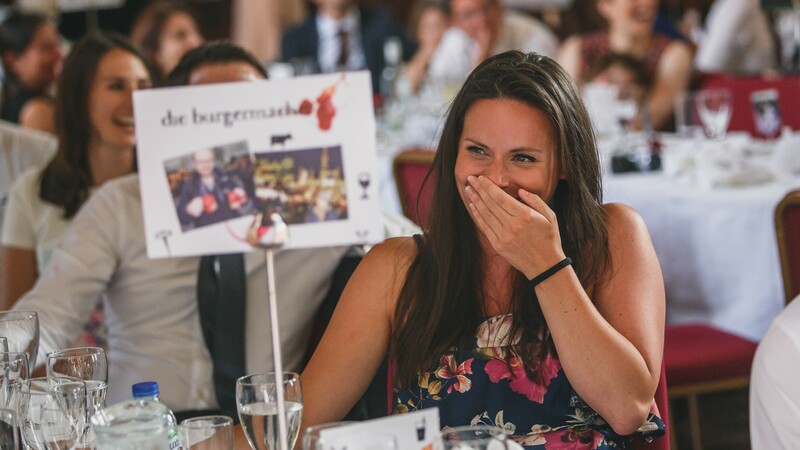 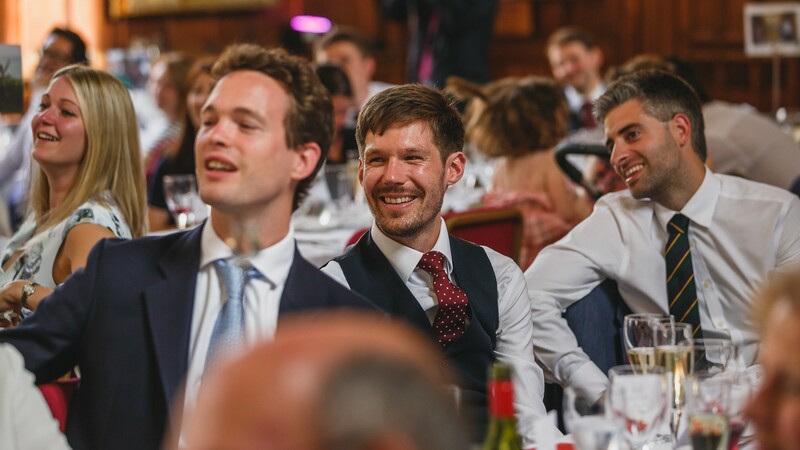 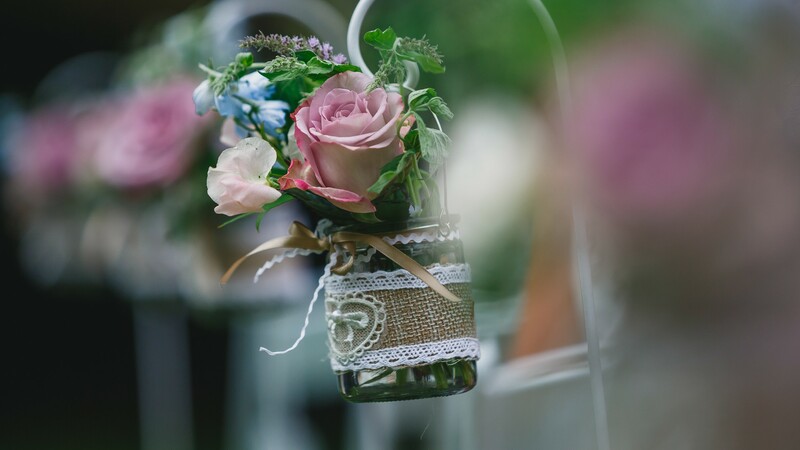 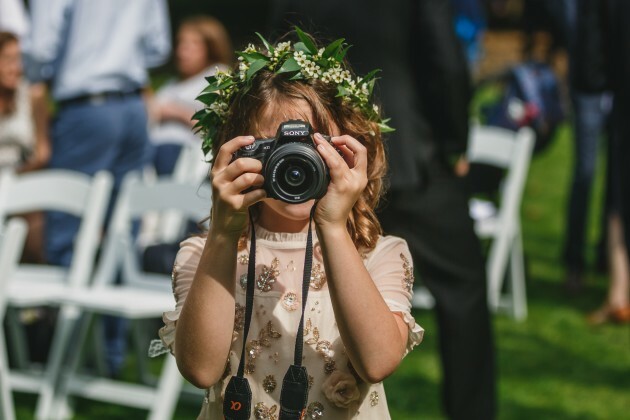 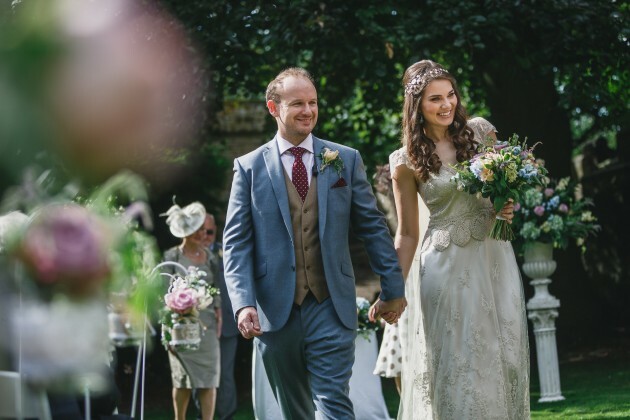 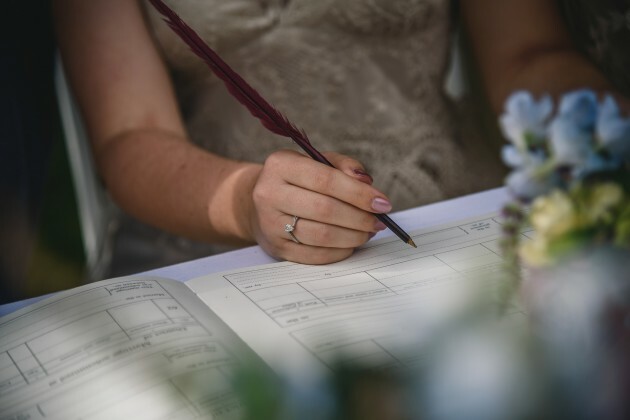 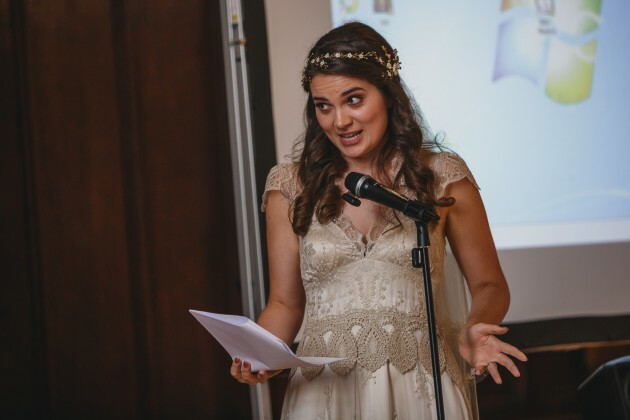 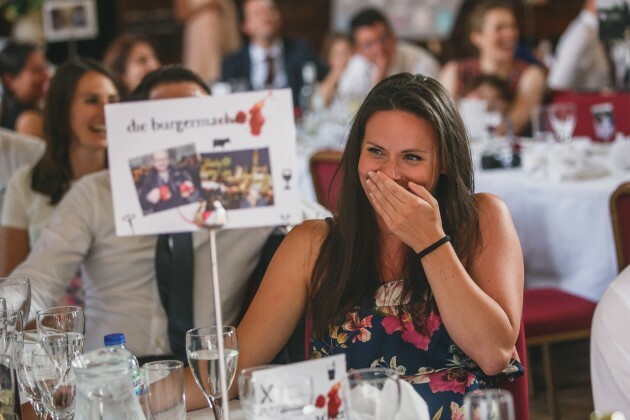 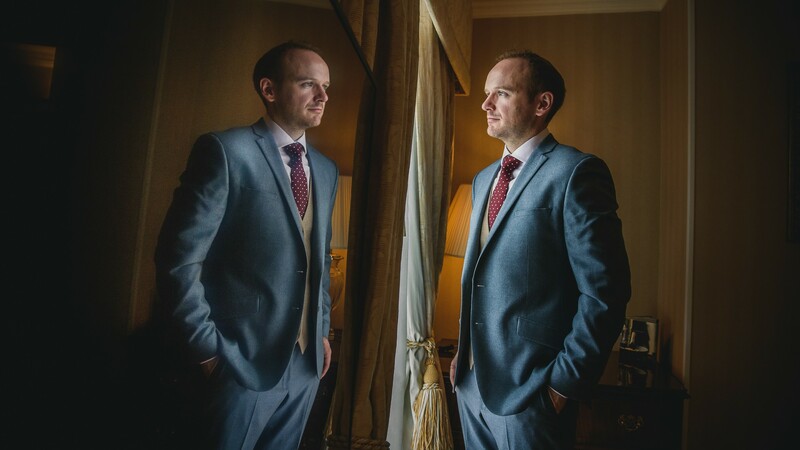 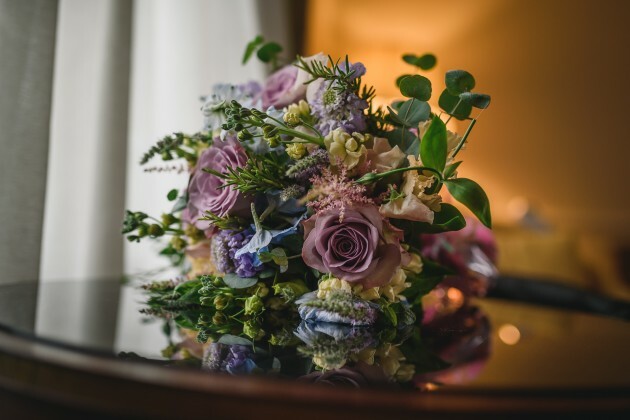 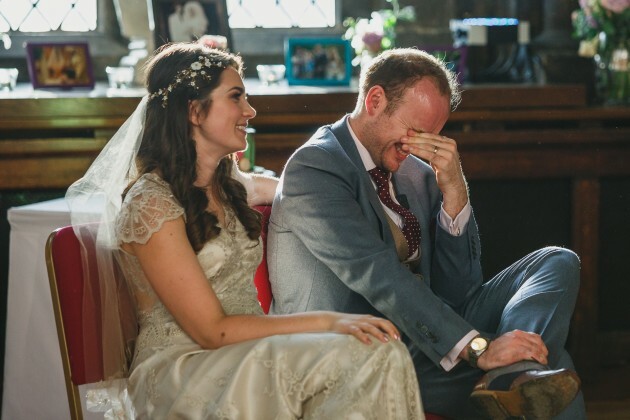 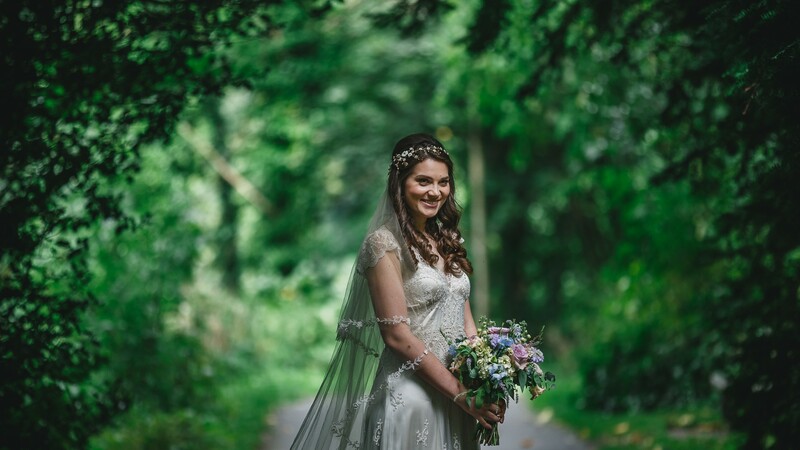 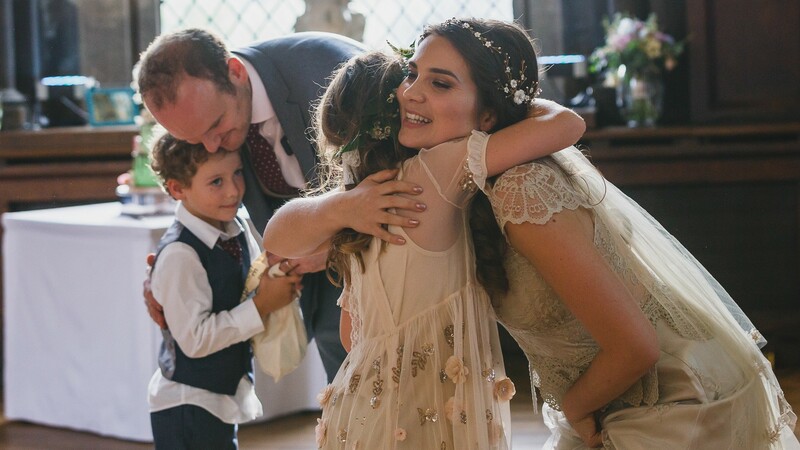 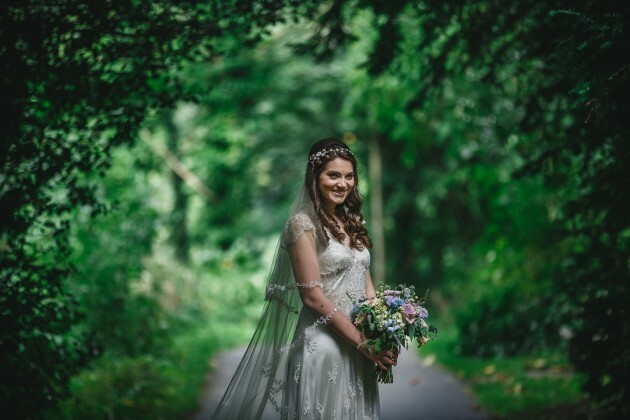 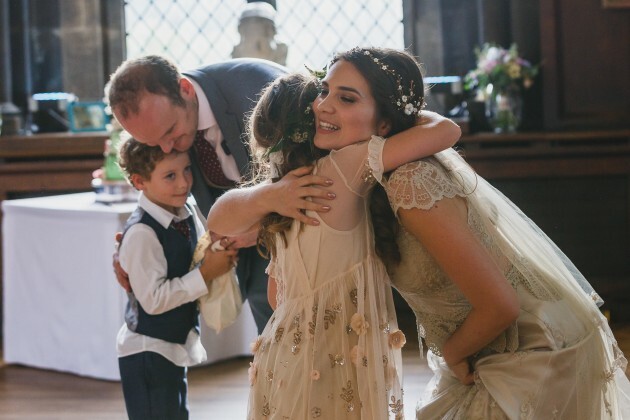 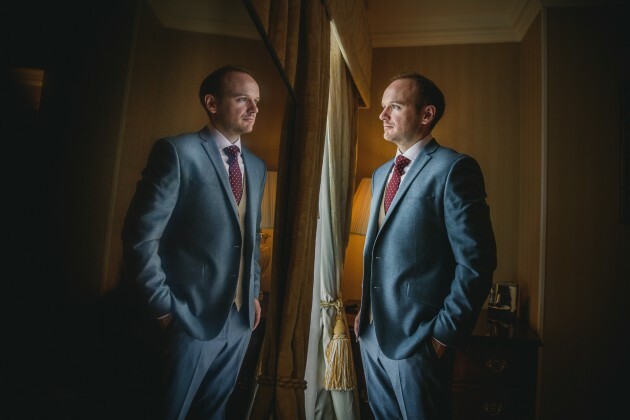 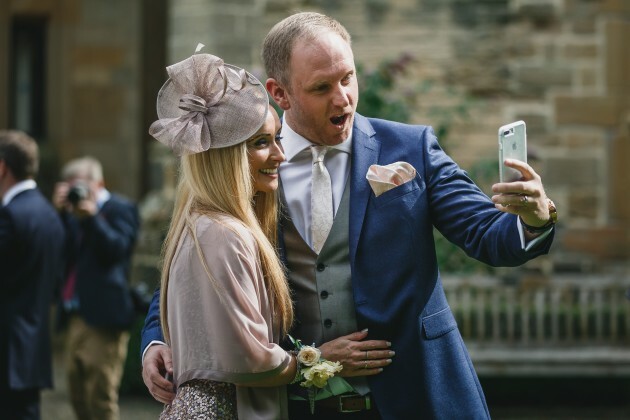 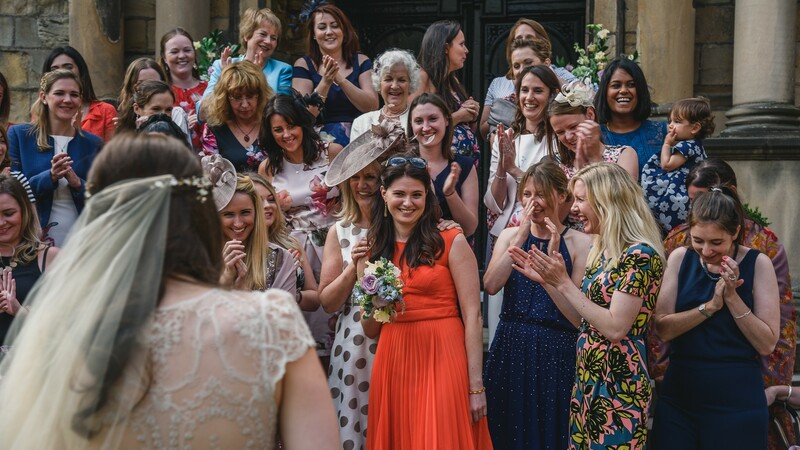 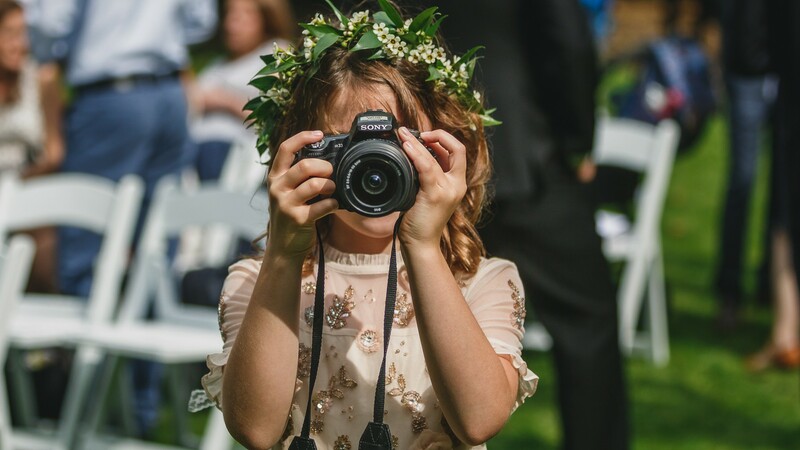 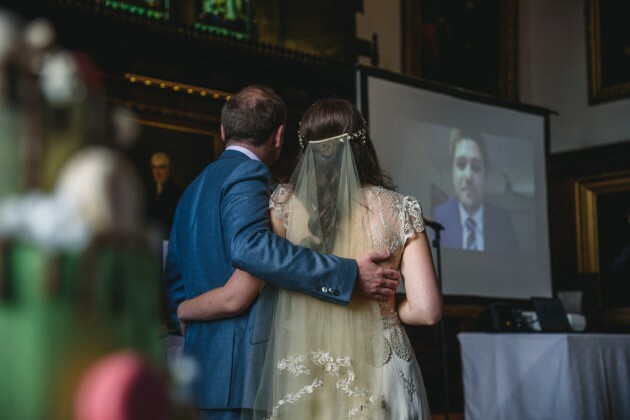 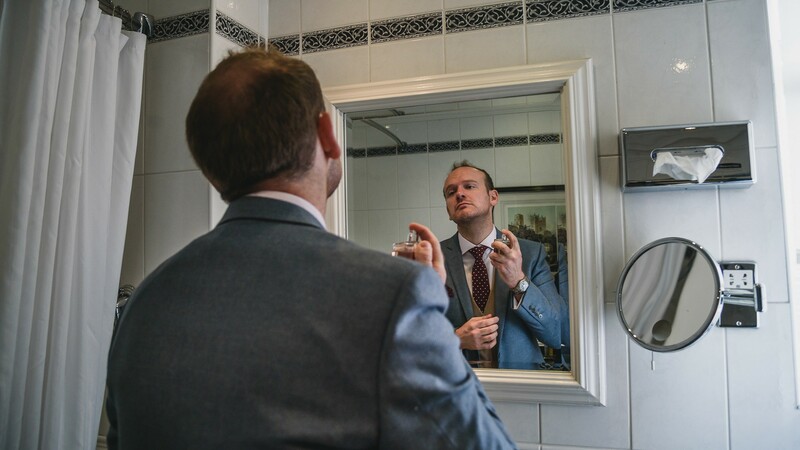 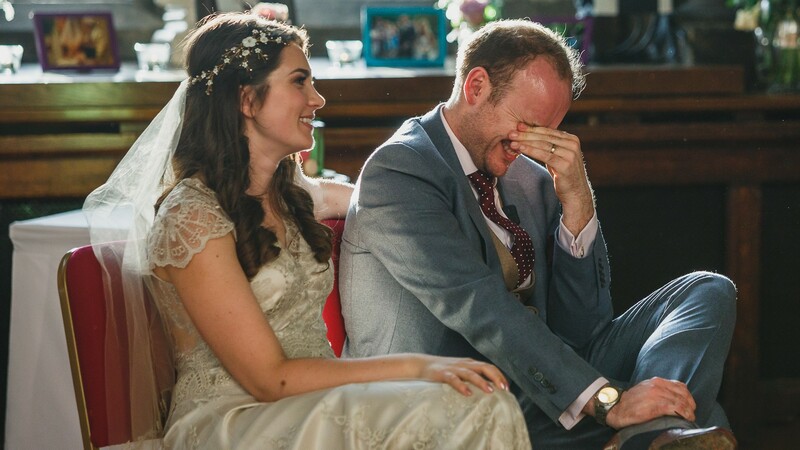 With a photographer, it’s not only about their work but also about your rapport with them – they are with you at all of the most intimate moments of your wedding, more so than any guest – and so this is really important to consider. 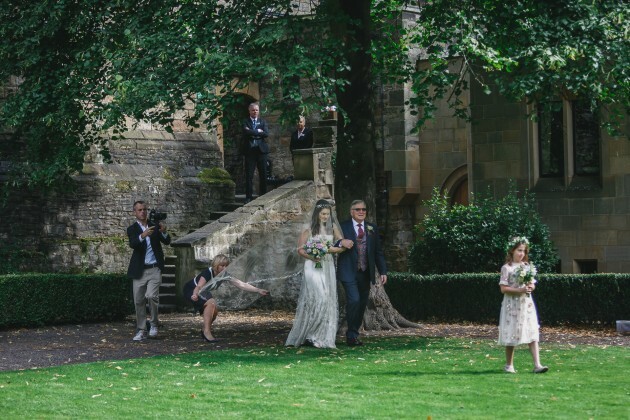 And we knew straight away that Stan and Jane were the right photographers for us. 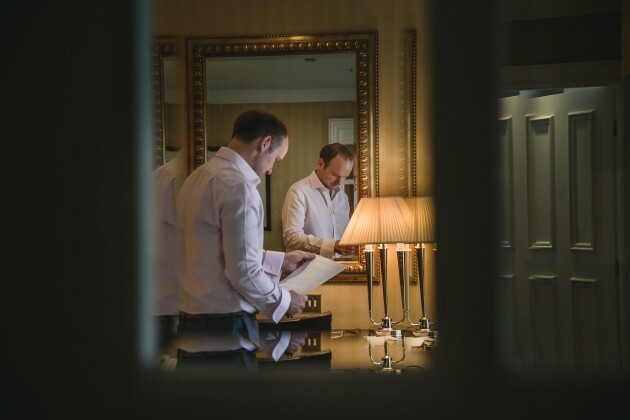 A few months before our wedding, they came to see us in London for an engagement shoot. 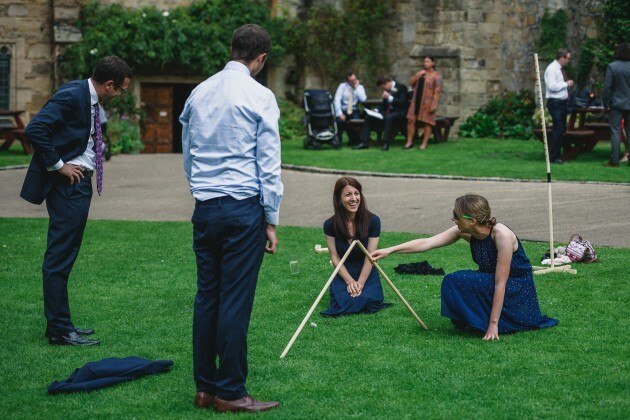 Neither Ben nor I had been keen on having an engagement shoot – we found them far too staged and somewhat cheesy – but Jane pointed out that it would be a good exercise to experiment with the photography. 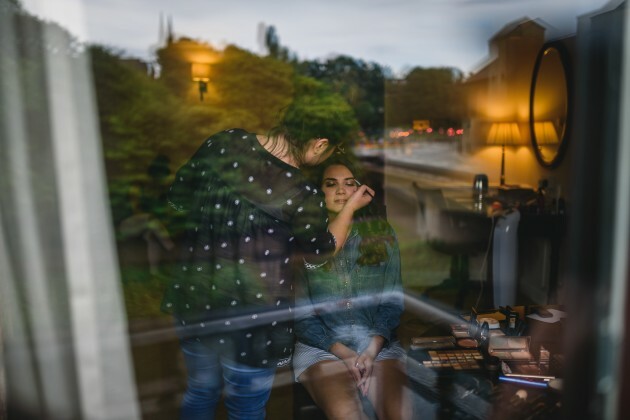 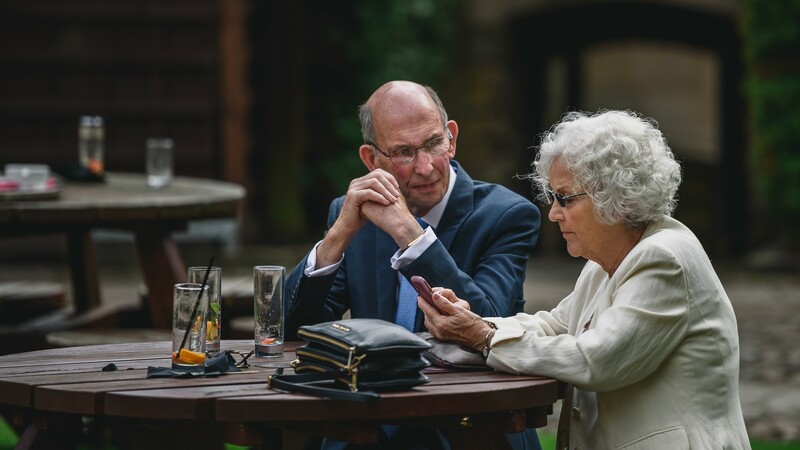 We could be honest and tell them what we liked and what we didn’t from the engagement shoot, then on the big day itself, they could concentrate their time most effectively on things they knew we’d be happy with! 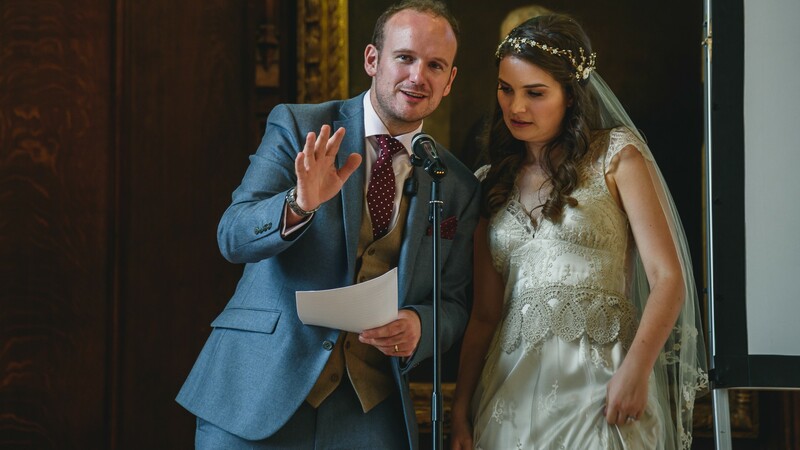 As I soon realised I’m not a natural in front of the camera, Stan and Jane gave friendly but firm directions and some good tips (eg. 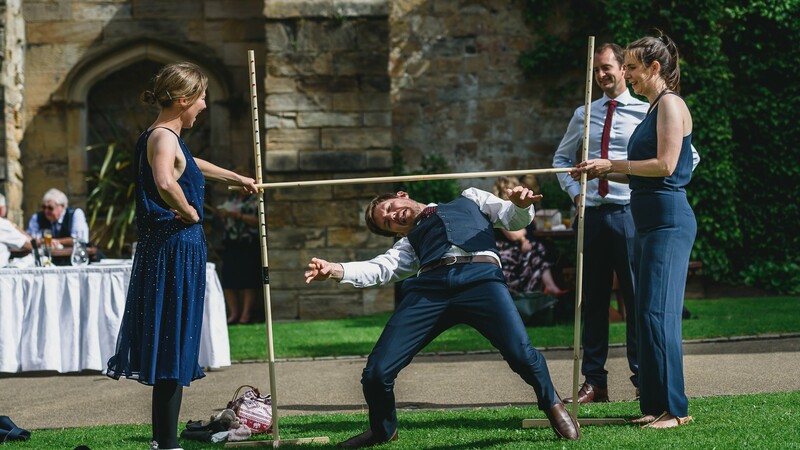 make sure you both walk on the inside leg then the outside at the same time!) 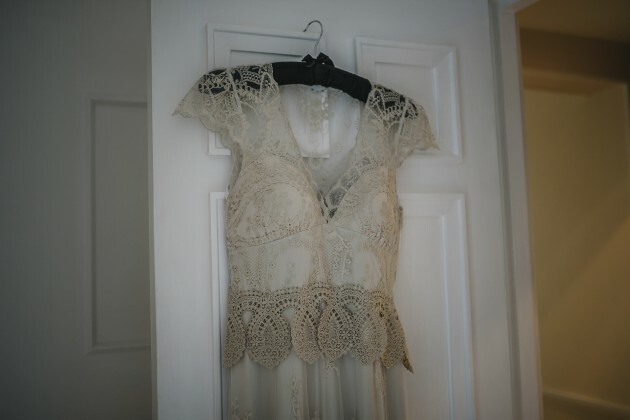 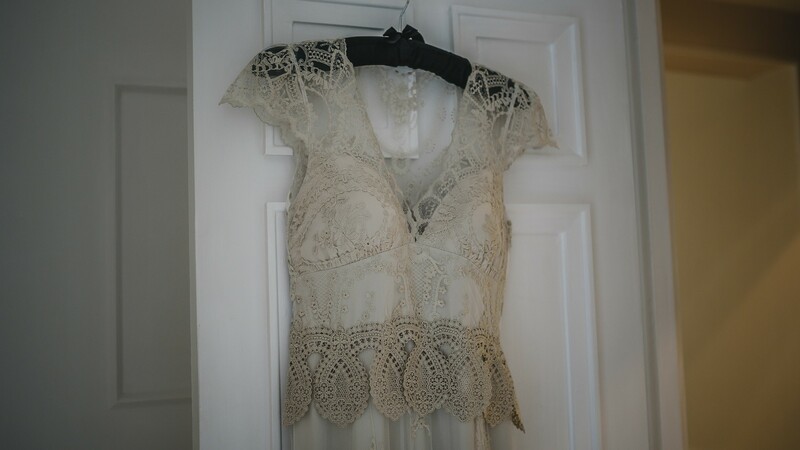 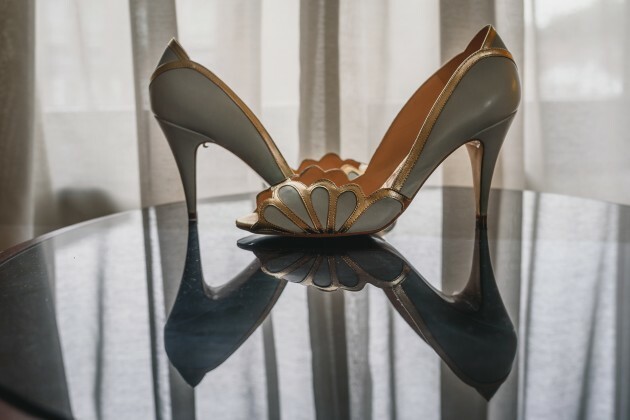 for the wedding itself. 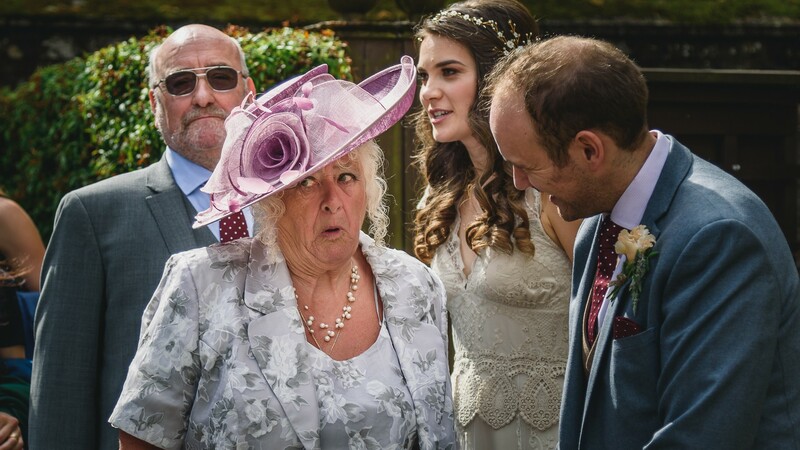 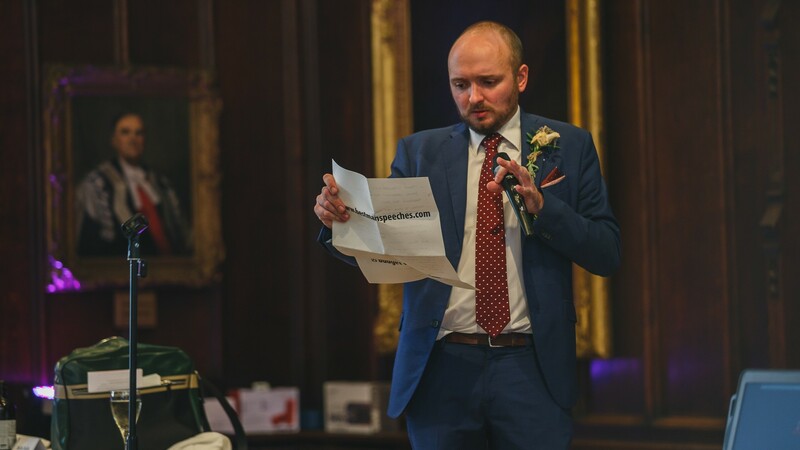 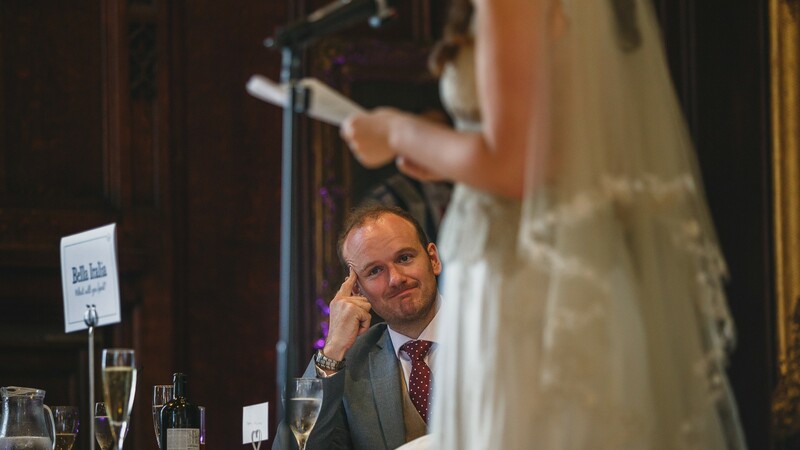 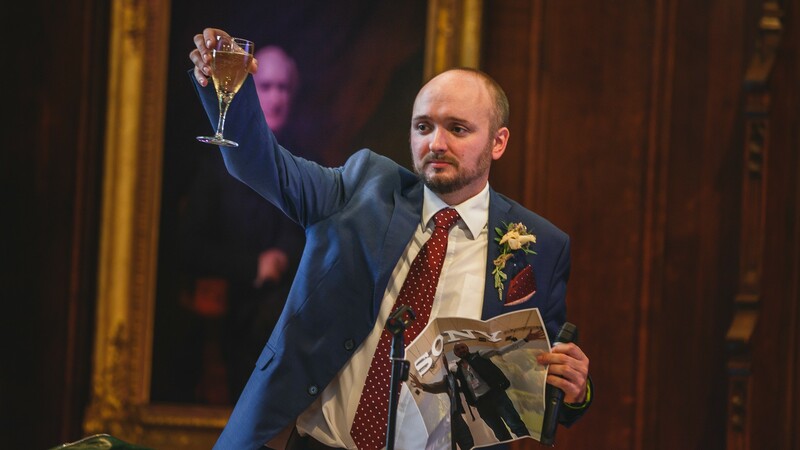 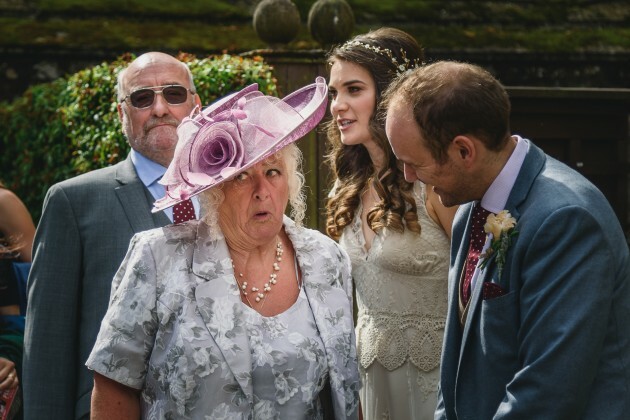 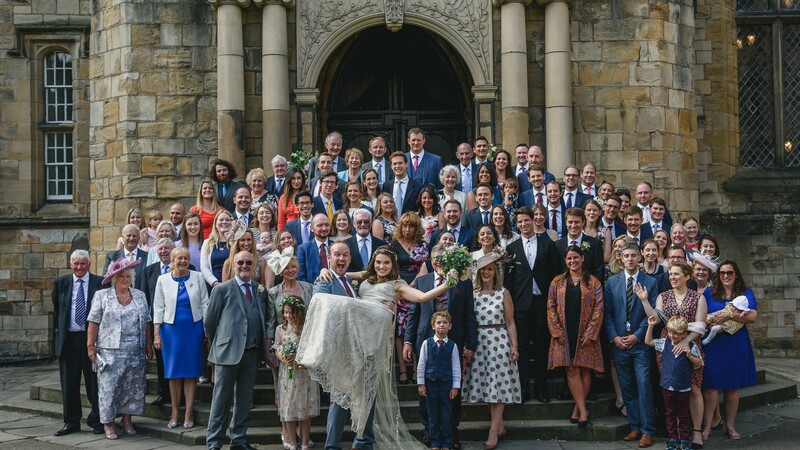 In fact, Stan managed to give friendly but firm directions to all of our guests for the group photography (there’s nothing worse than having to organise yourselves at a wedding – it’s only a waste of precious time!) 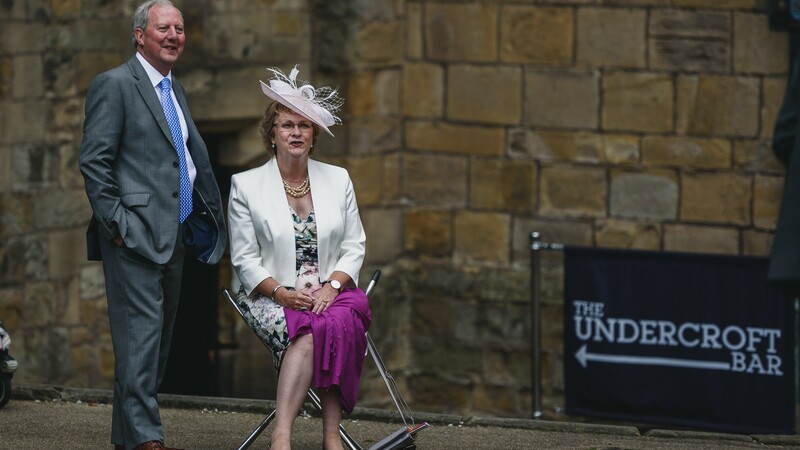 and also the general public! 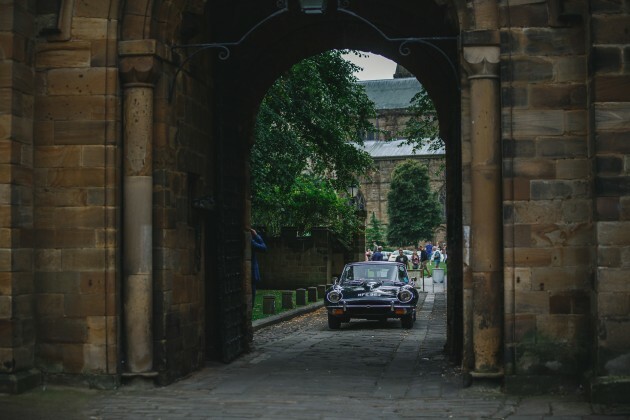 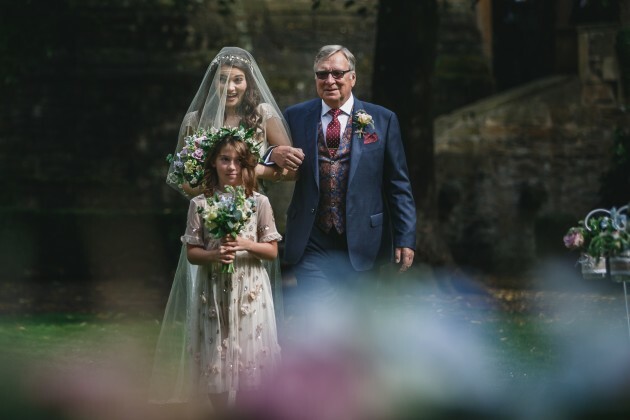 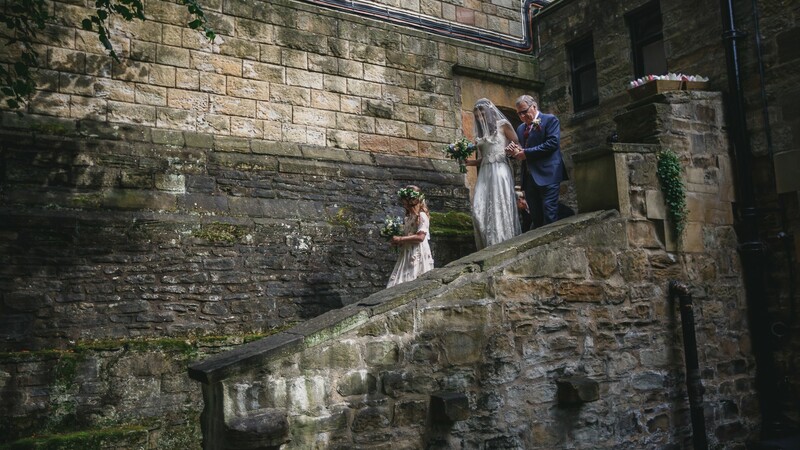 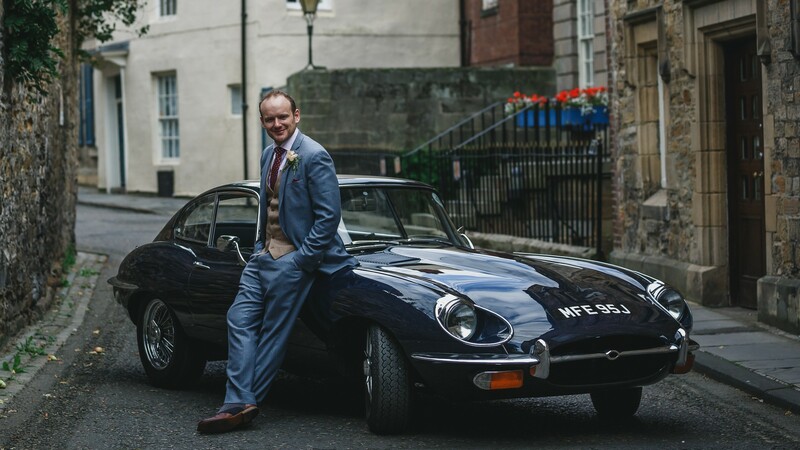 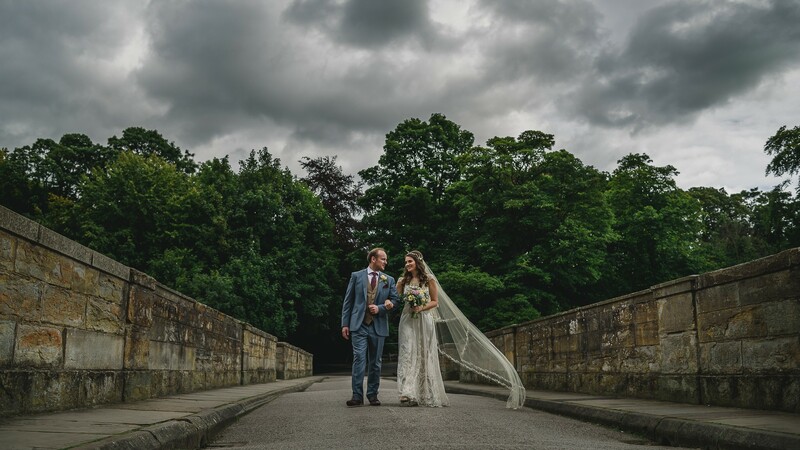 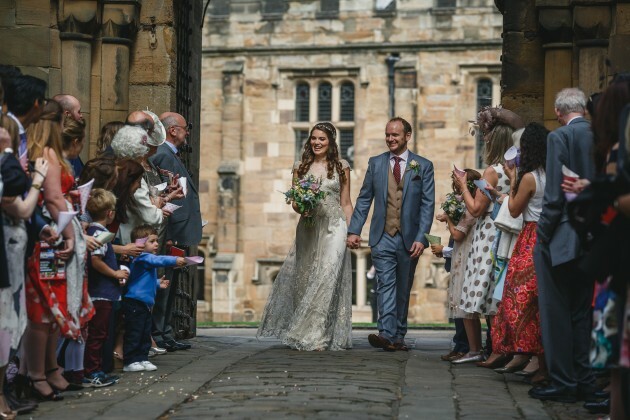 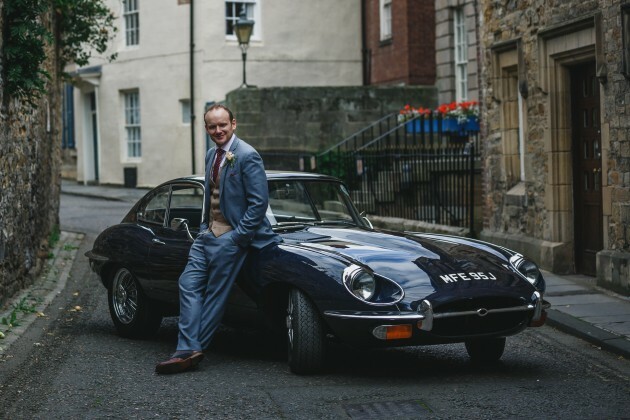 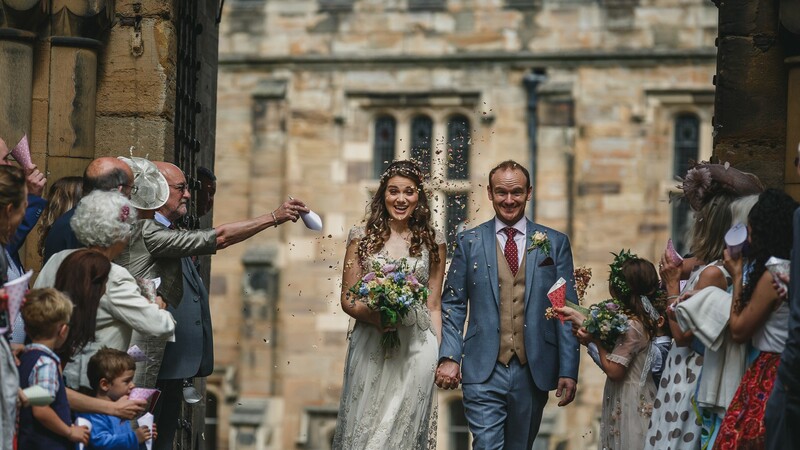 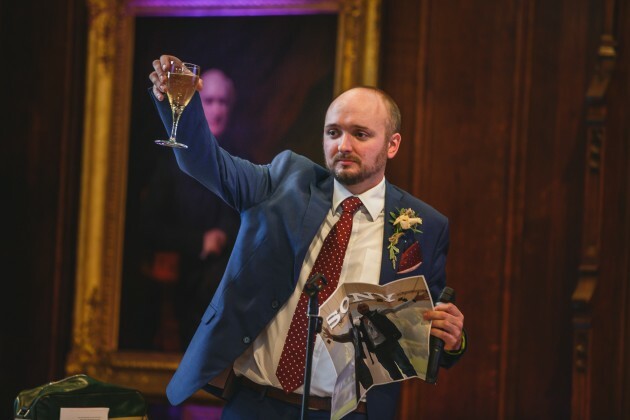 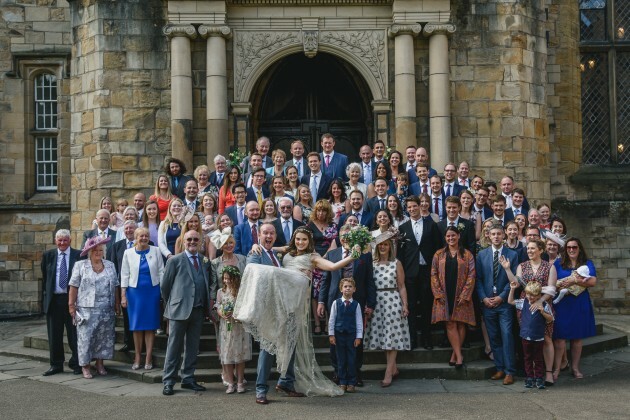 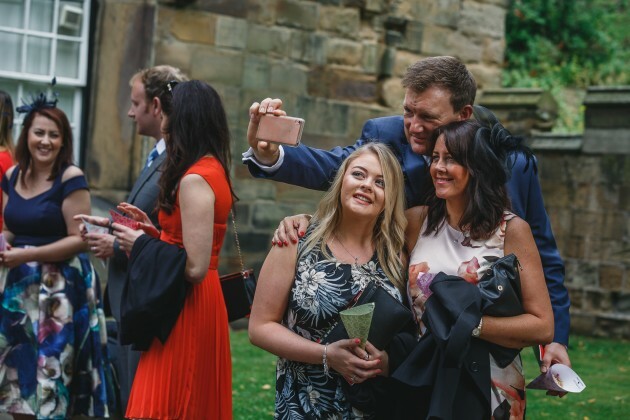 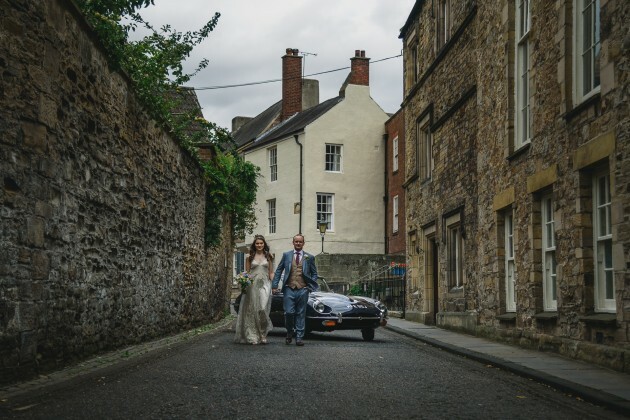 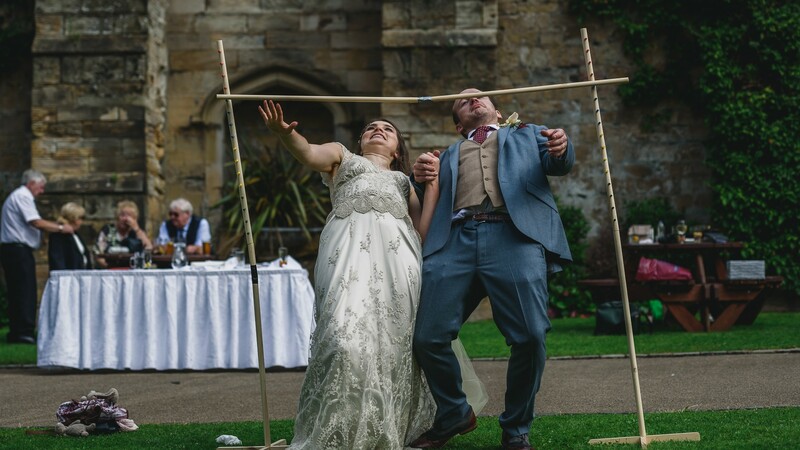 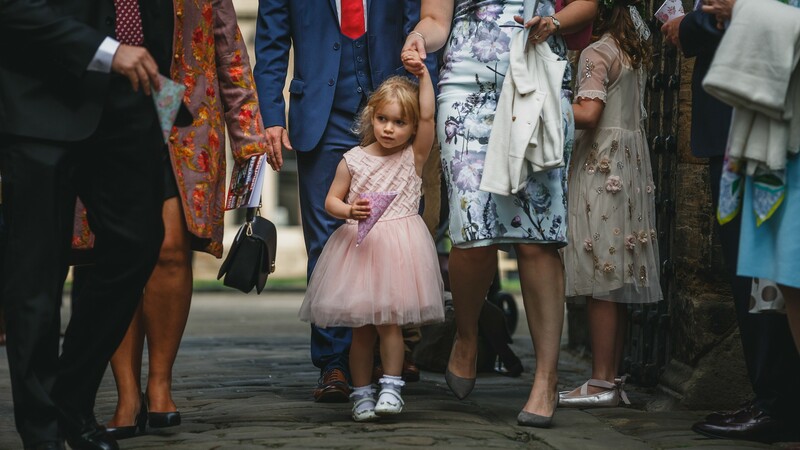 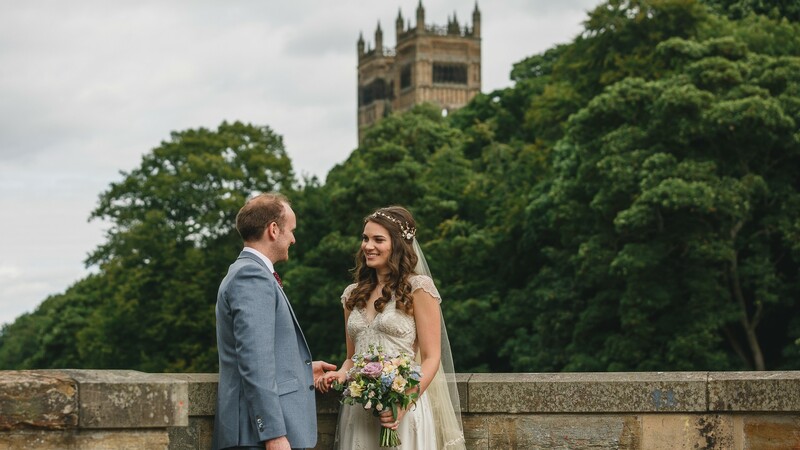 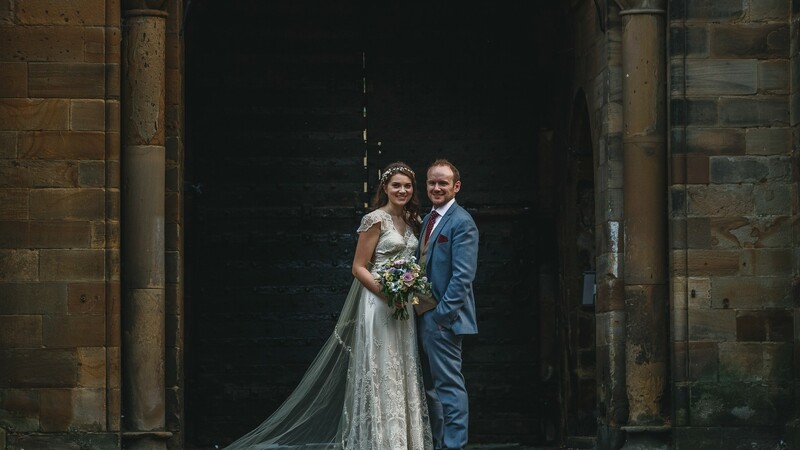 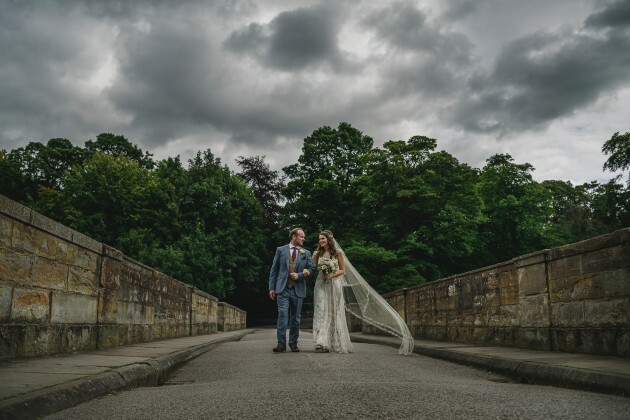 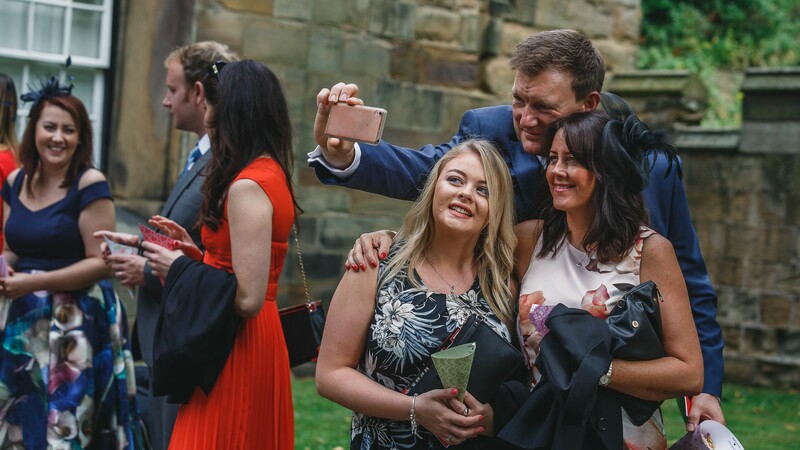 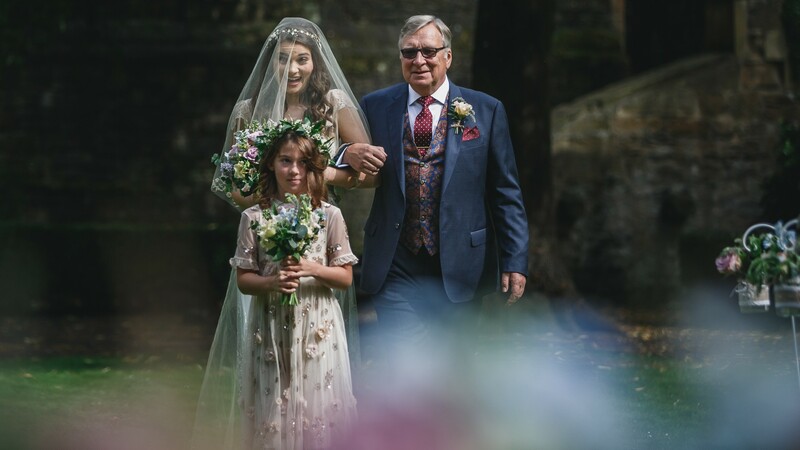 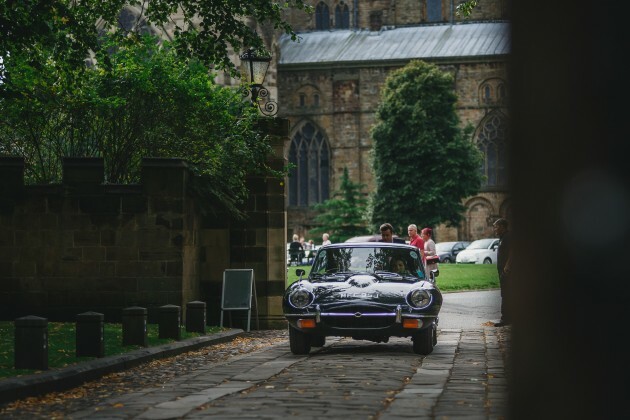 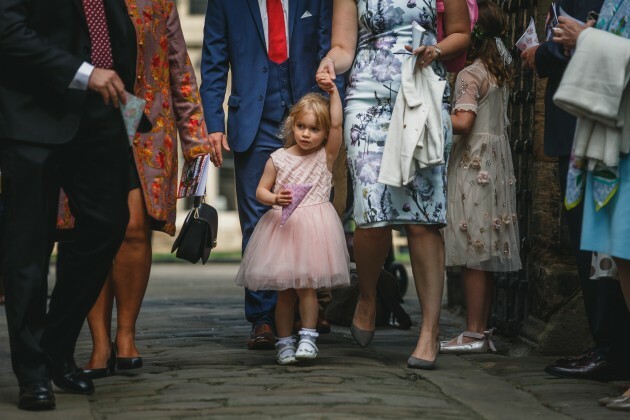 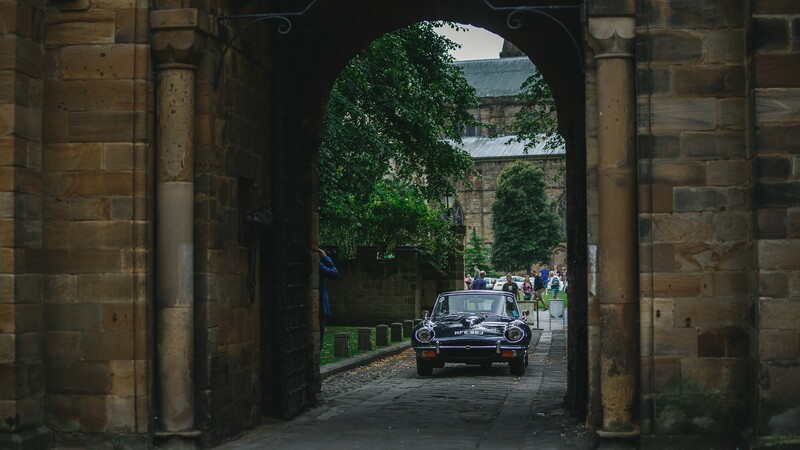 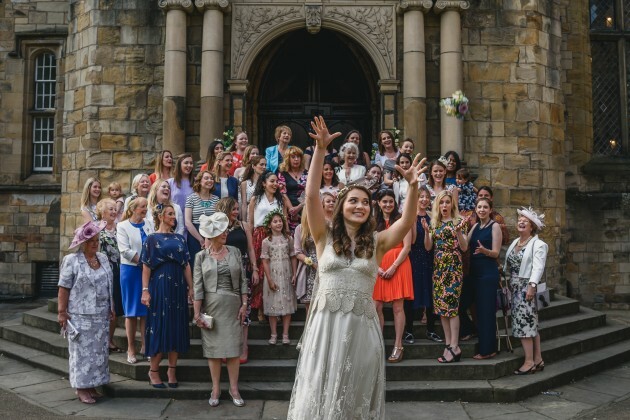 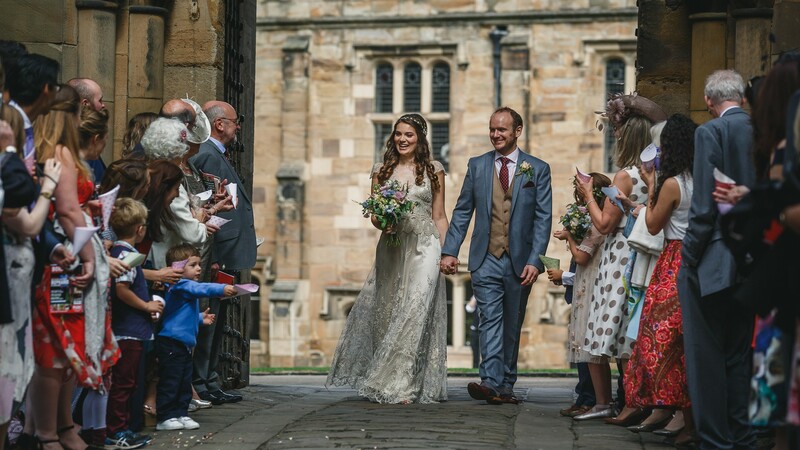 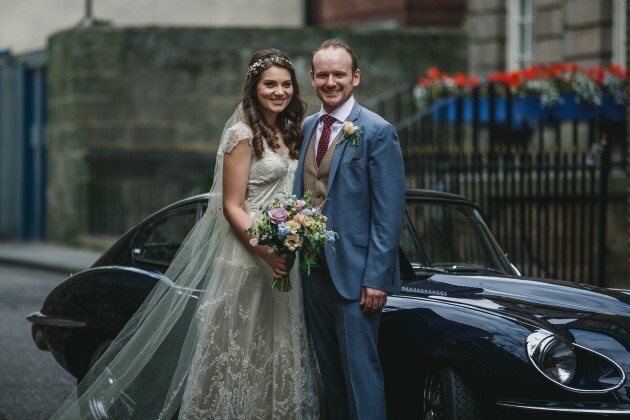 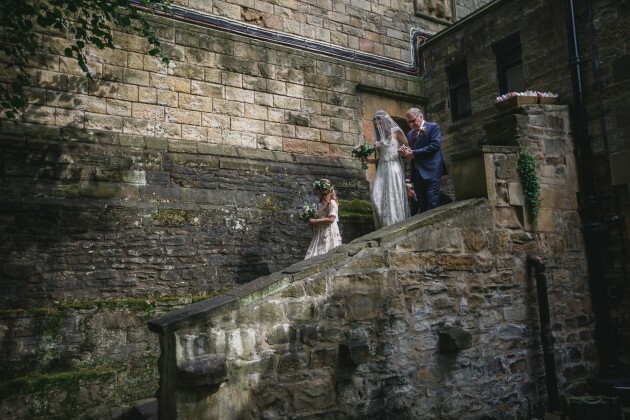 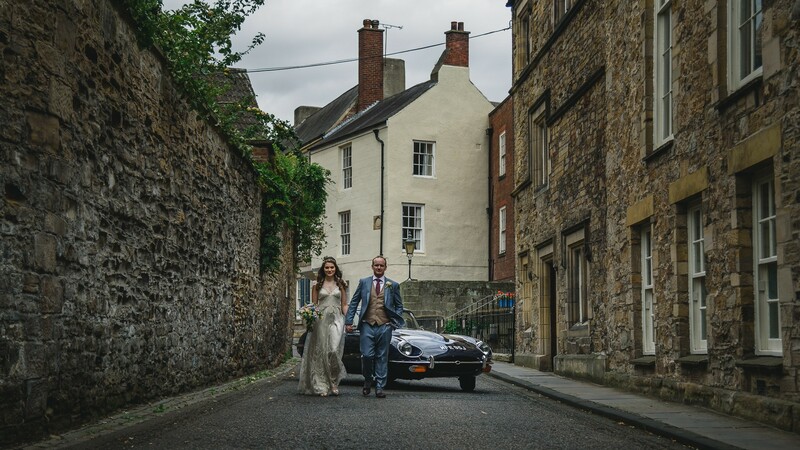 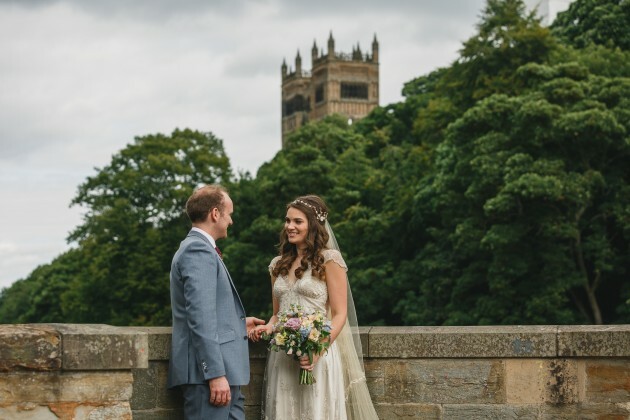 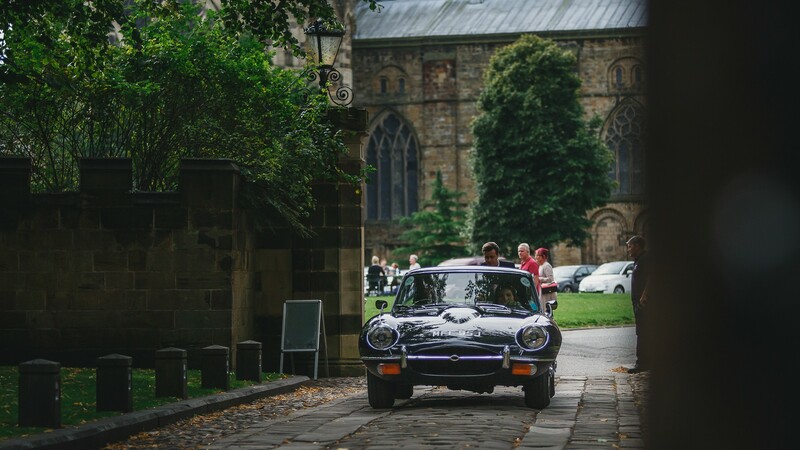 After the ceremony, we went into the city centre of Durham for some couple photography and Stan managed to clear all of the people who had congregated on Prebends’ Bridge and redirect traffic on Old Bailey, purely for the purposes of our photography. 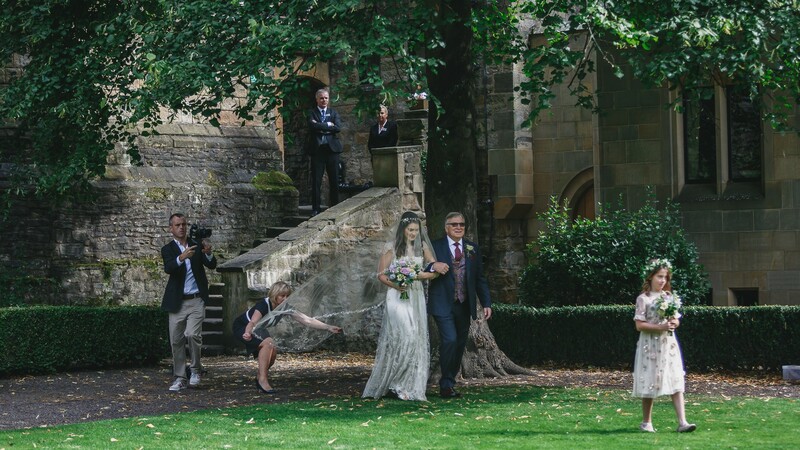 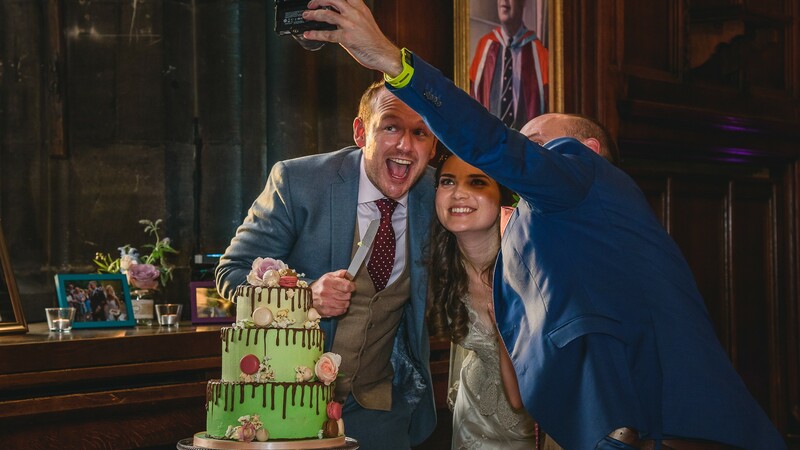 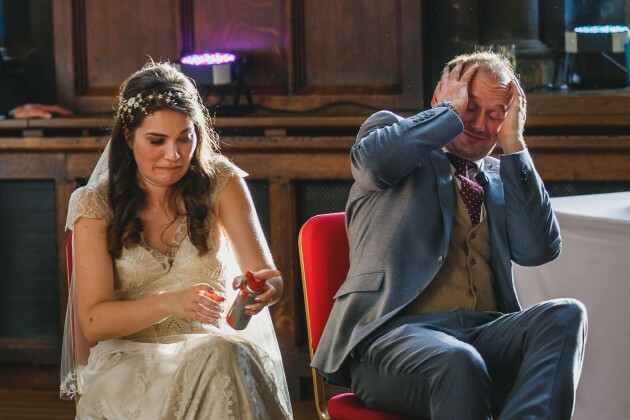 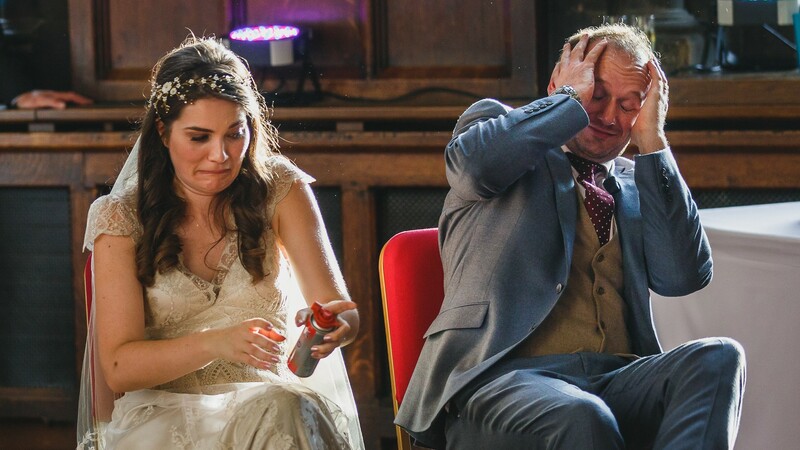 That’s going above and beyond to get the perfect wedding photograph!